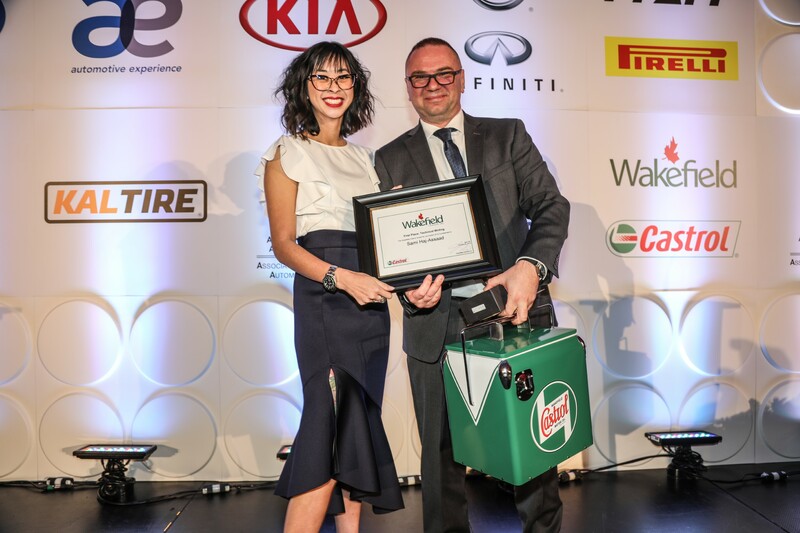 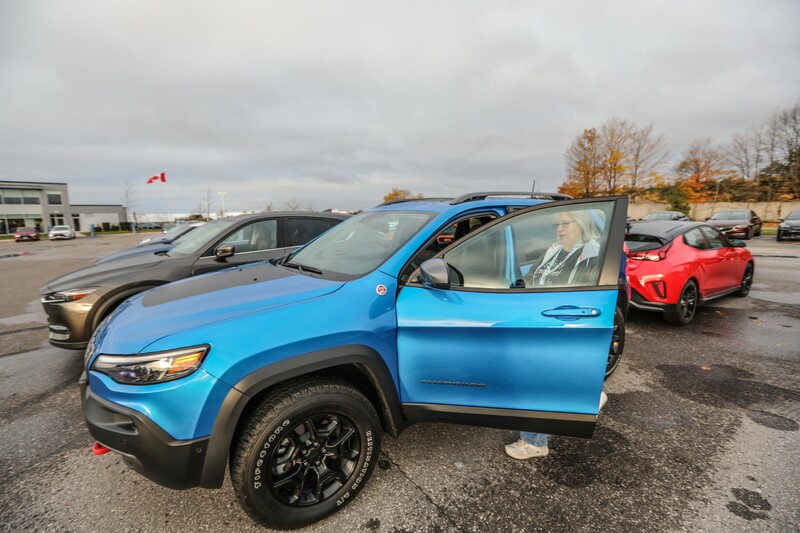 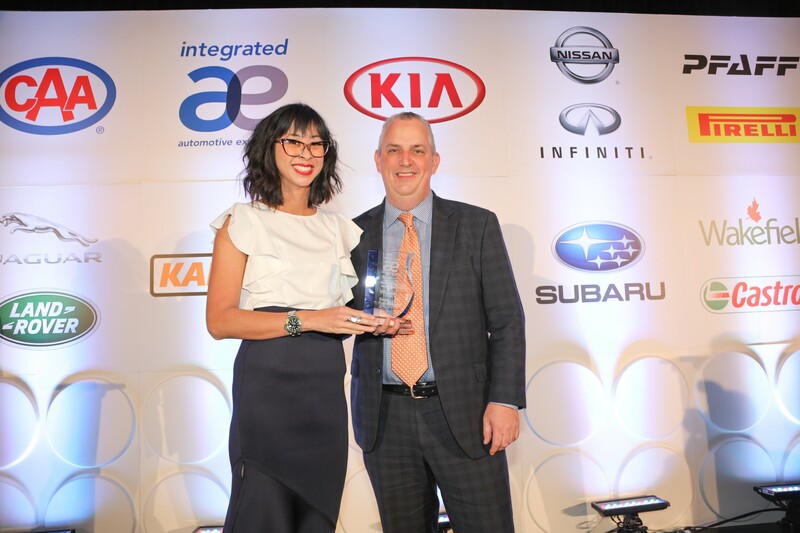 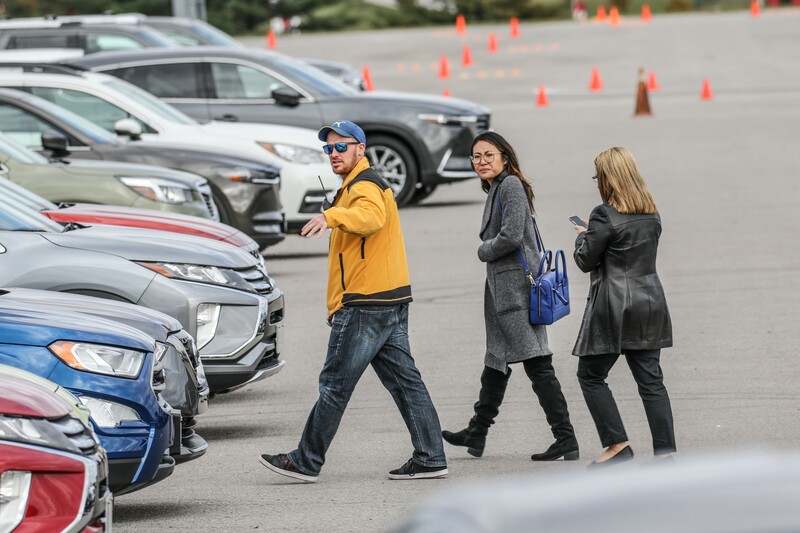 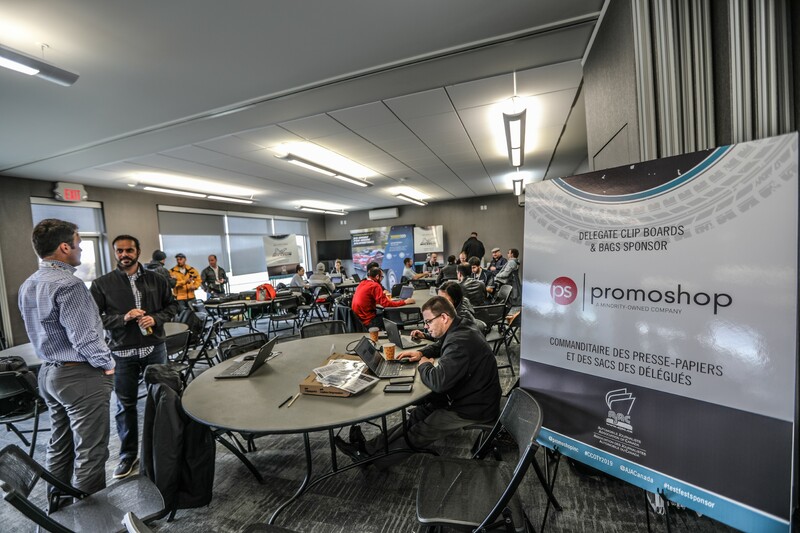 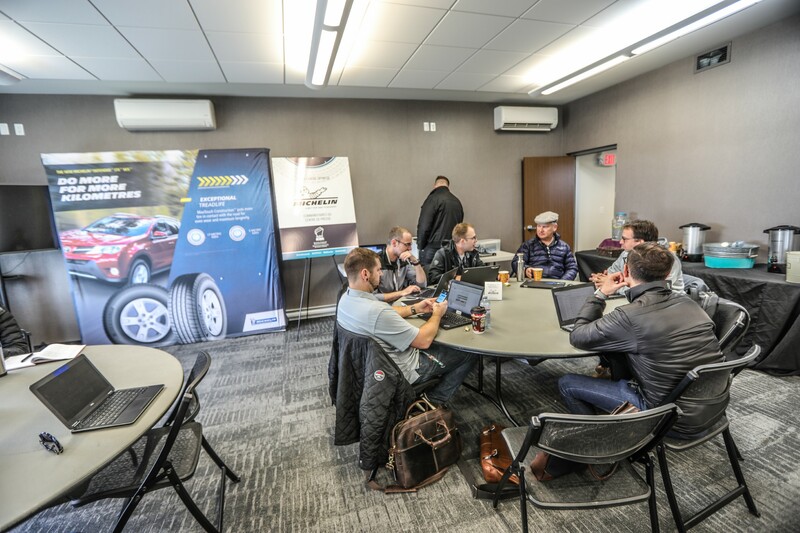 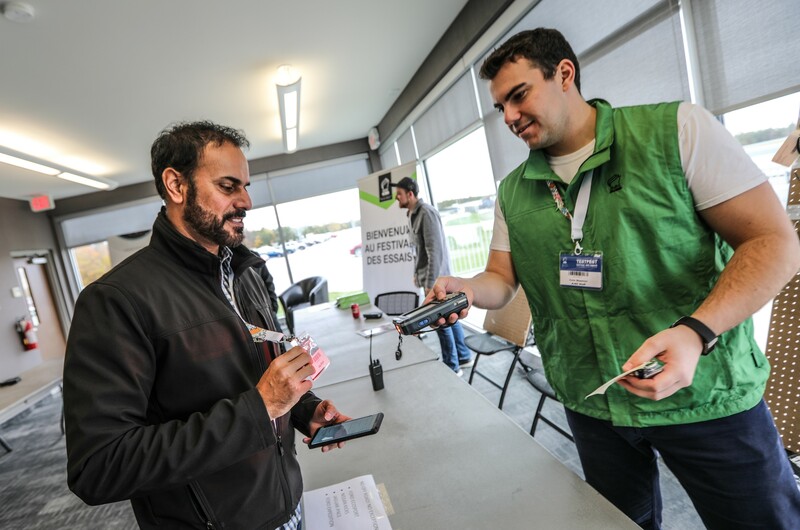 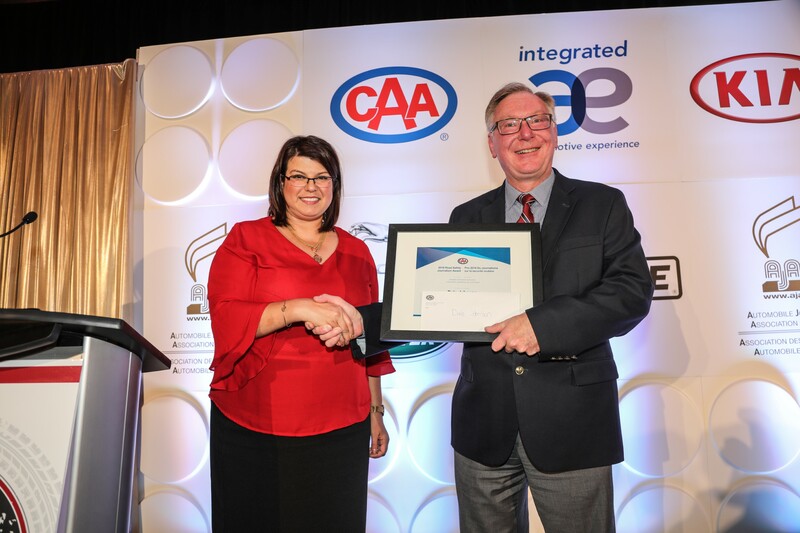 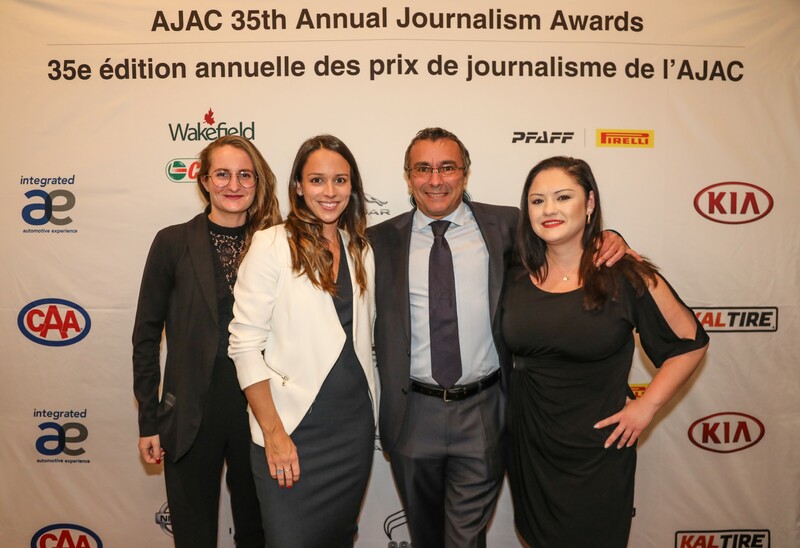 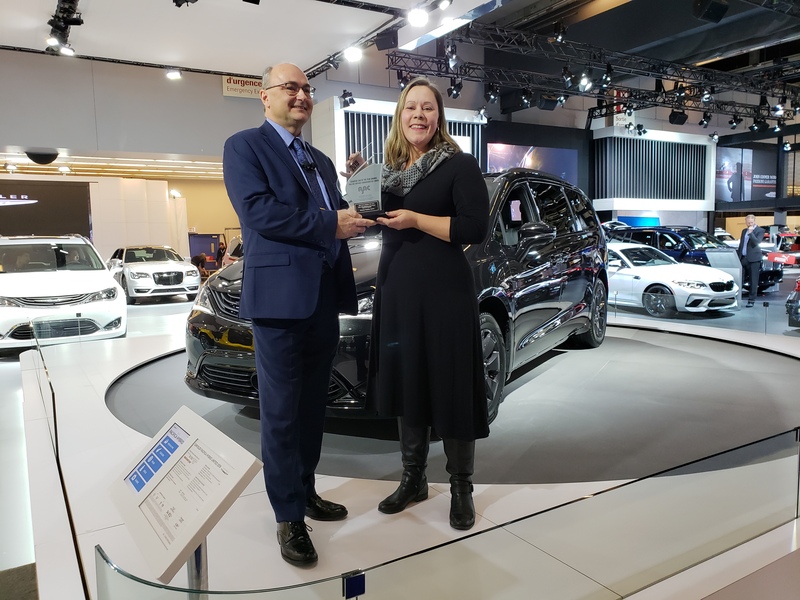 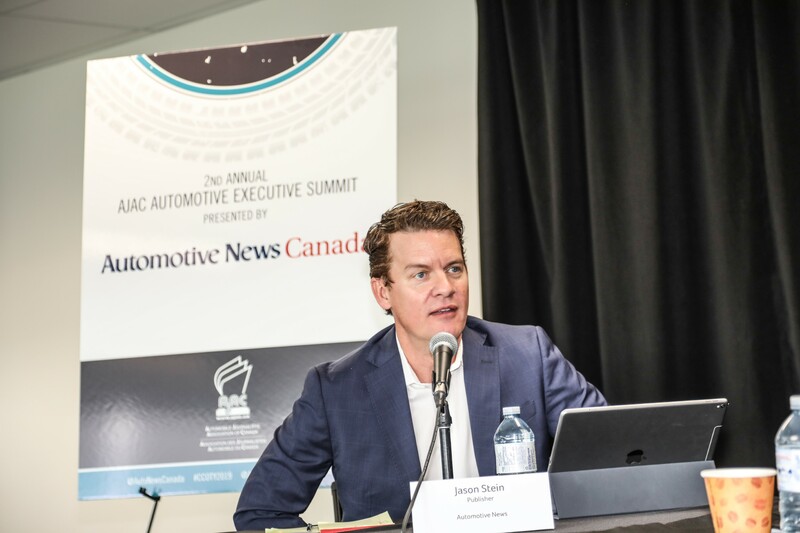 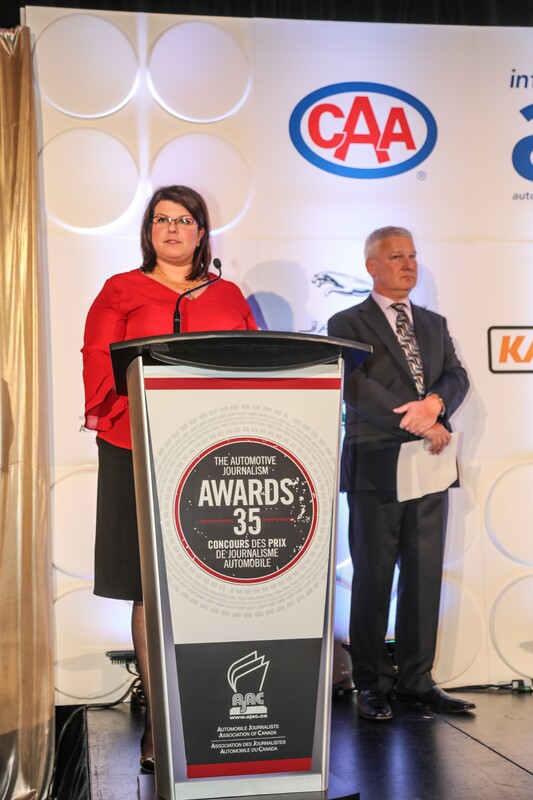 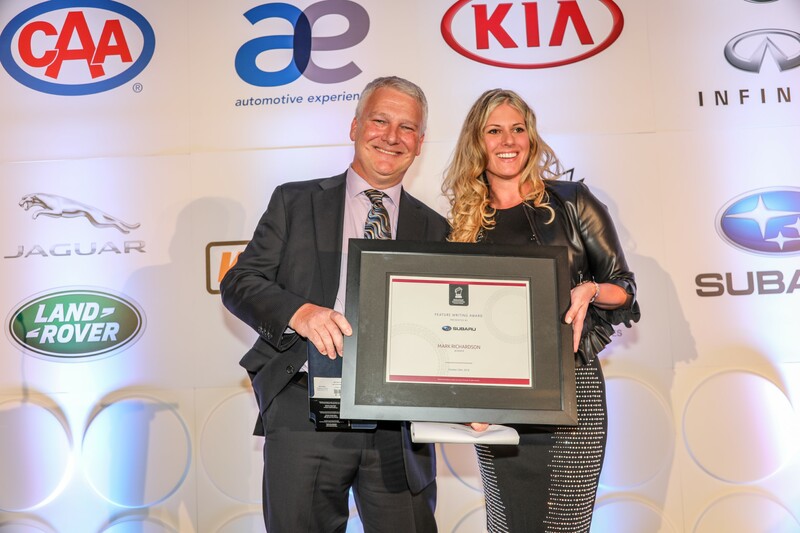 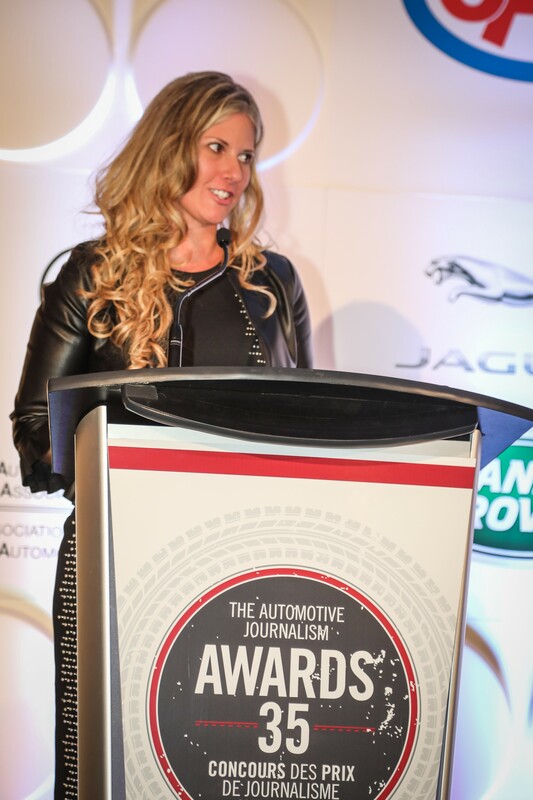 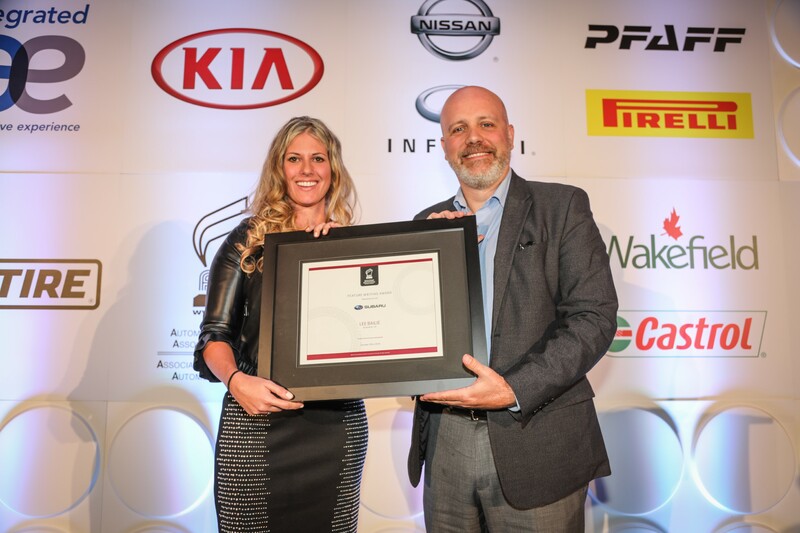 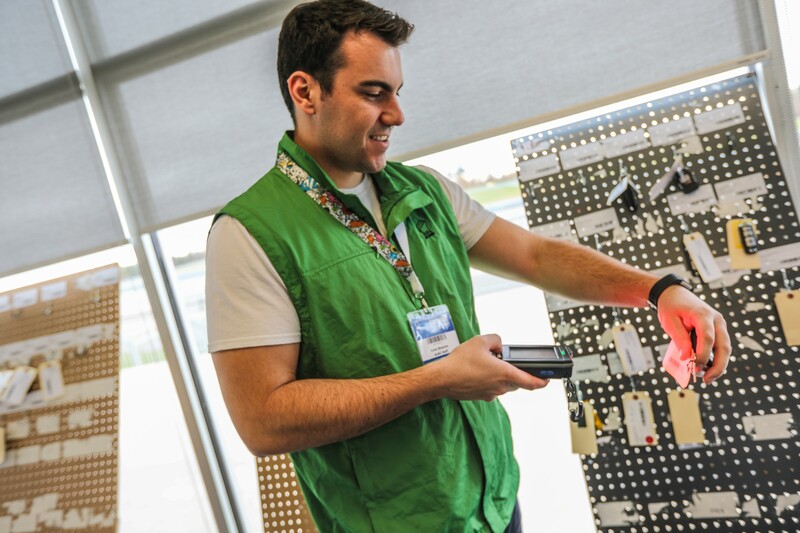 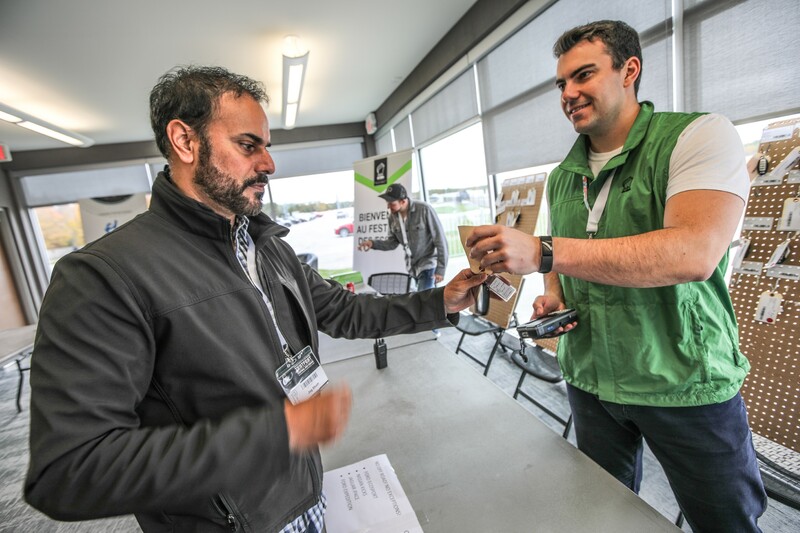 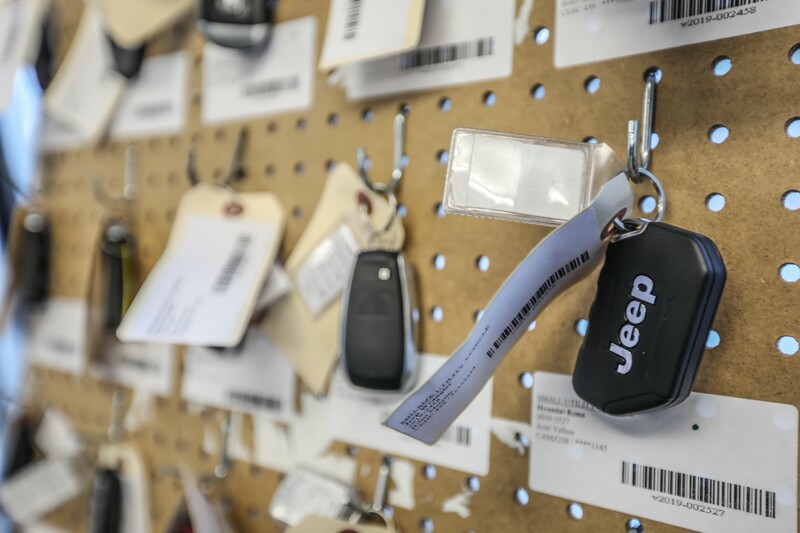 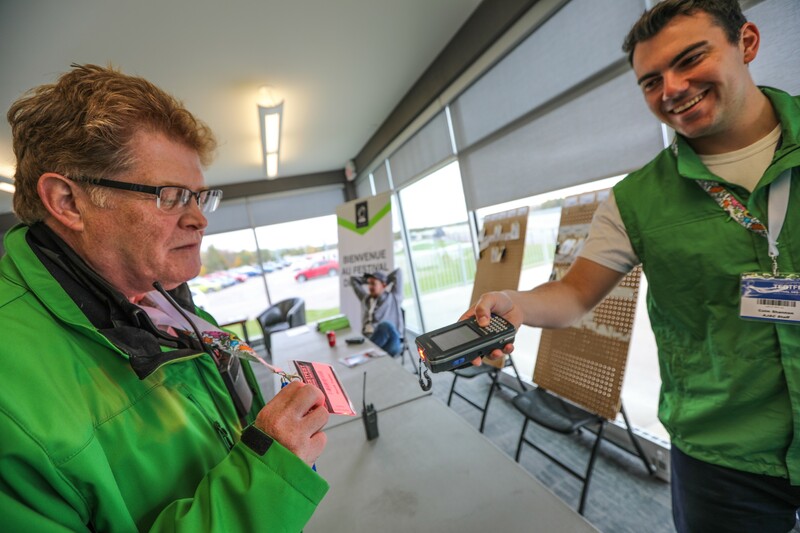 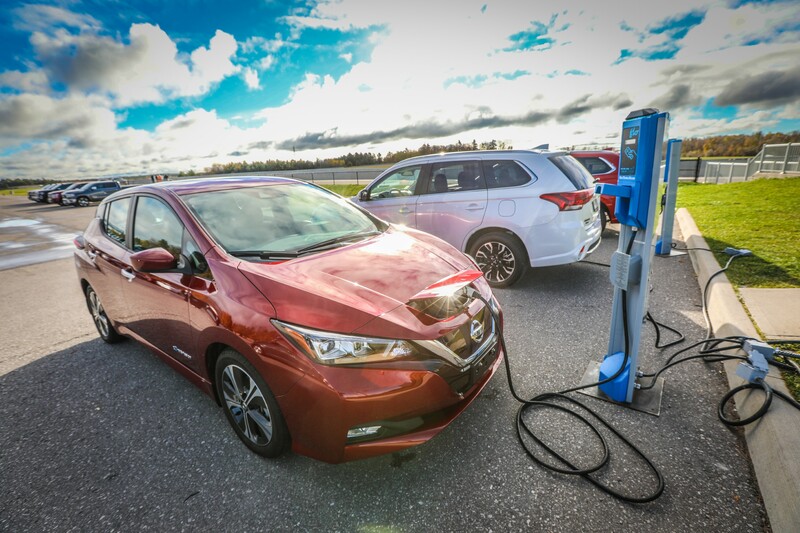 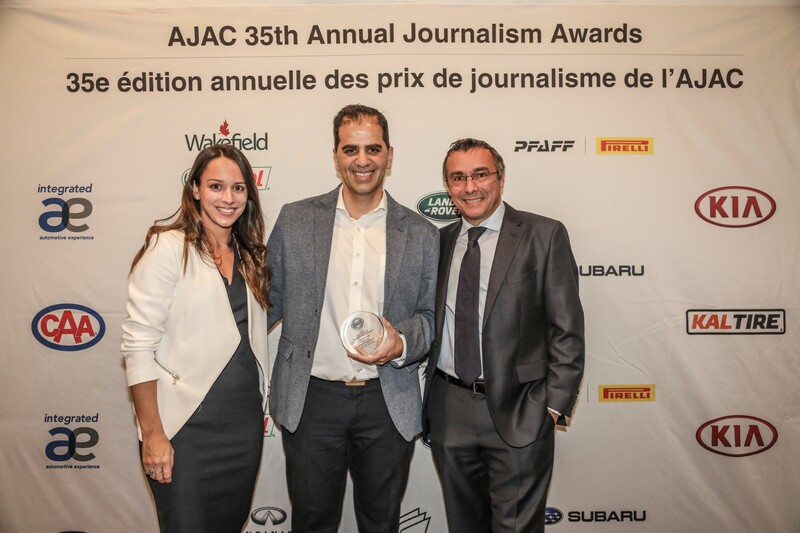 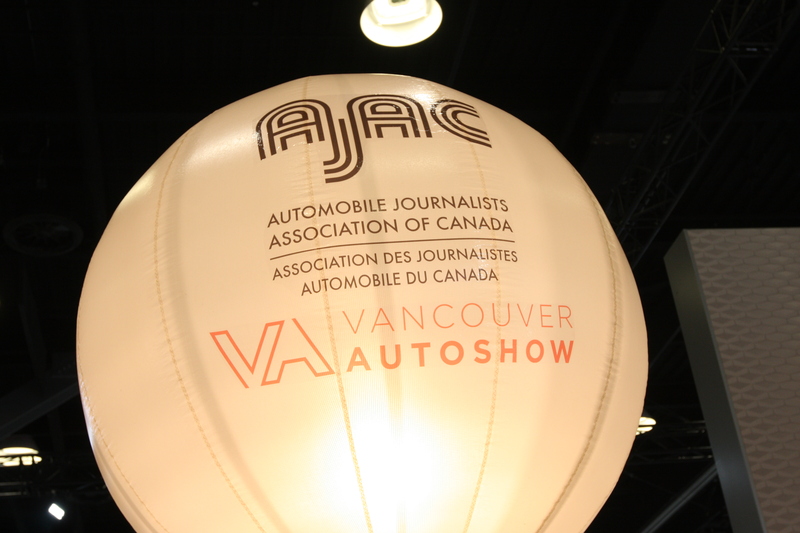 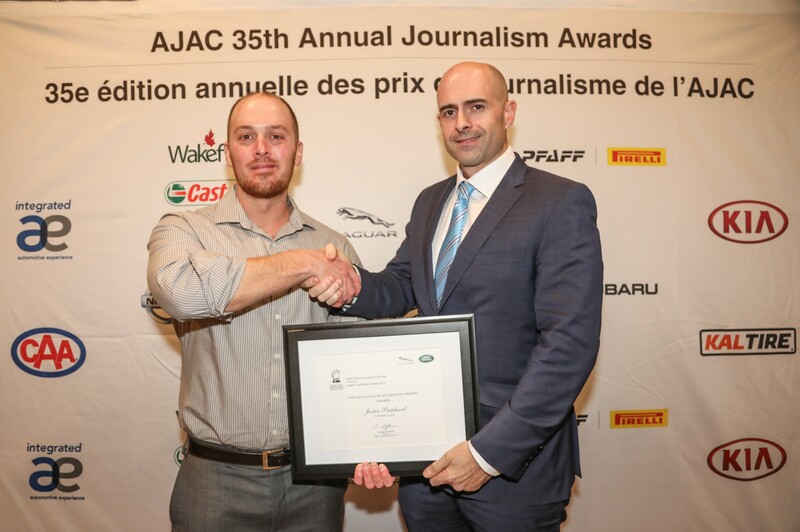 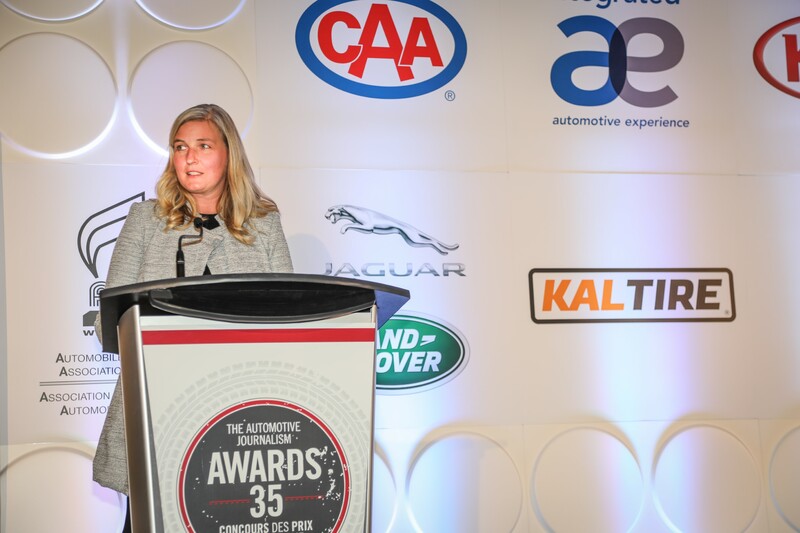 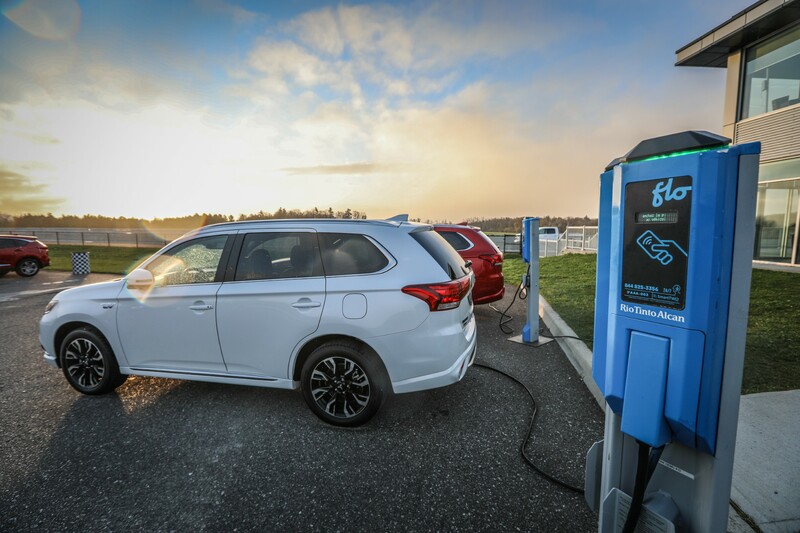 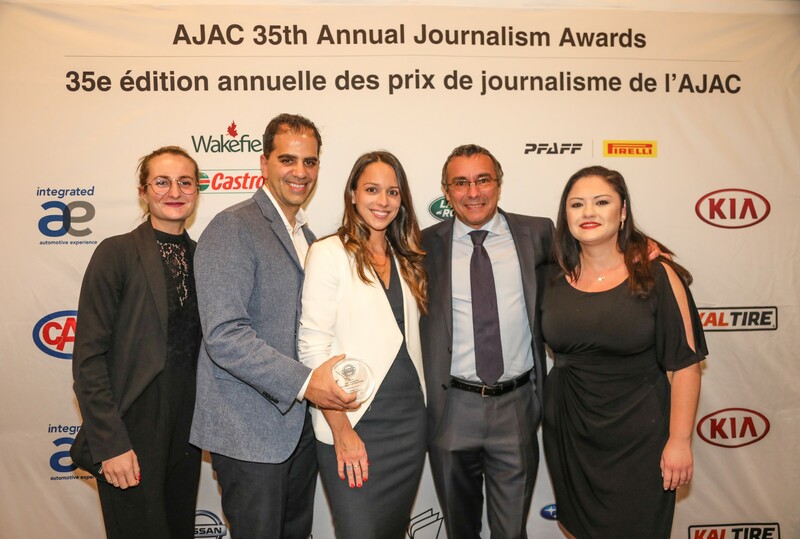 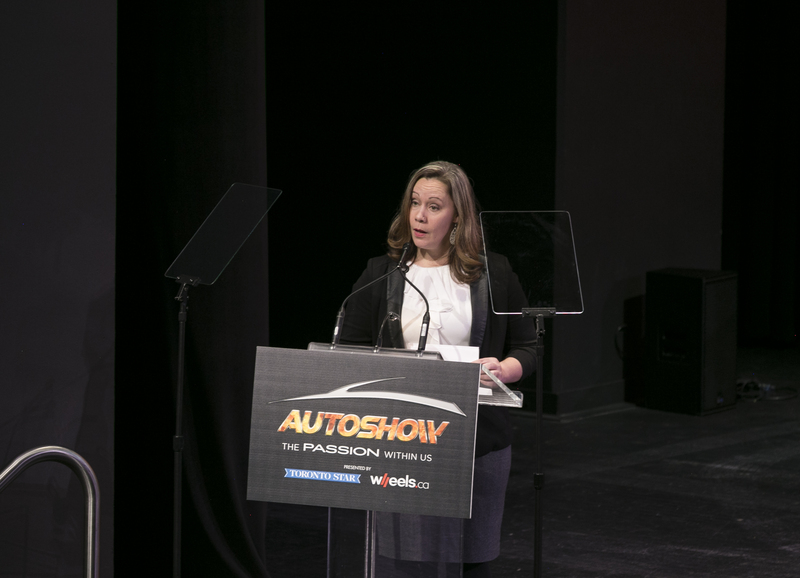 Stephanie Wallcraft, Vice-president of AJAC, presents the award for Best EV in Canada for 2019, awarded for the Chrysler Pacifica Hybrid, to Sylvain Côté, Regional Manager - Quebec Business Centre for FCA Canada. 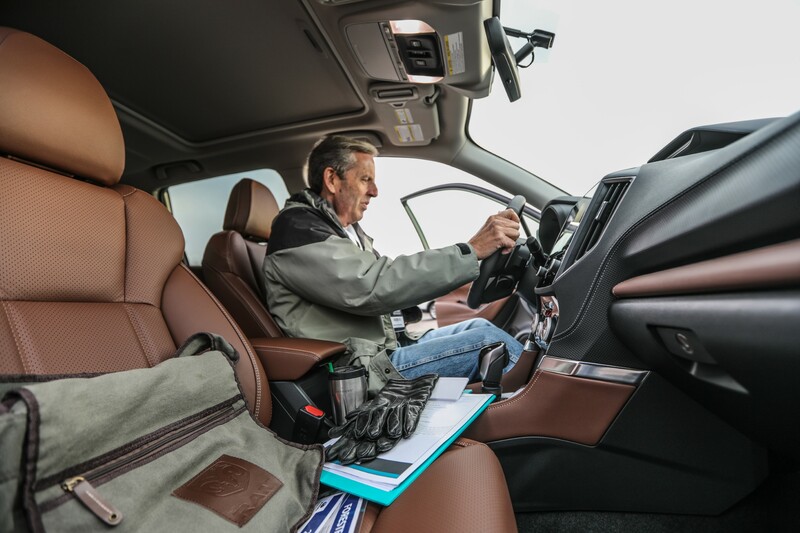 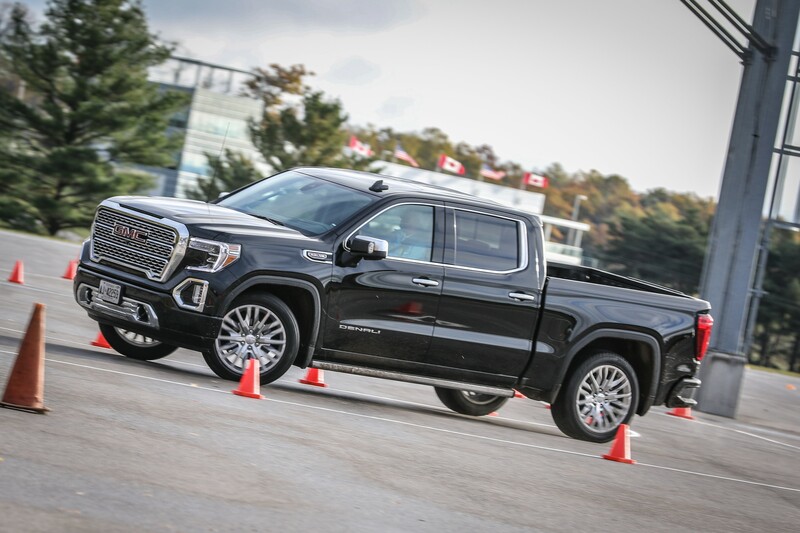 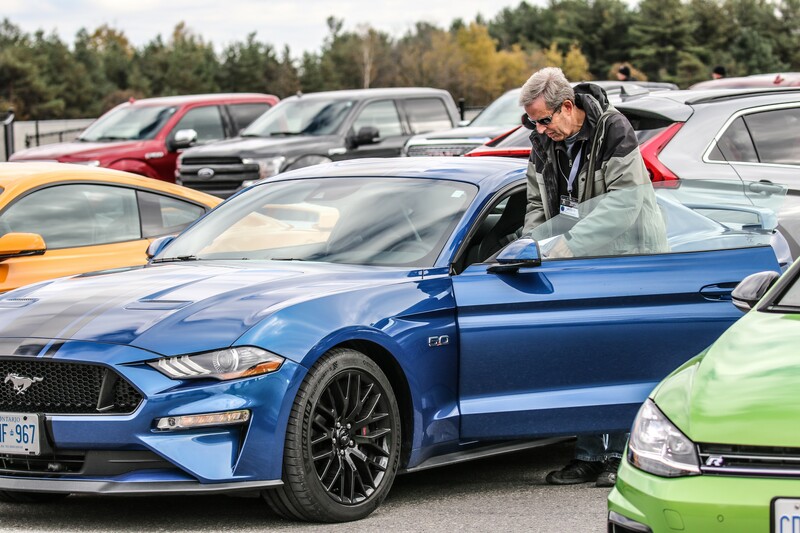 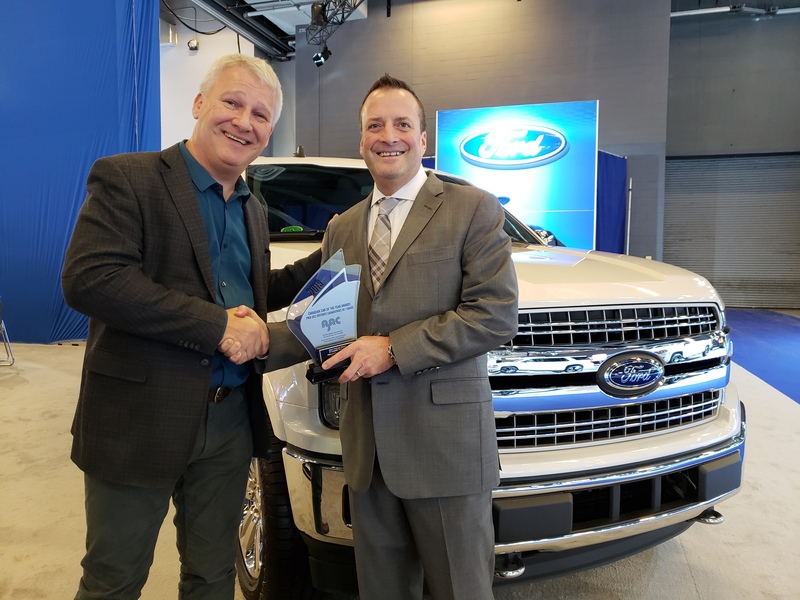 Mark Richardson, President of AJAC, presents the award for Best Pick-up Truck in Canada for 2019, awarded for the Ford F150 Diesel, to Tim Witt, Vice-president of Sales for Ford of Canada. 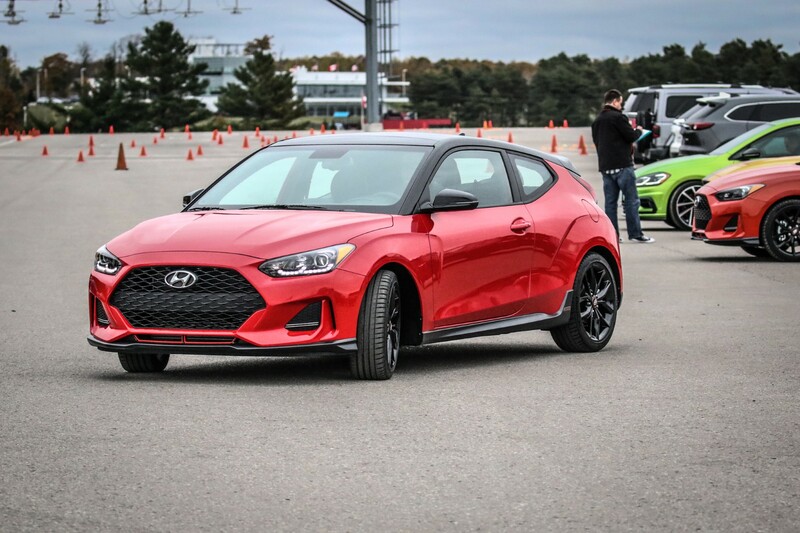 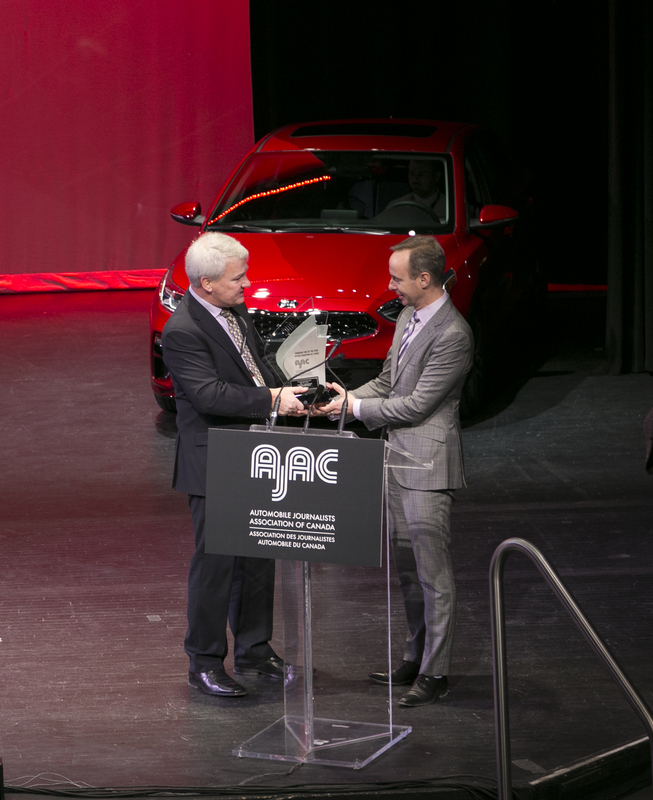 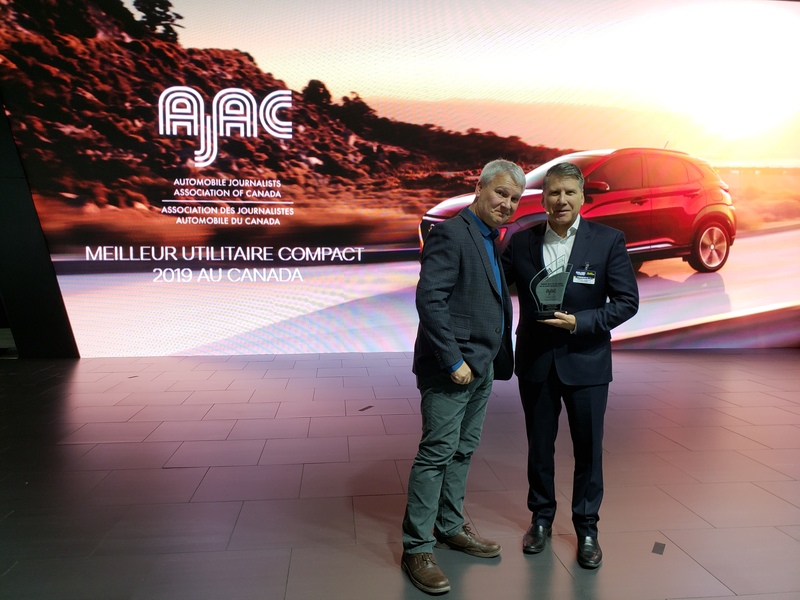 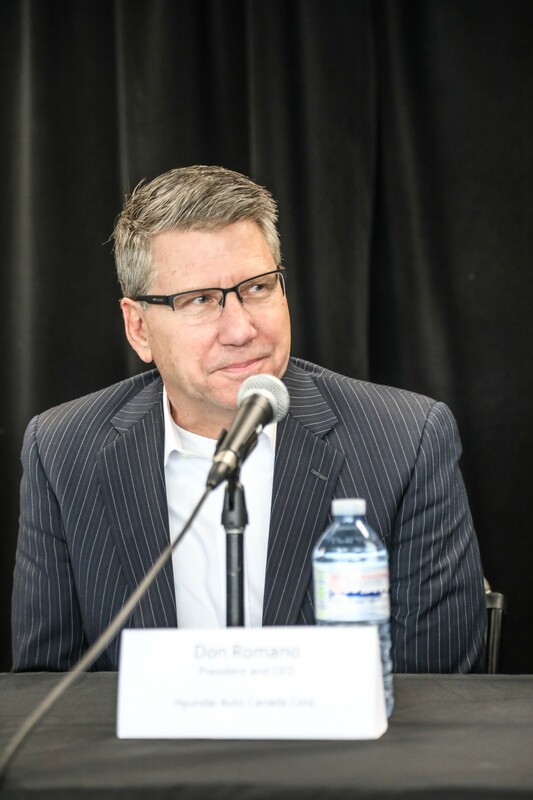 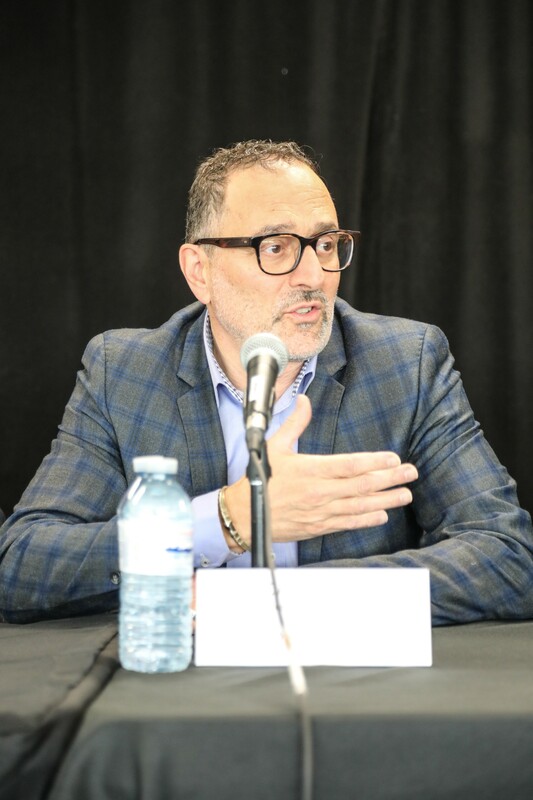 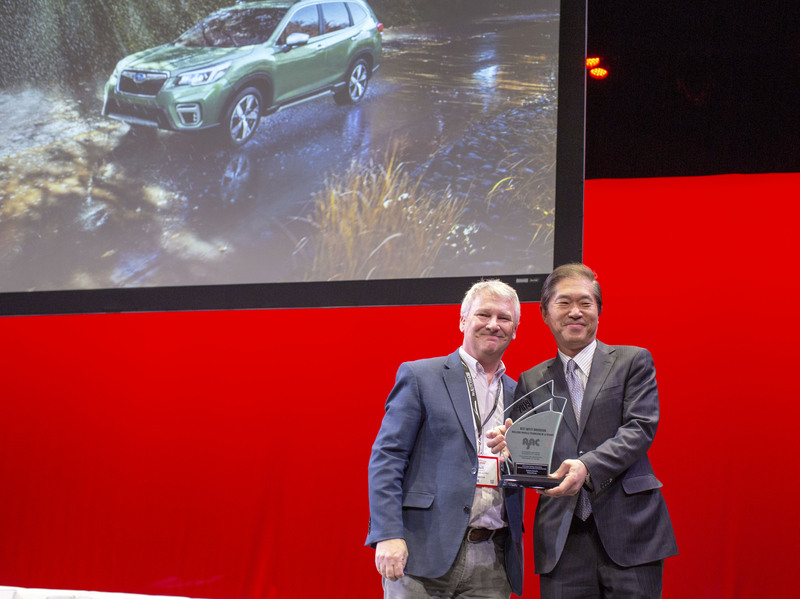 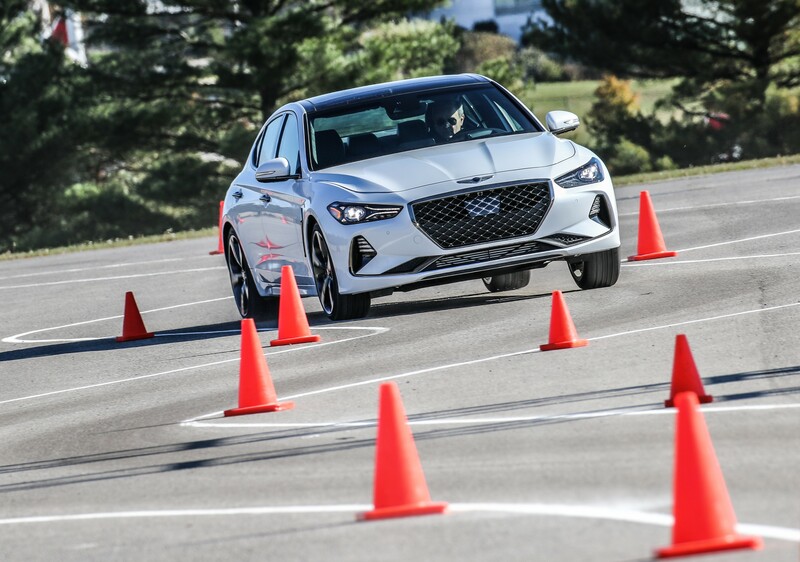 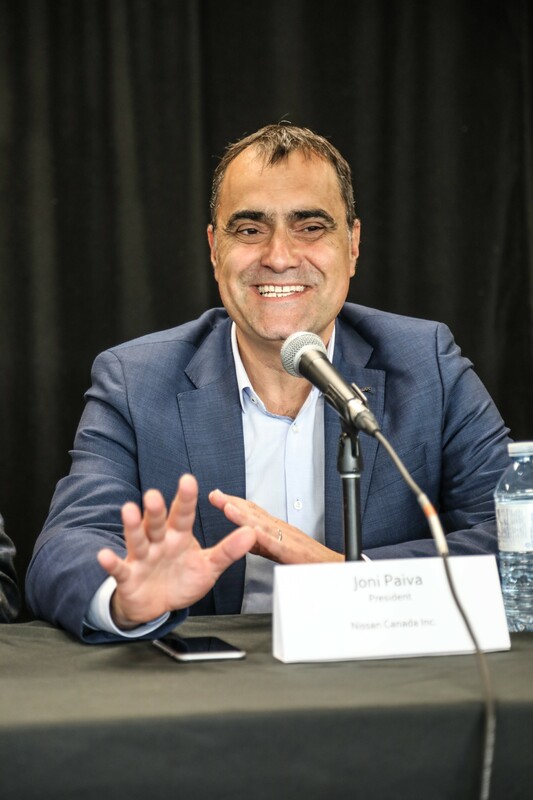 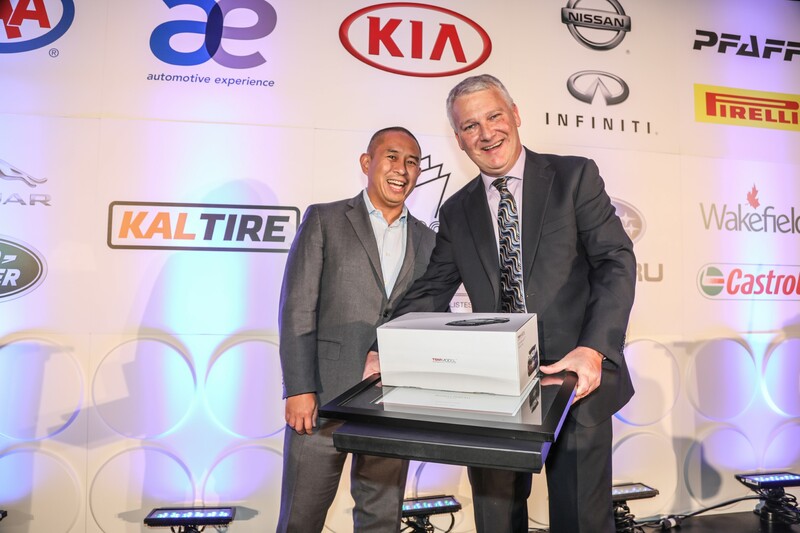 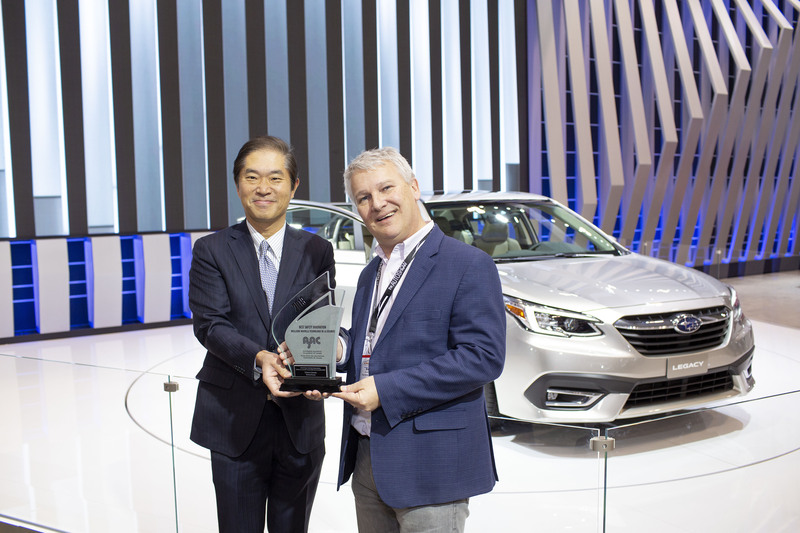 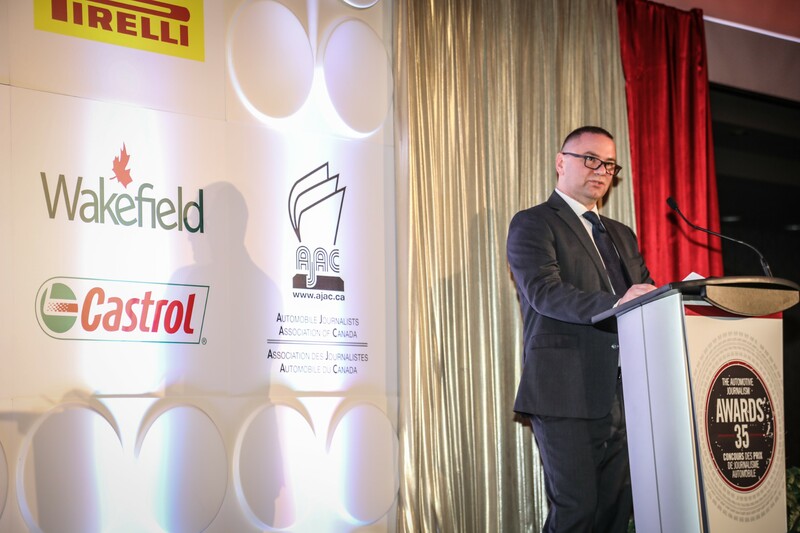 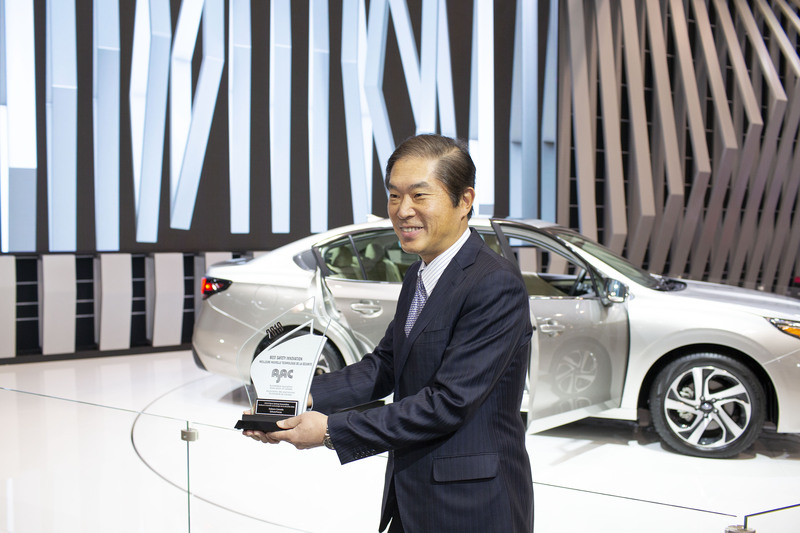 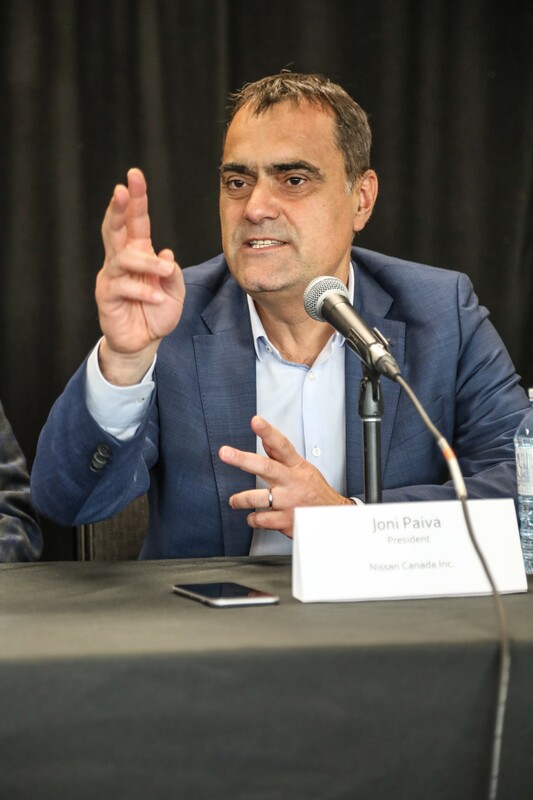 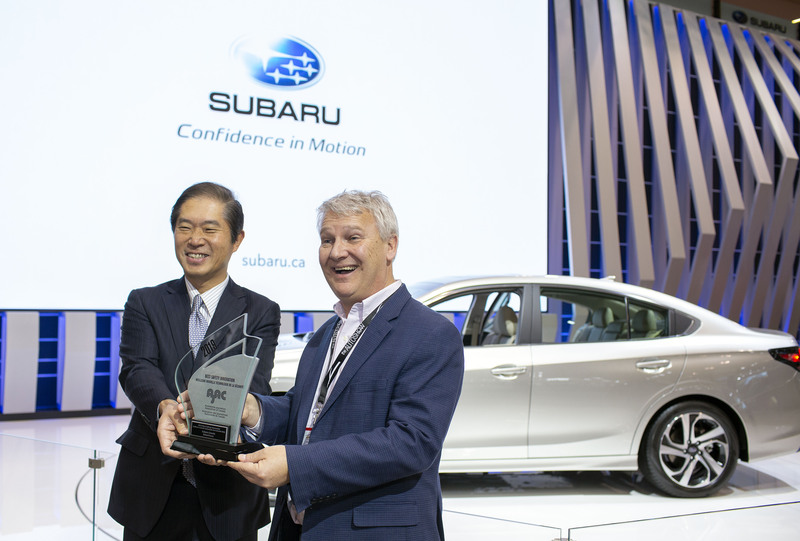 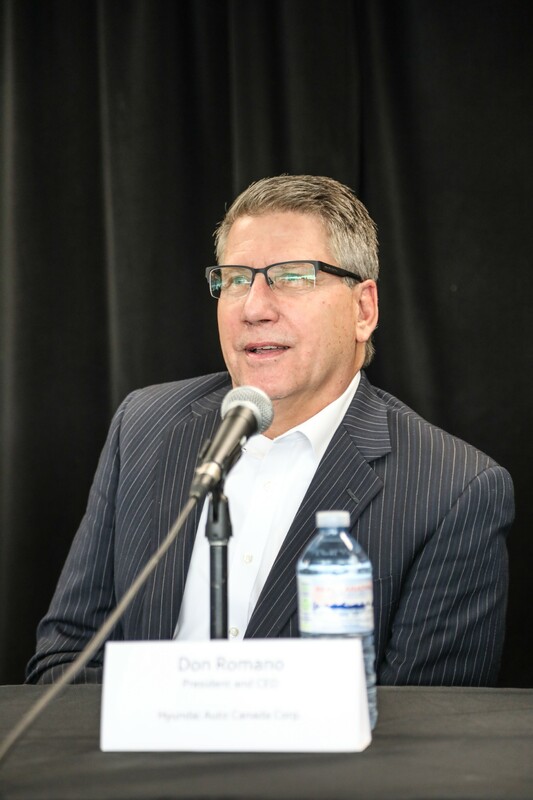 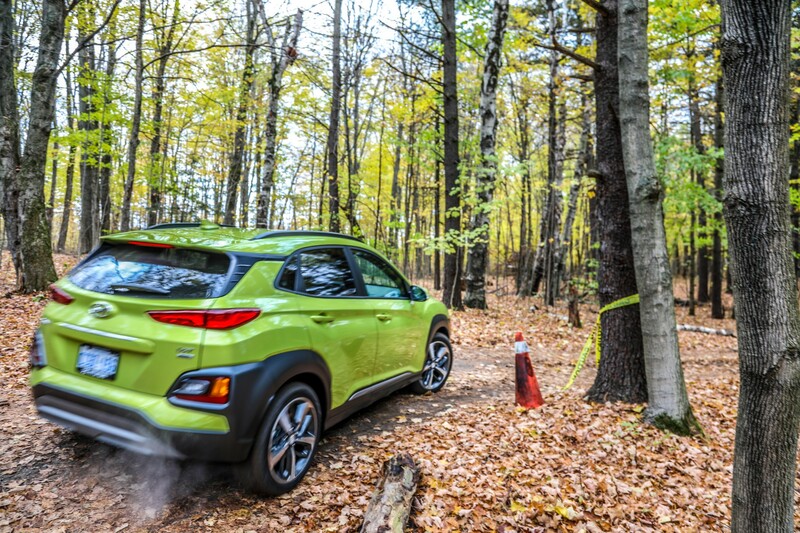 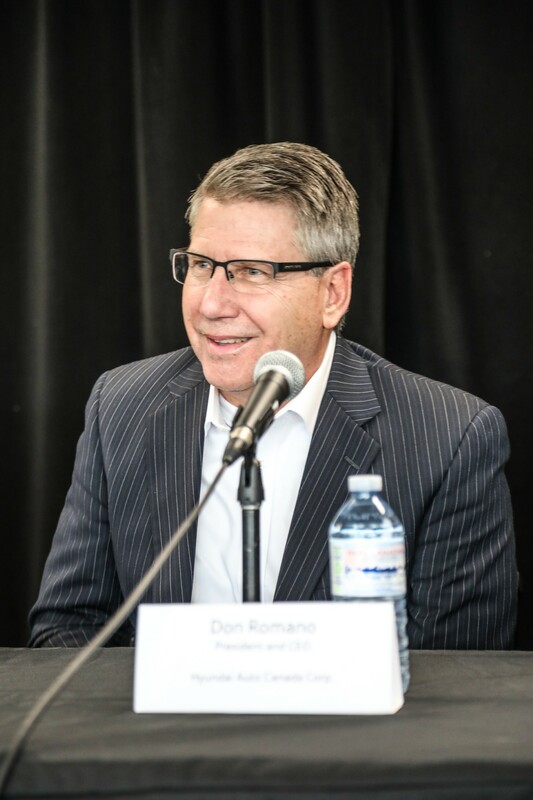 Mark Richardson, President of AJAC, presents the award for Best Small Utility in Canada for 2019, awarded for the Hyundai Kona, to Don Romano, President and CEO of Hyundai Canada. 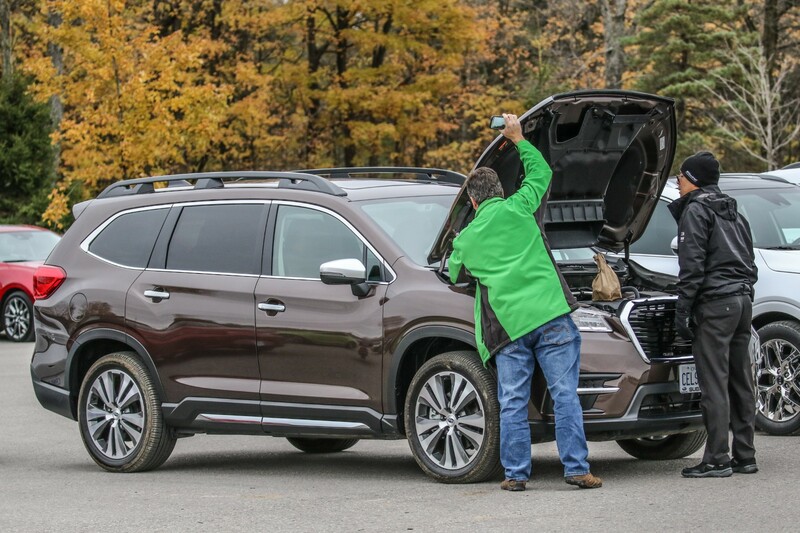 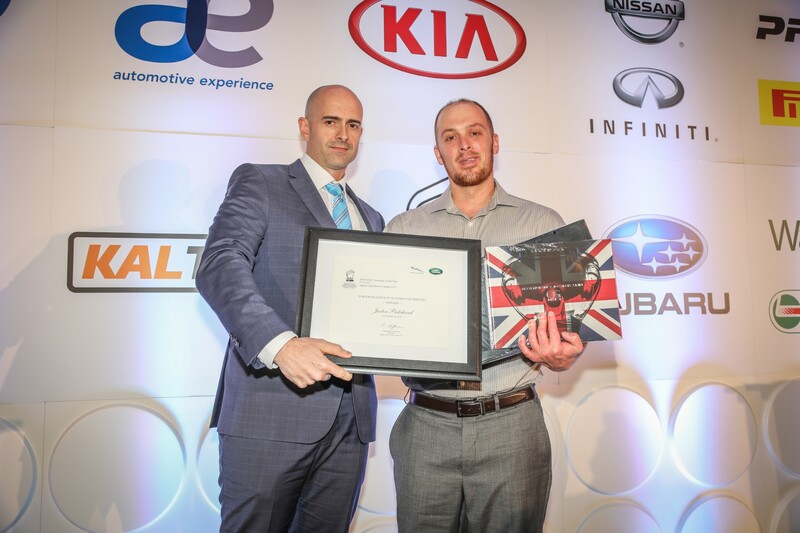 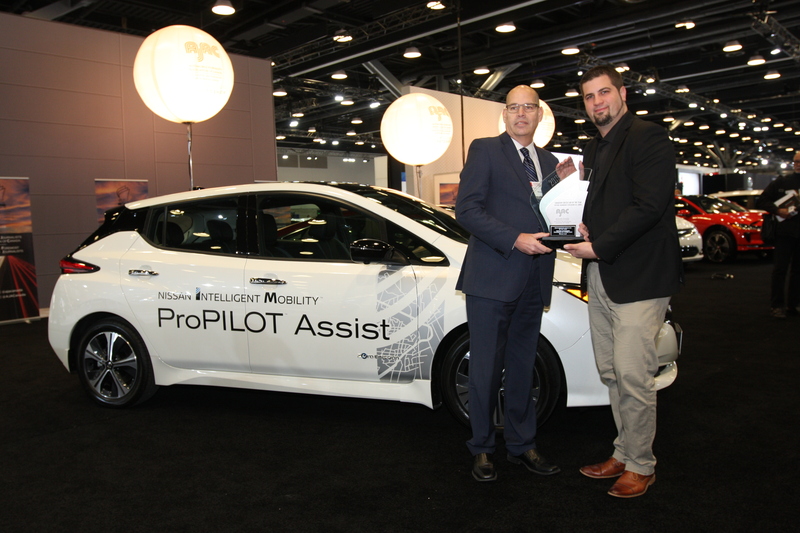 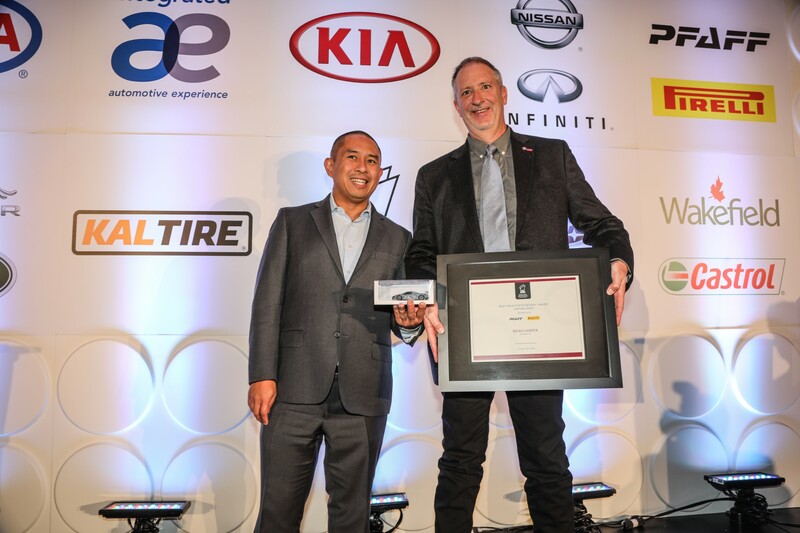 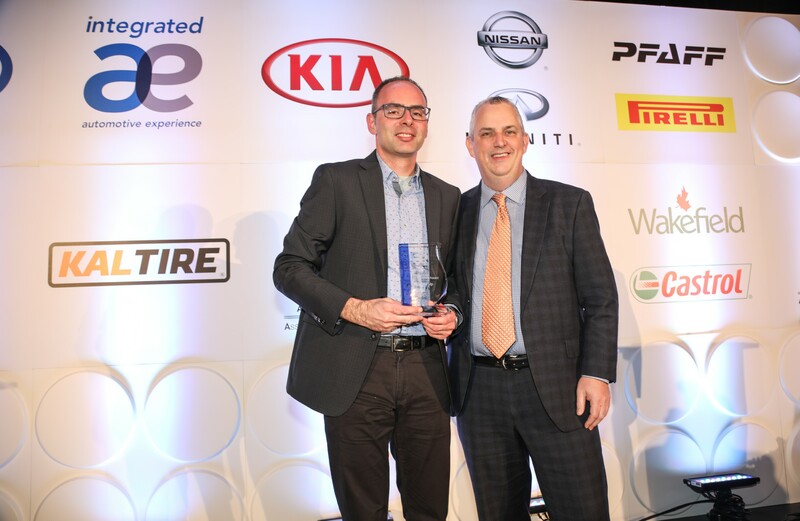 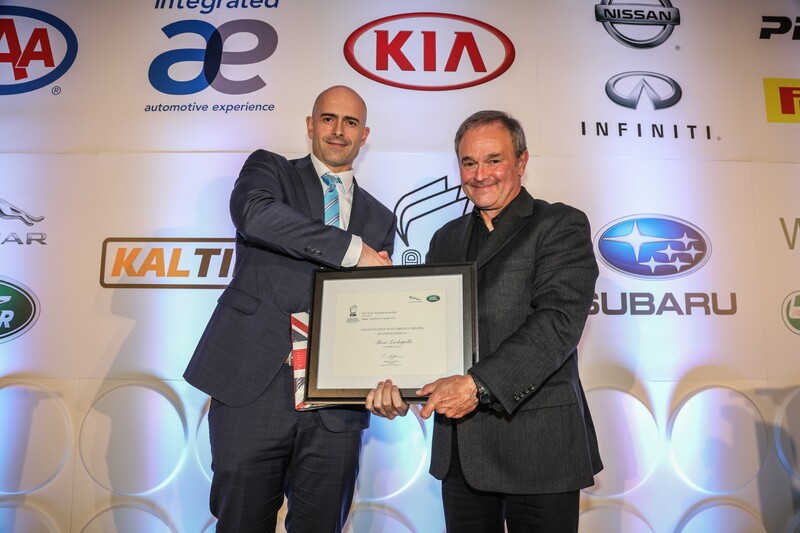 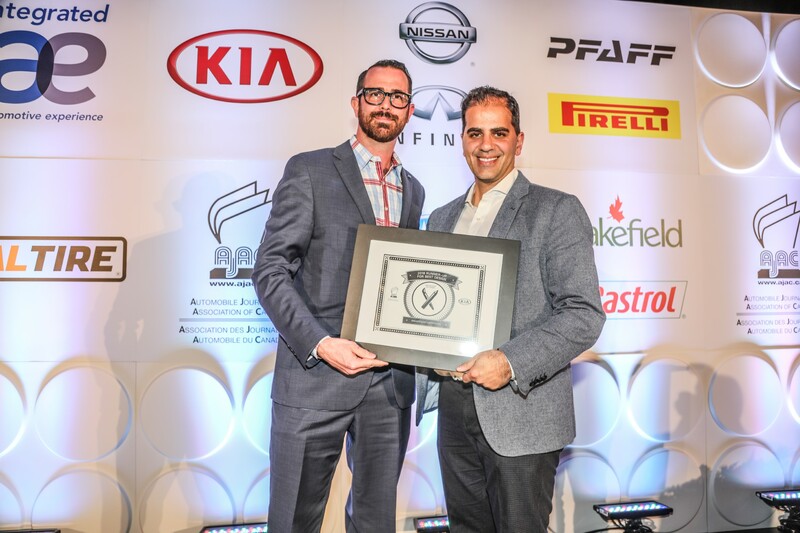 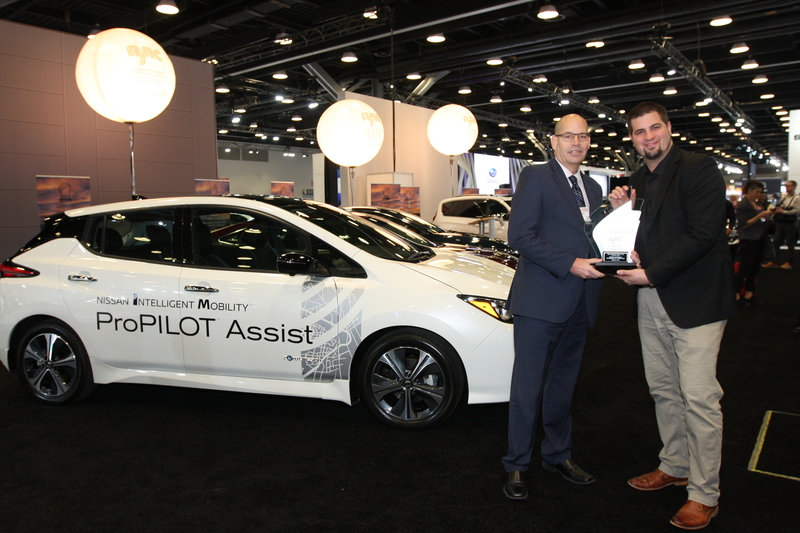 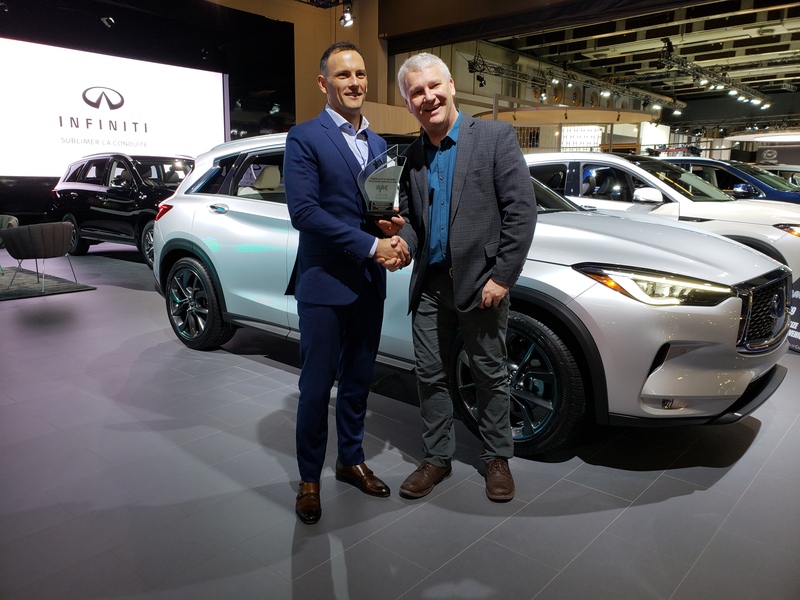 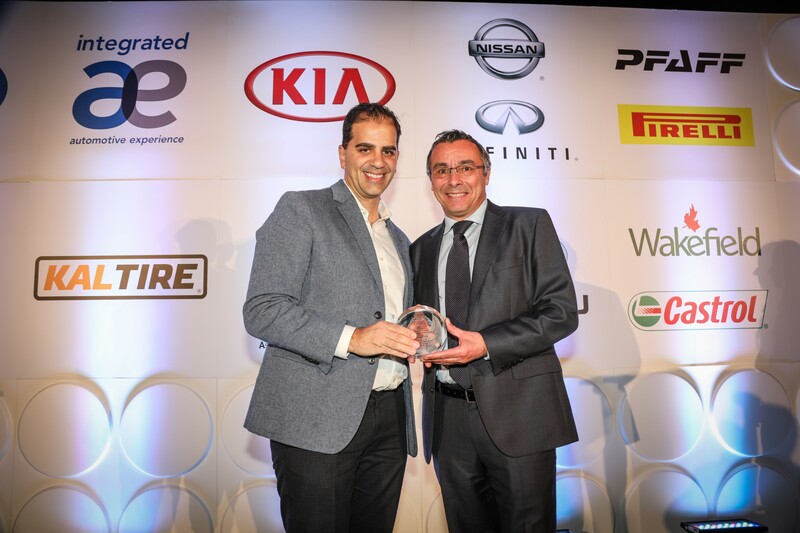 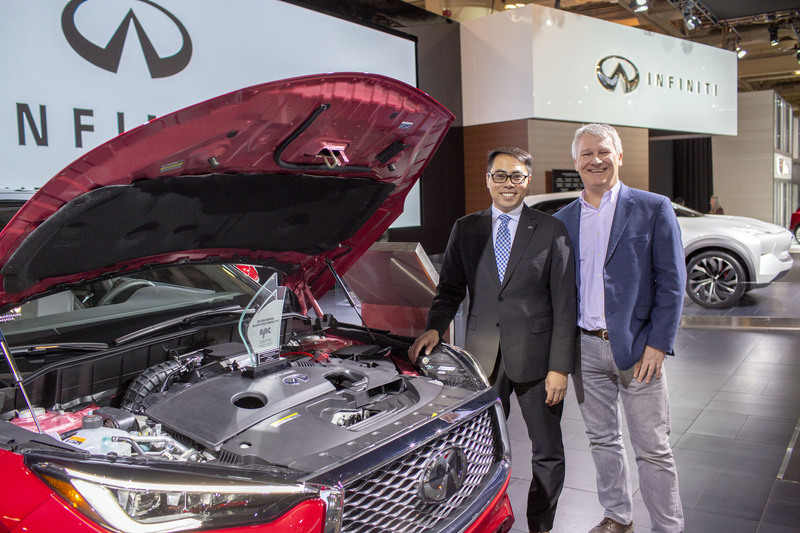 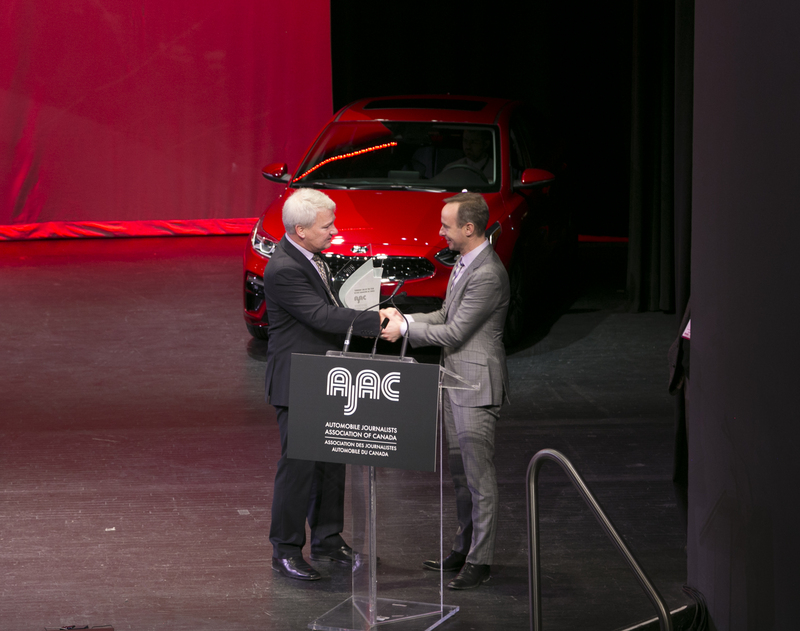 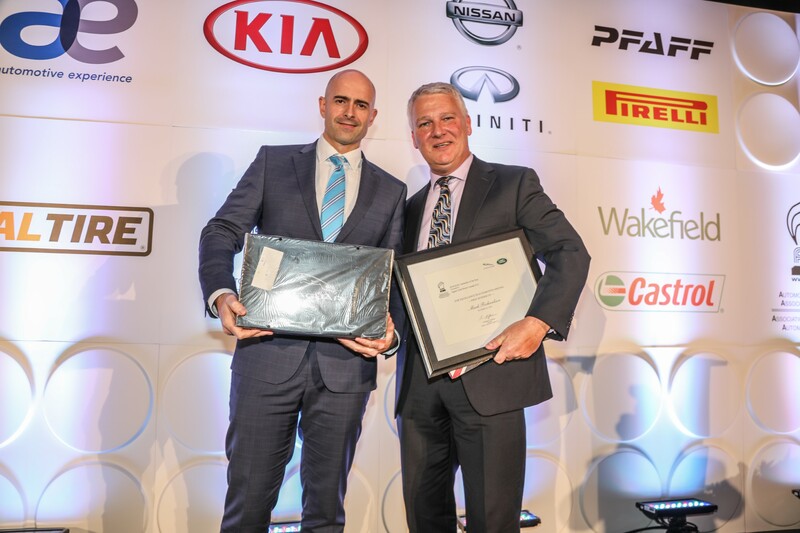 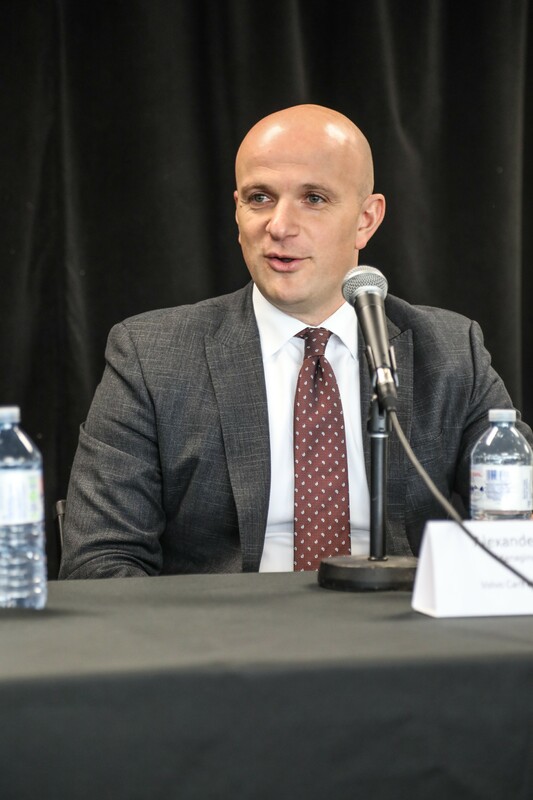 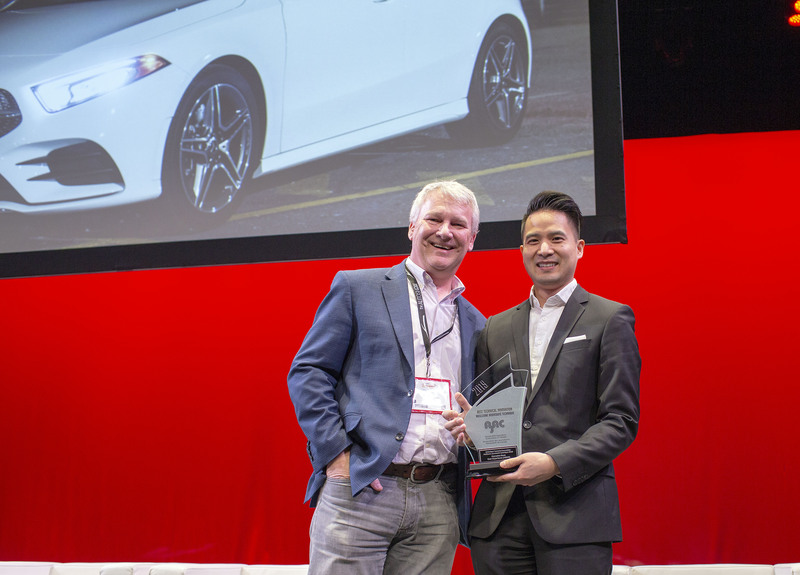 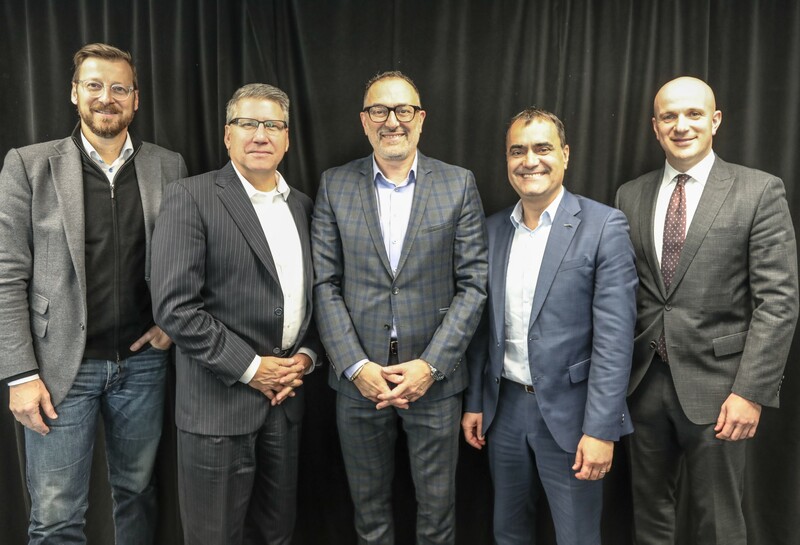 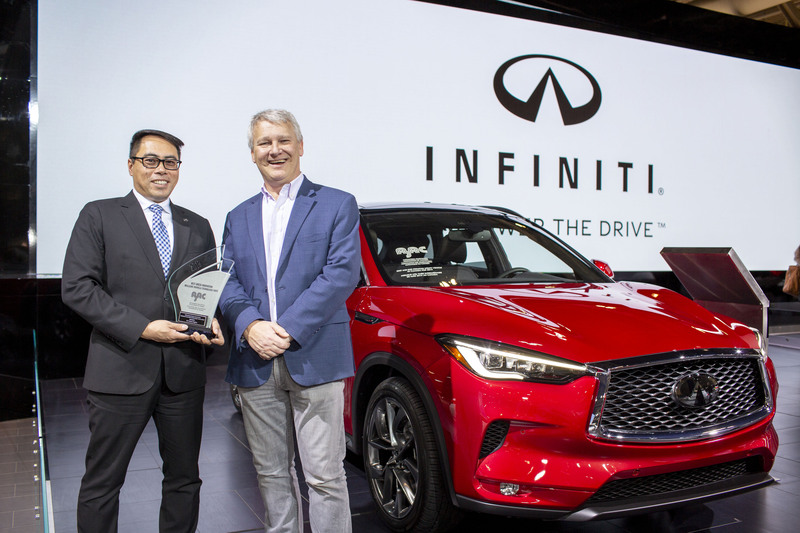 Mark Richardson, President of AJAC, presents the award for Best Mid-Size Premium Utility in Canada for 2019, awarded for the Infiniti QX50, to Adam Paterson, Managing Director of Infiniti Canada. 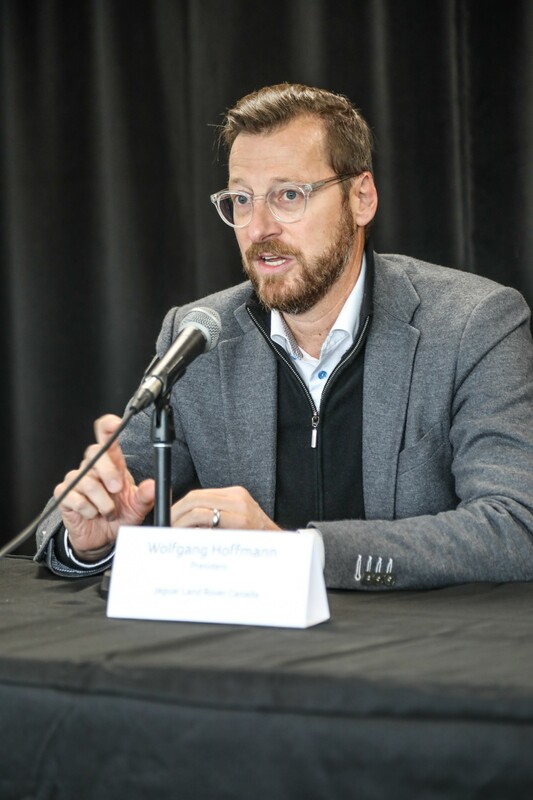 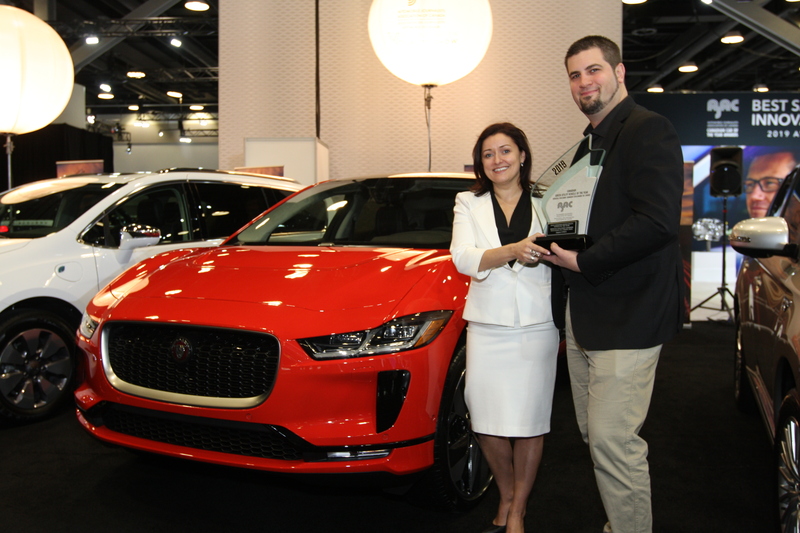 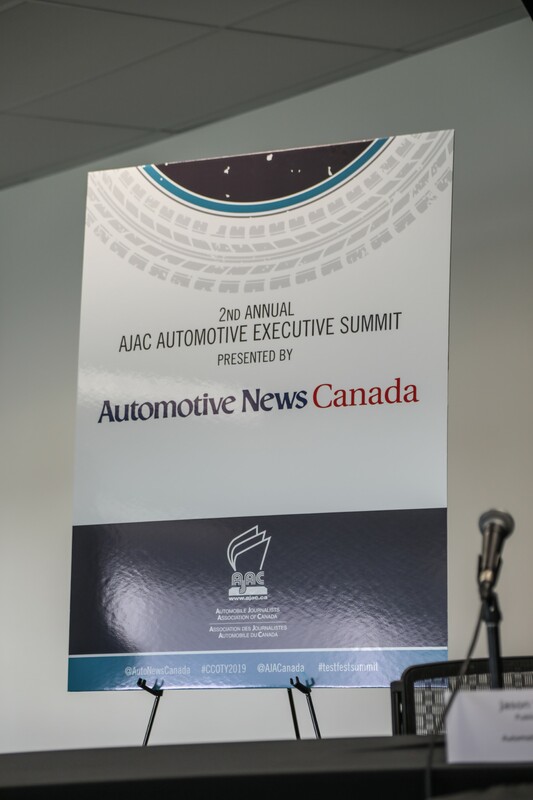 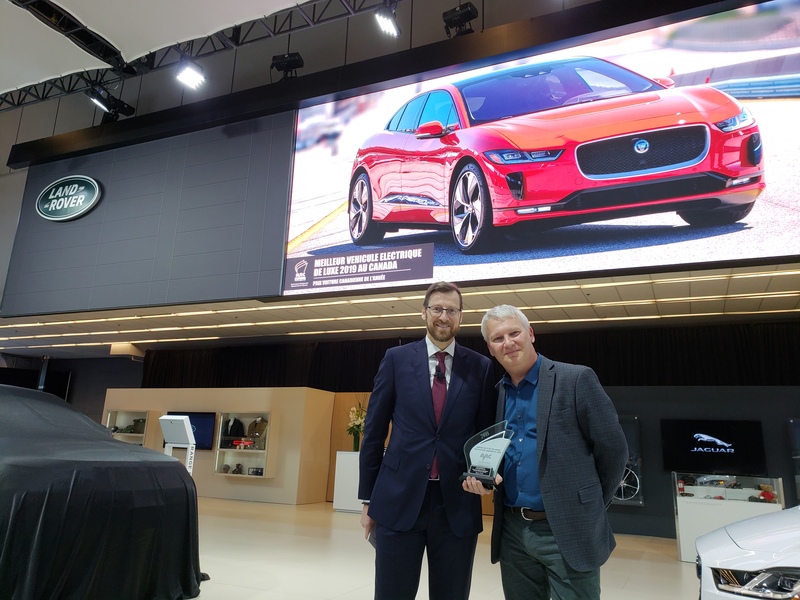 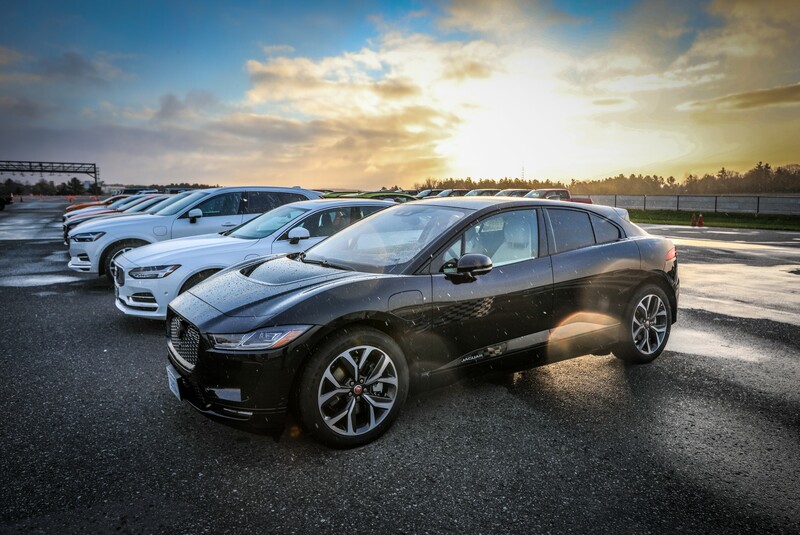 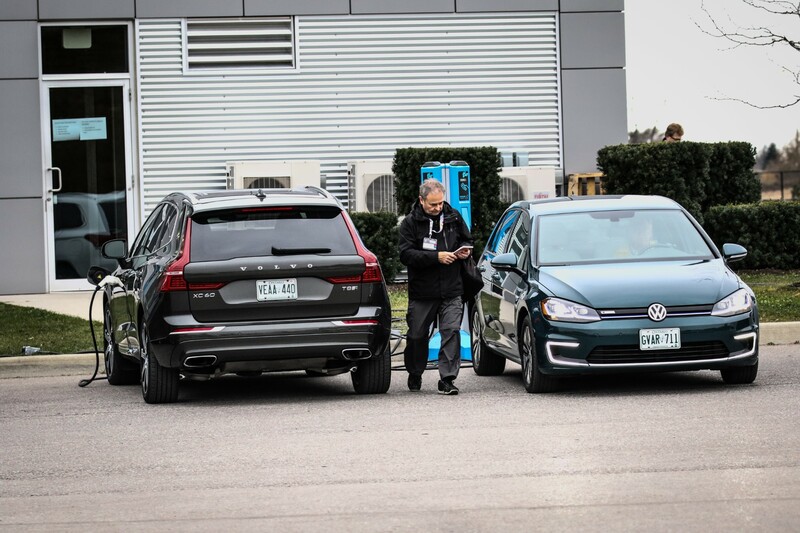 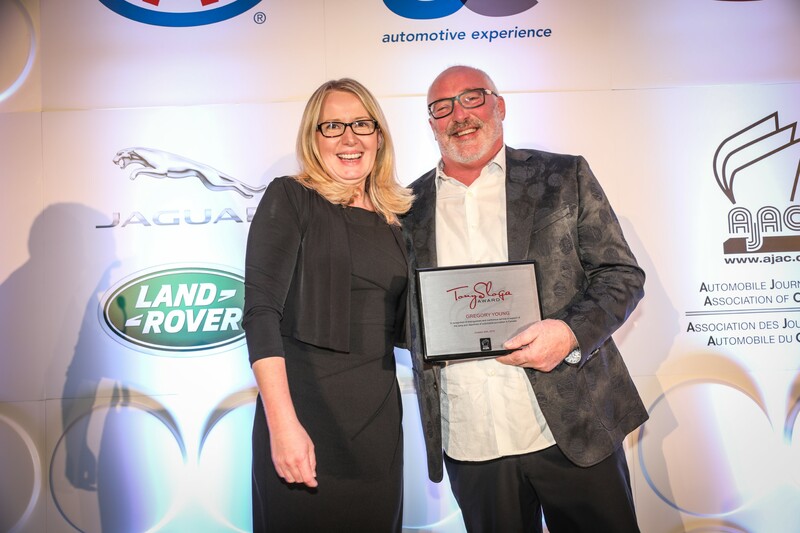 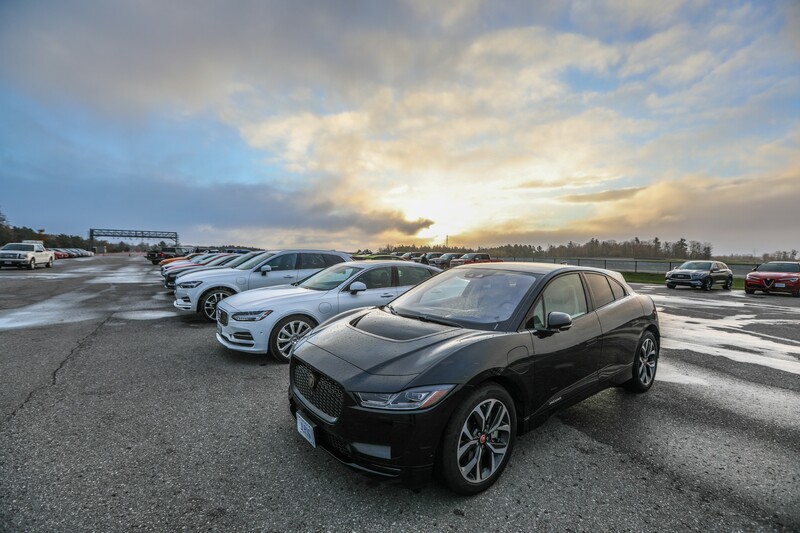 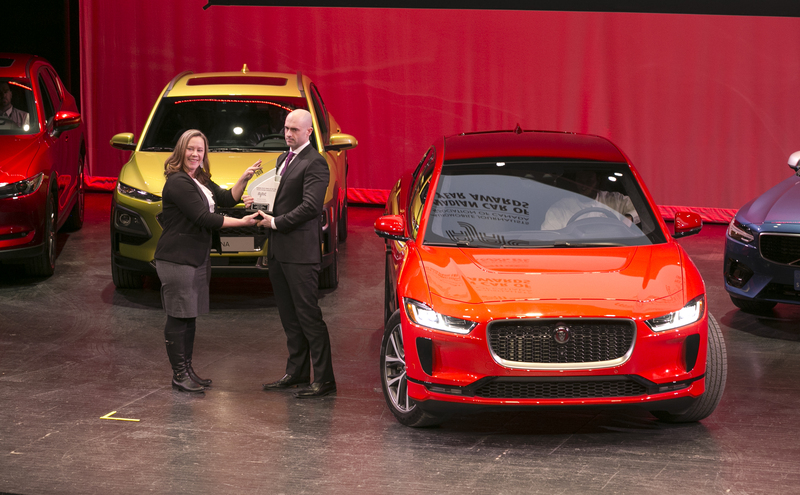 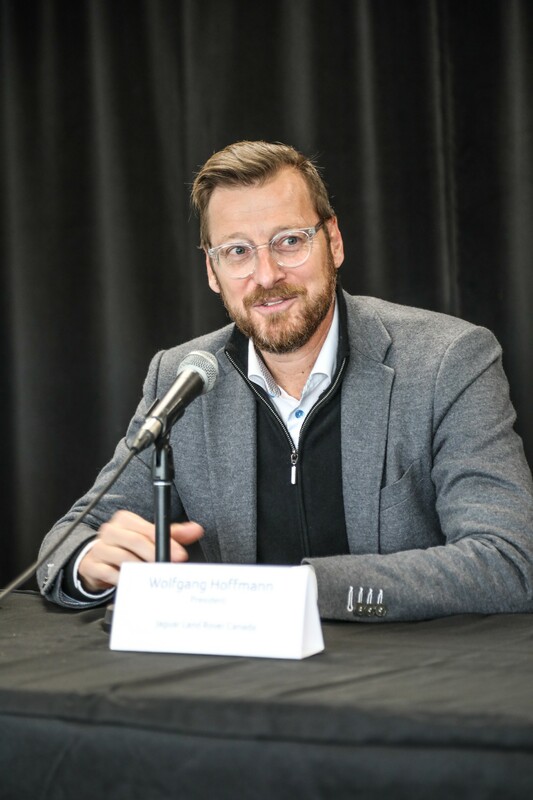 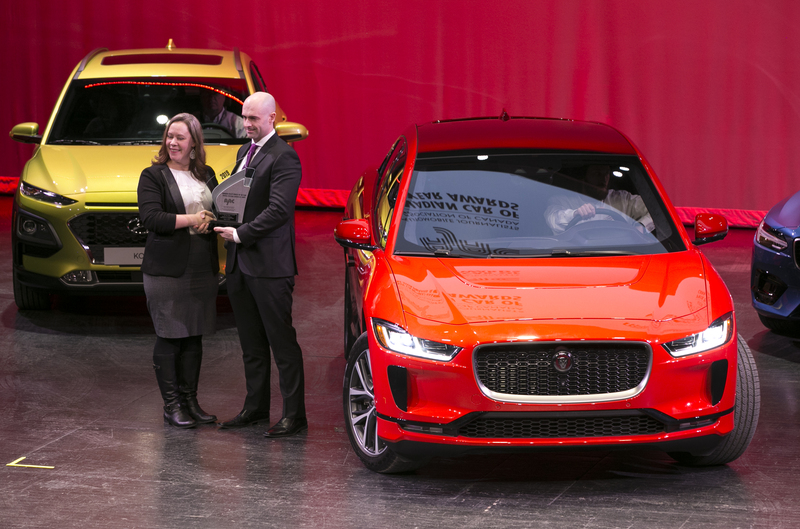 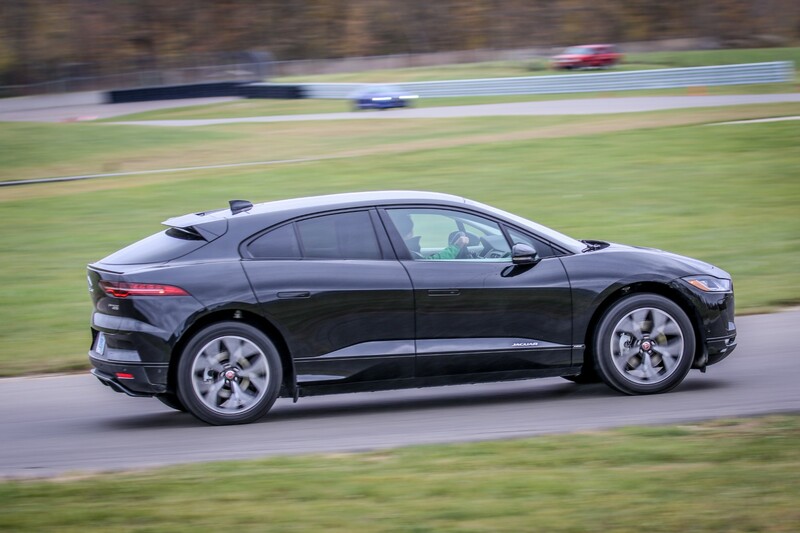 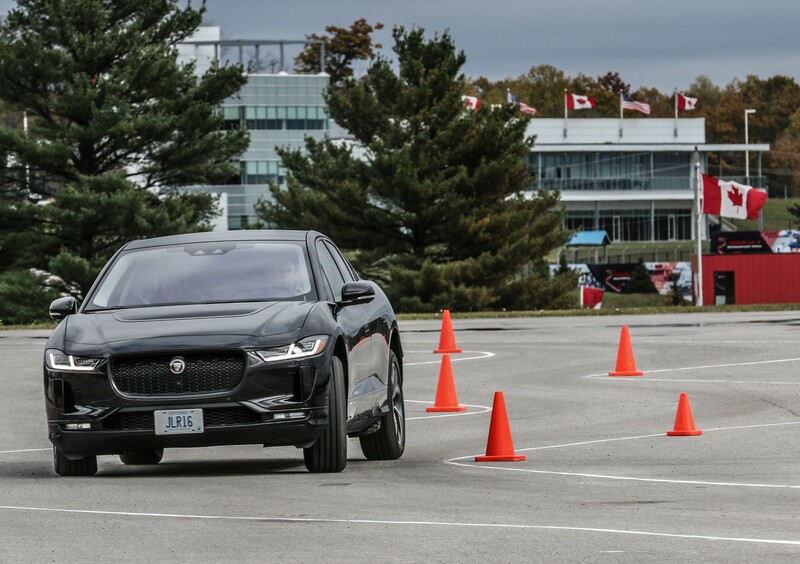 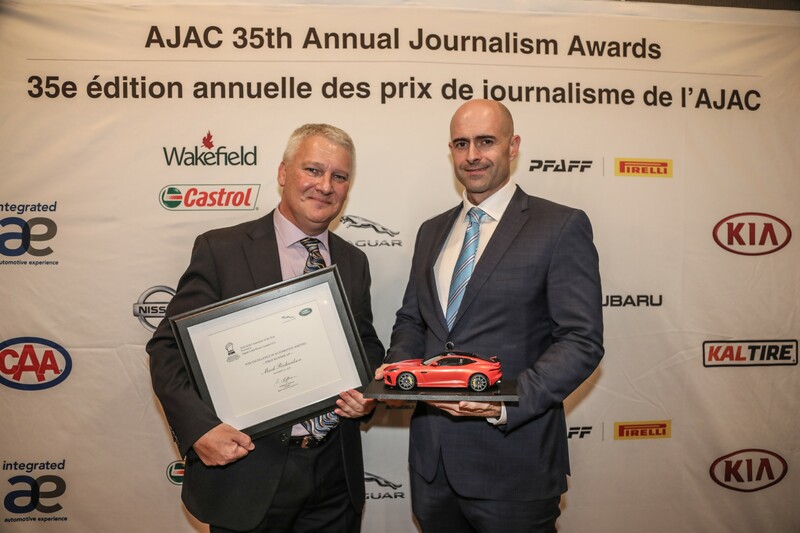 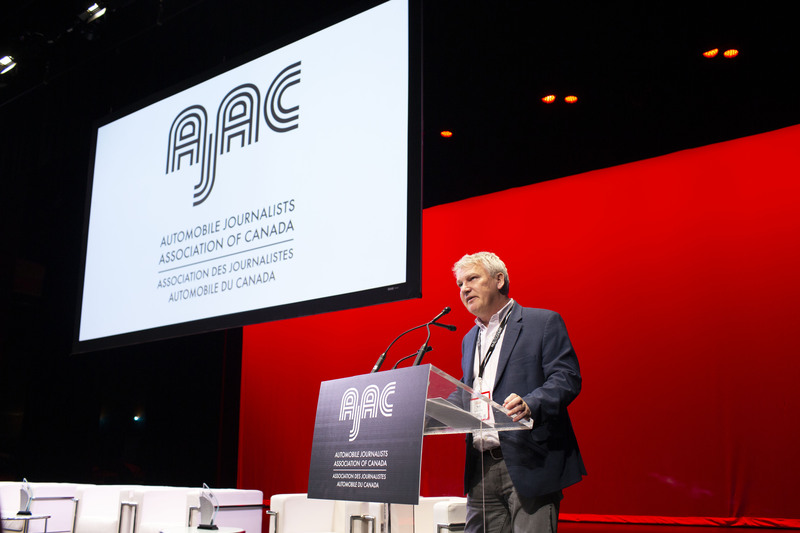 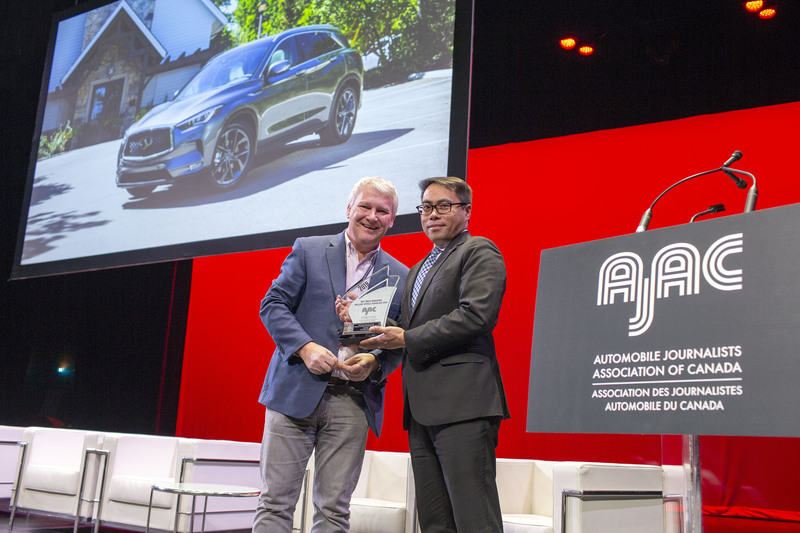 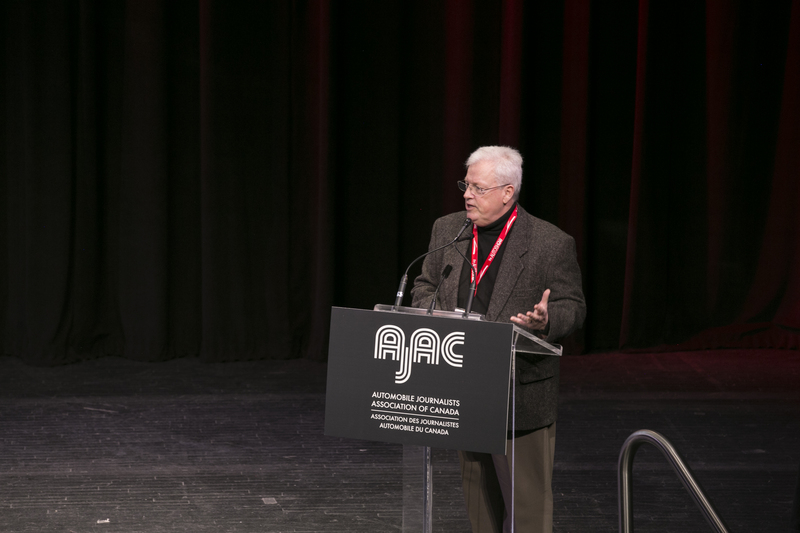 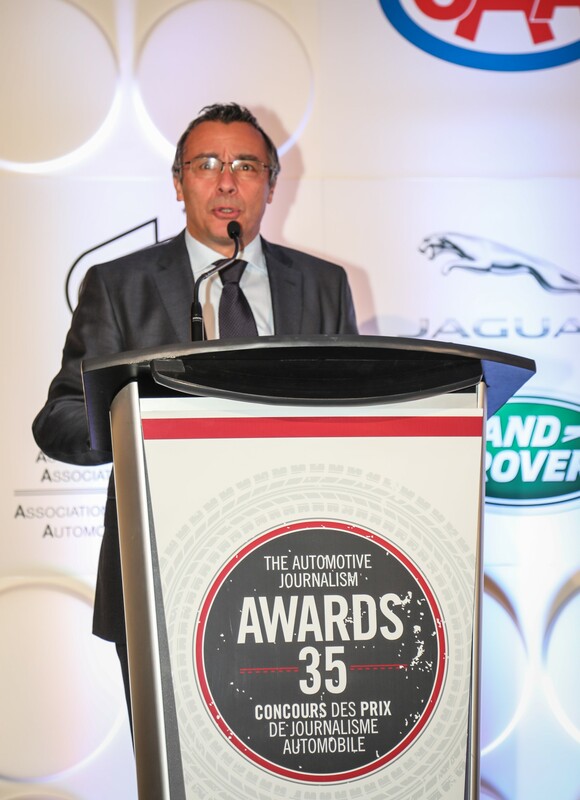 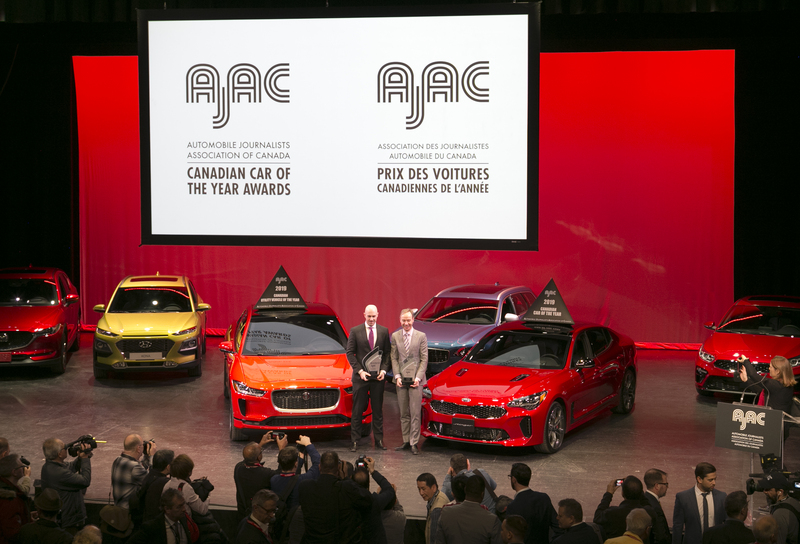 Mark Richardson, President of AJAC, presents the award for Best Premium EV in Canada for 2019, awarded for the Jaguar I-PACE, to Wolfgang Hoffmann, President of Jaguar Land Rover Canada. 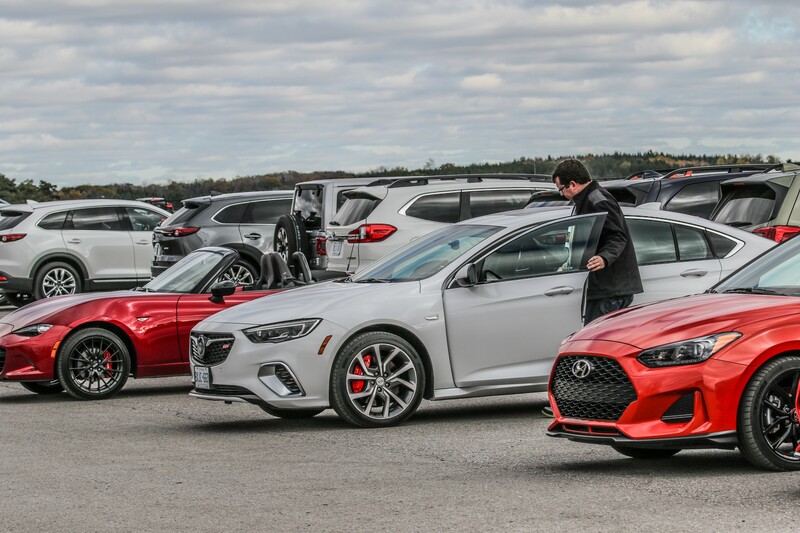 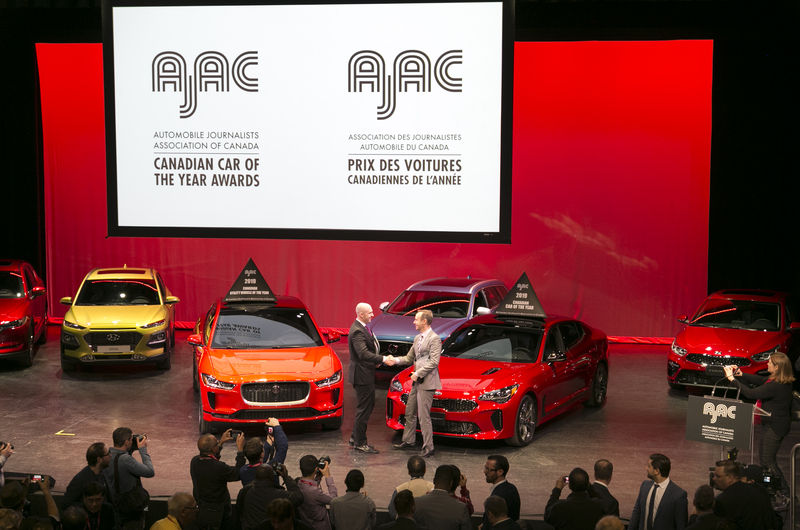 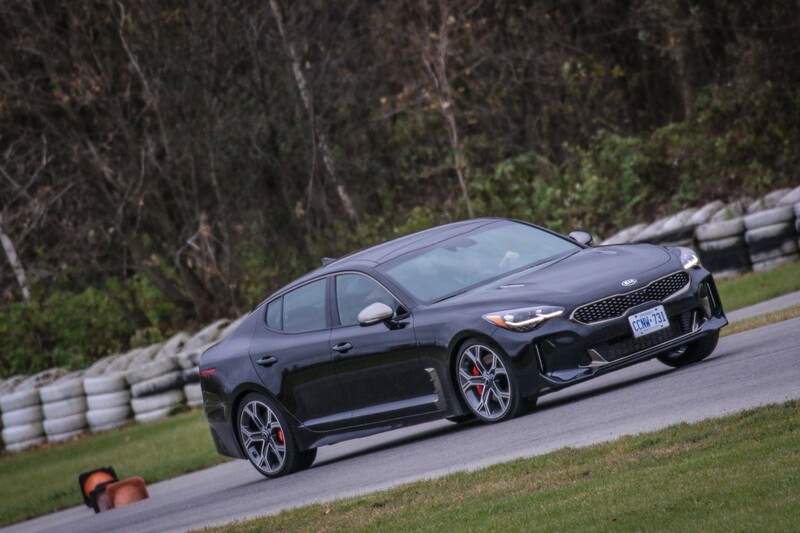 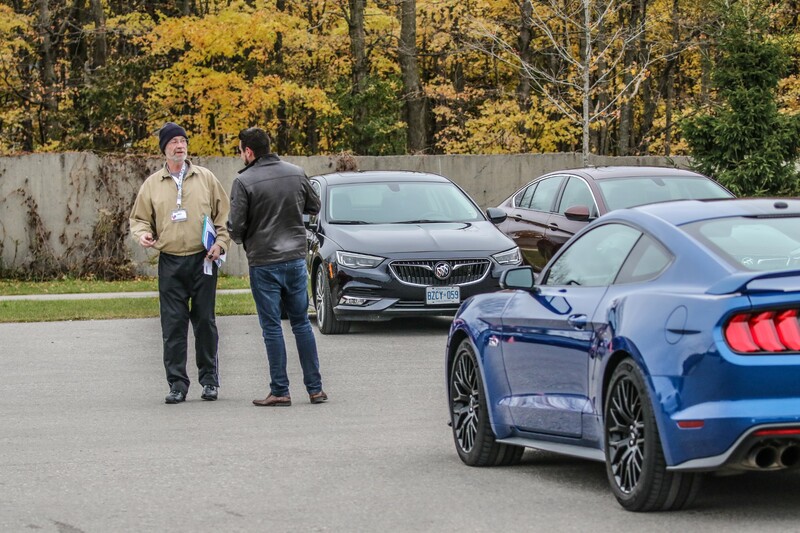 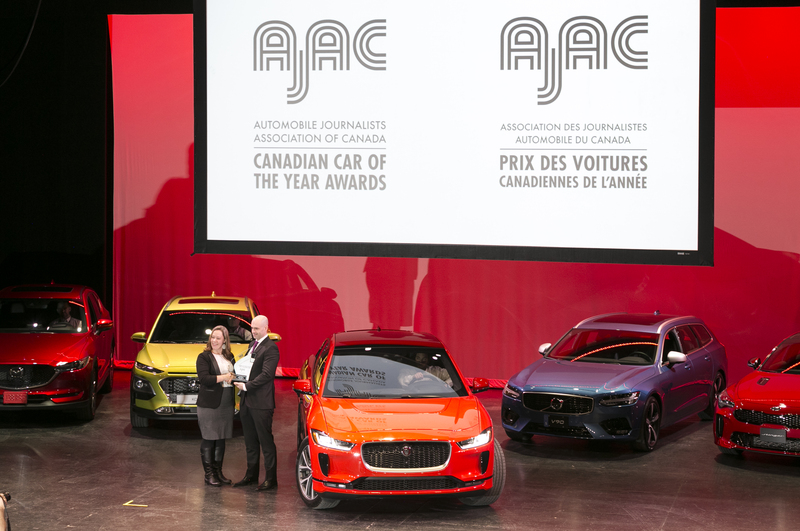 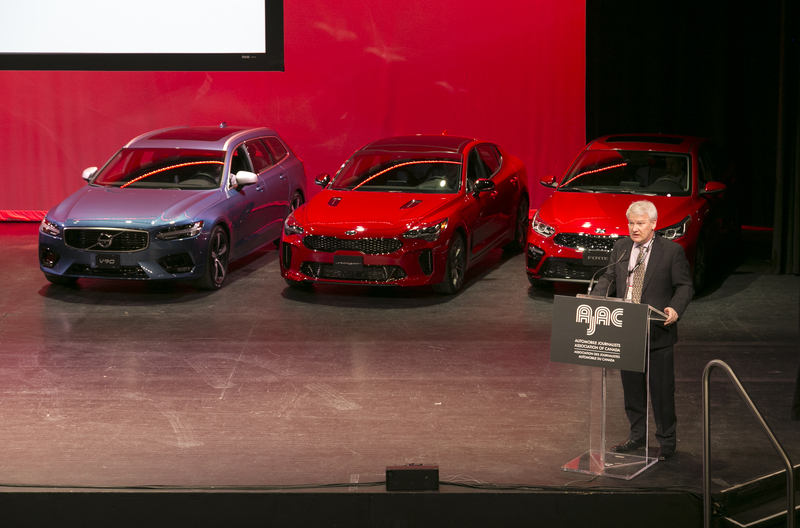 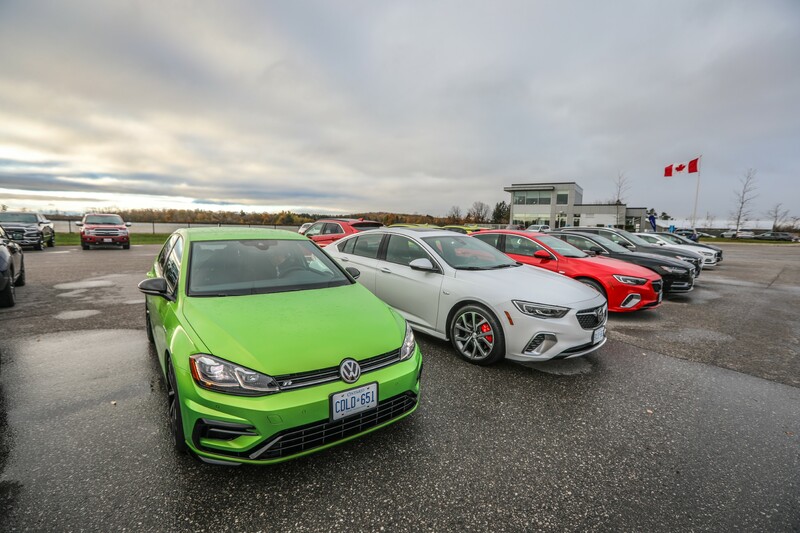 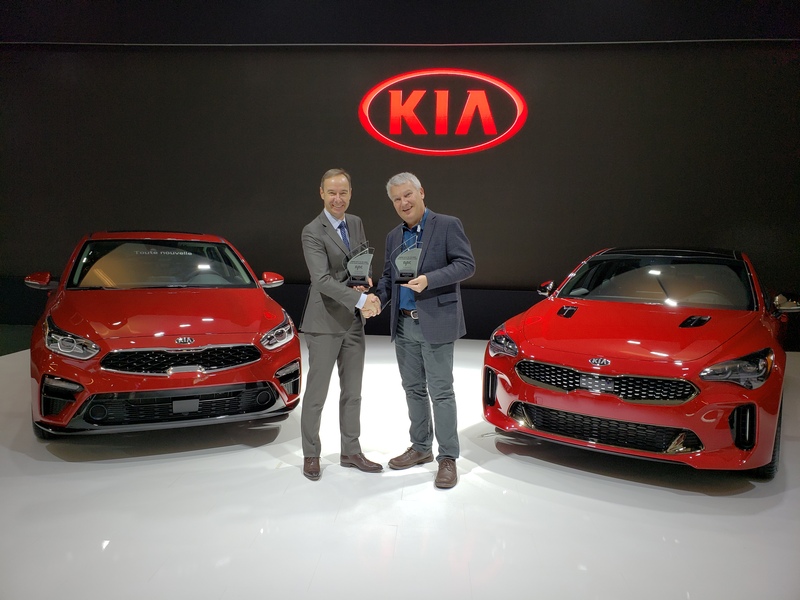 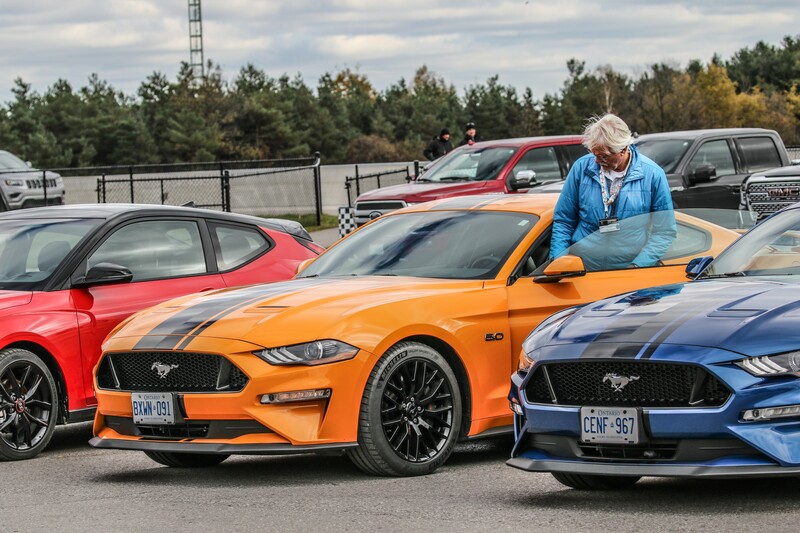 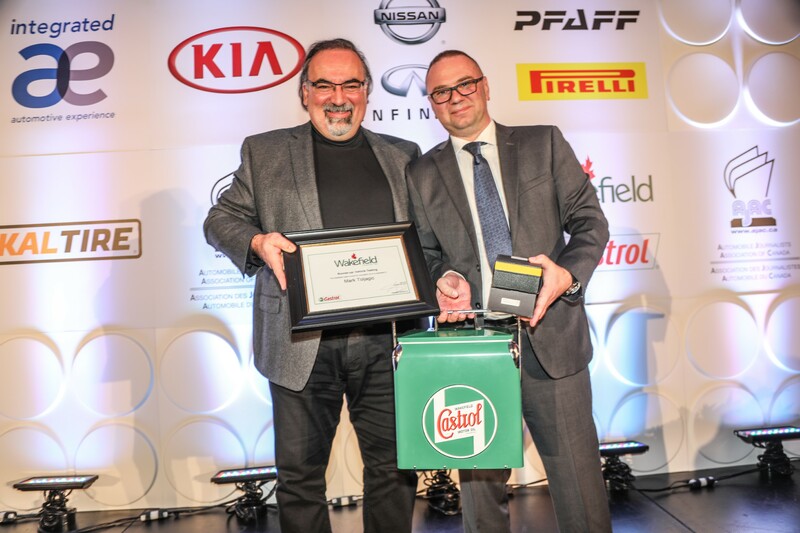 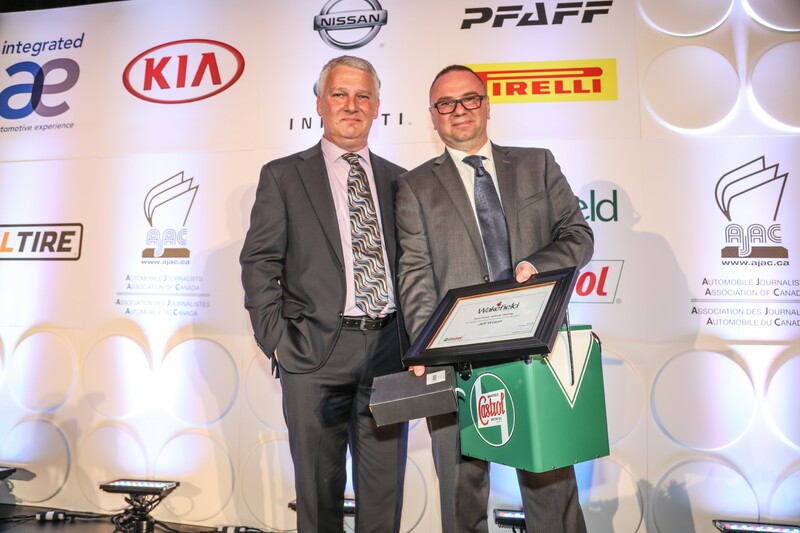 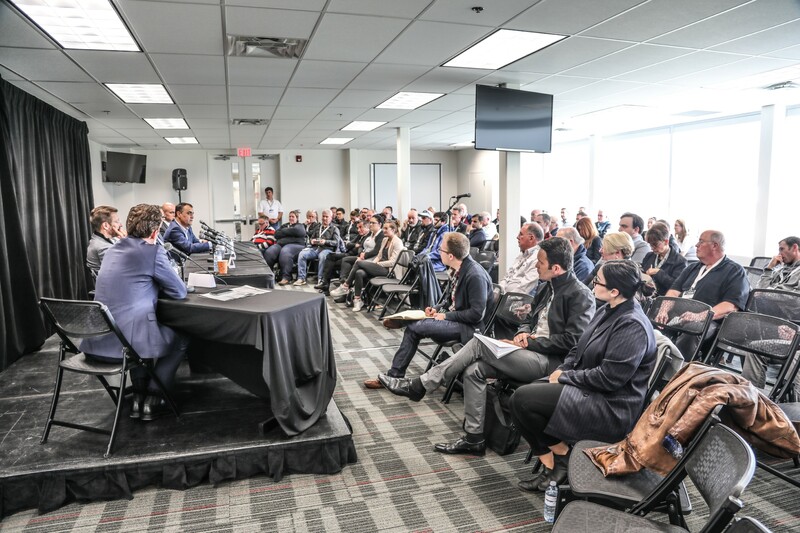 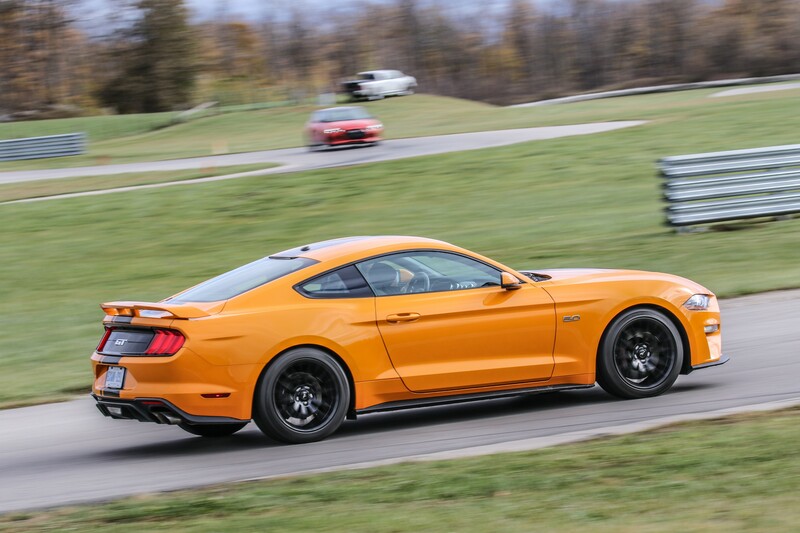 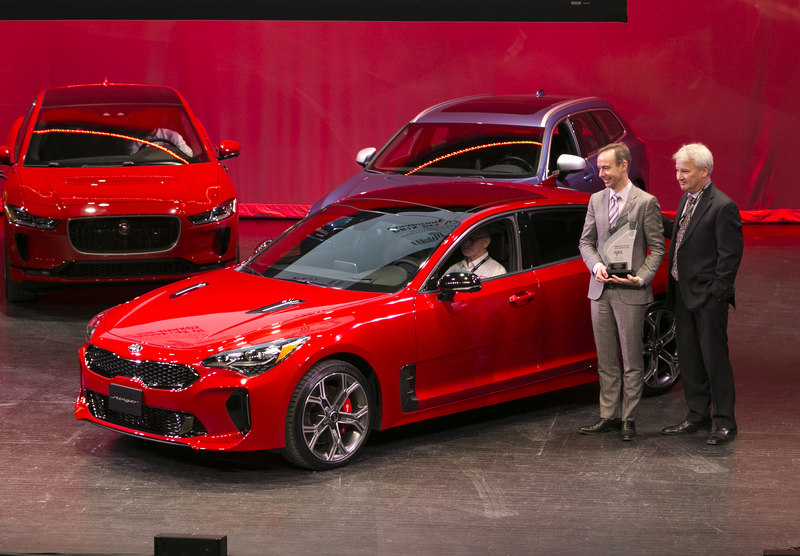 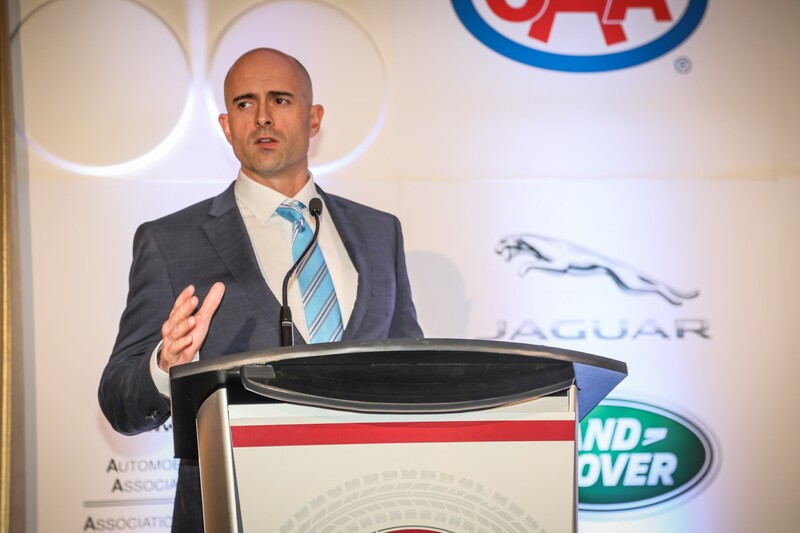 Mark Richardson, President of AJAC, presents the awards for Best Small Car in Canada for 2019, awarded for the Kia Forte, and Best Large Car in Canada for 2019, awarded for the Kia Stinger, to Michael Kopke, Director of Marketing for Kia Canada. 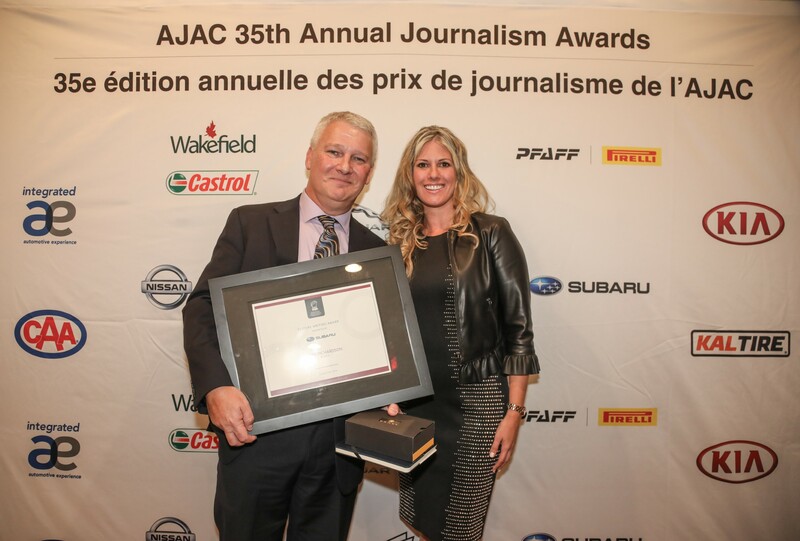 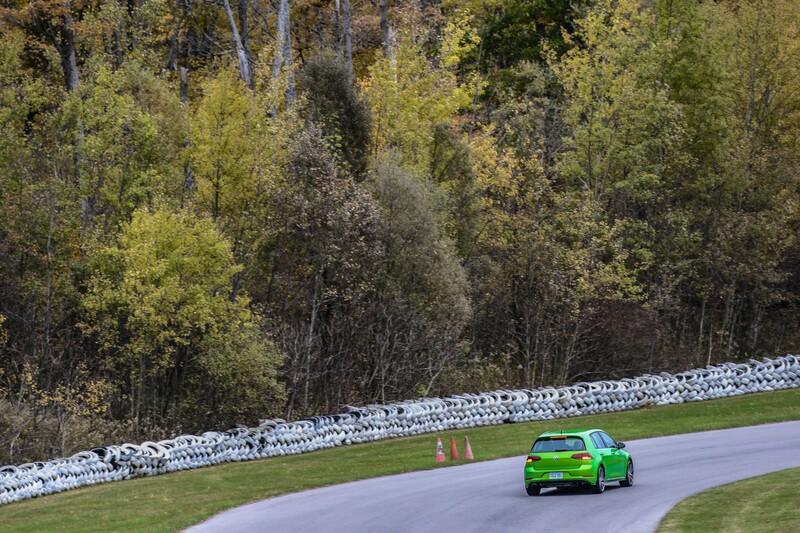 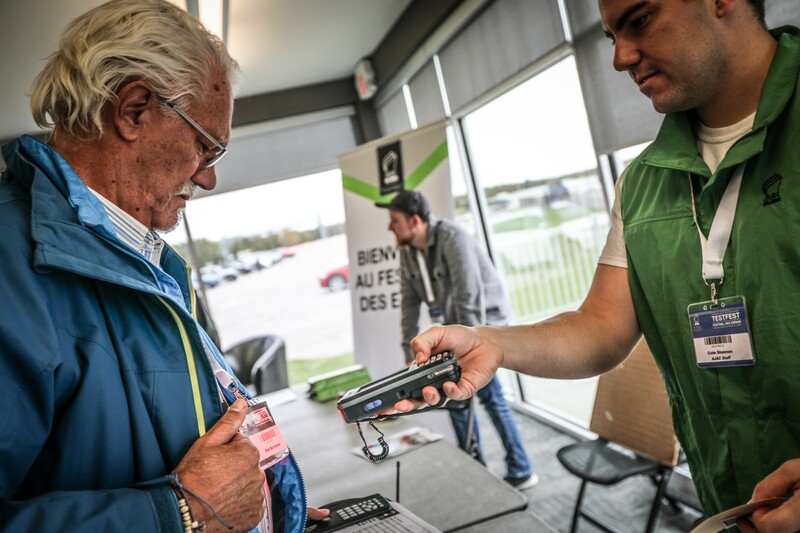 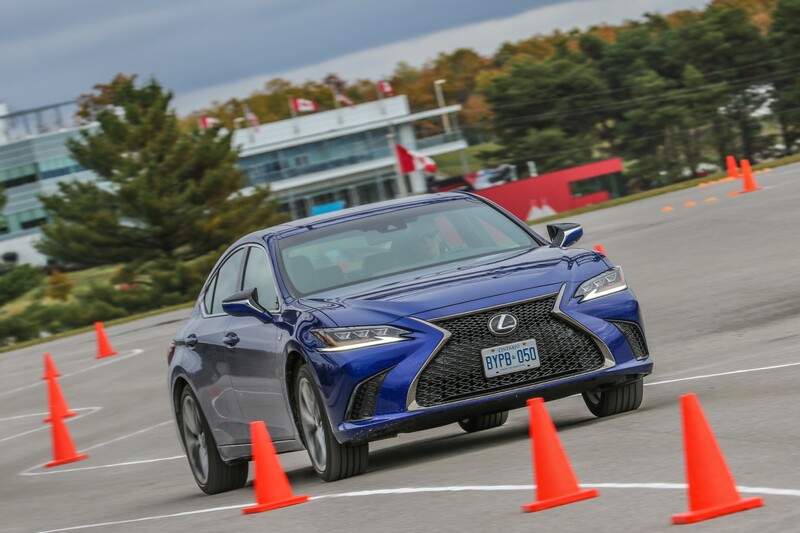 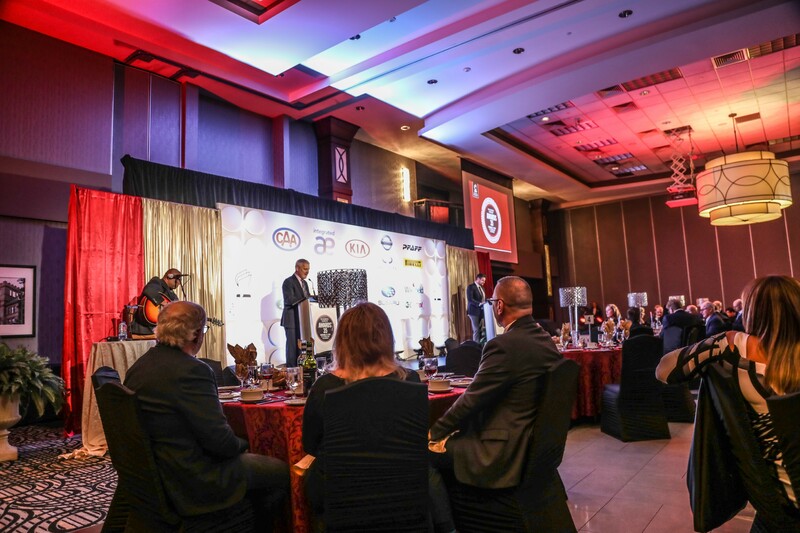 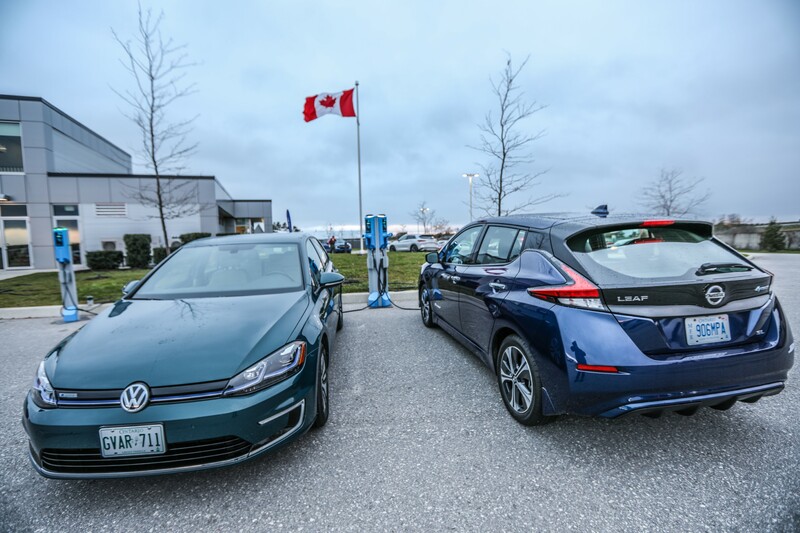 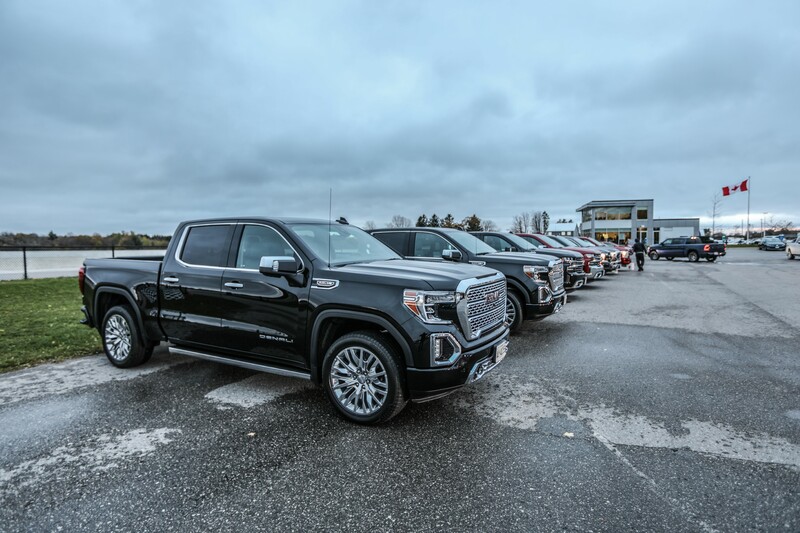 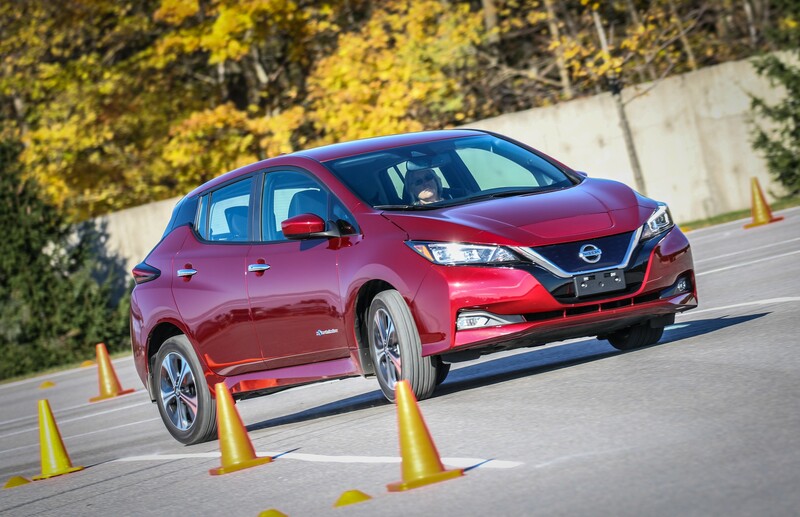 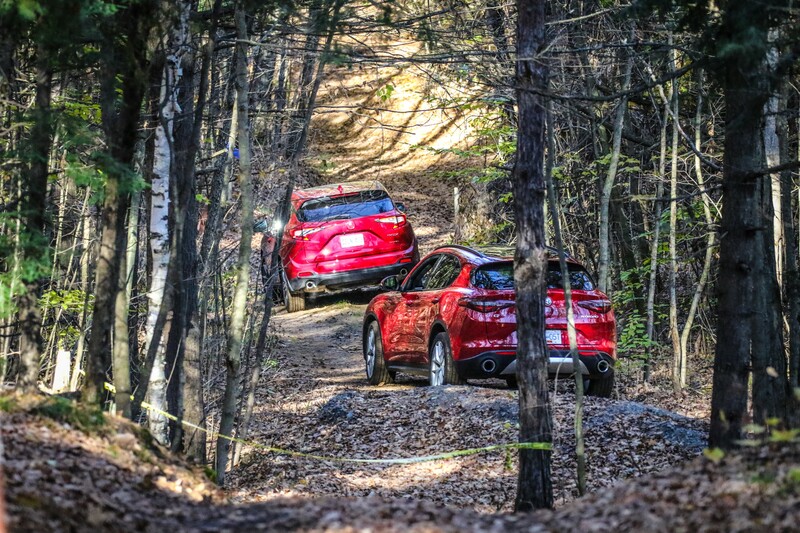 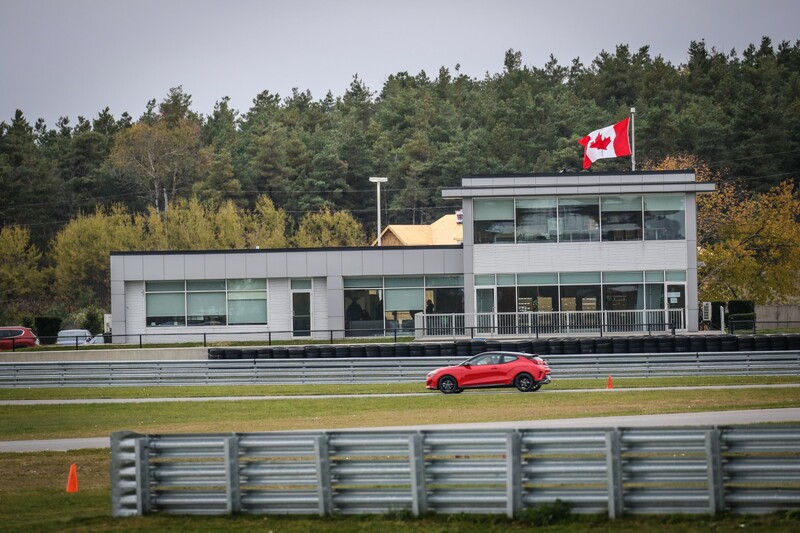 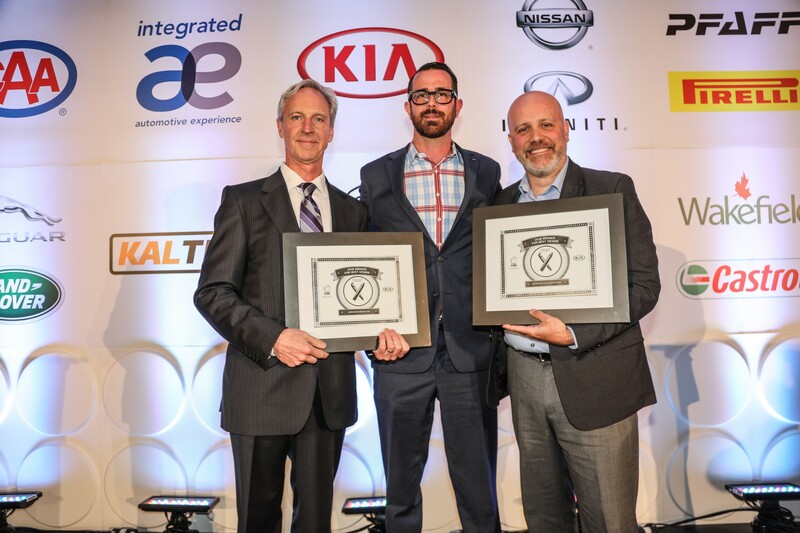 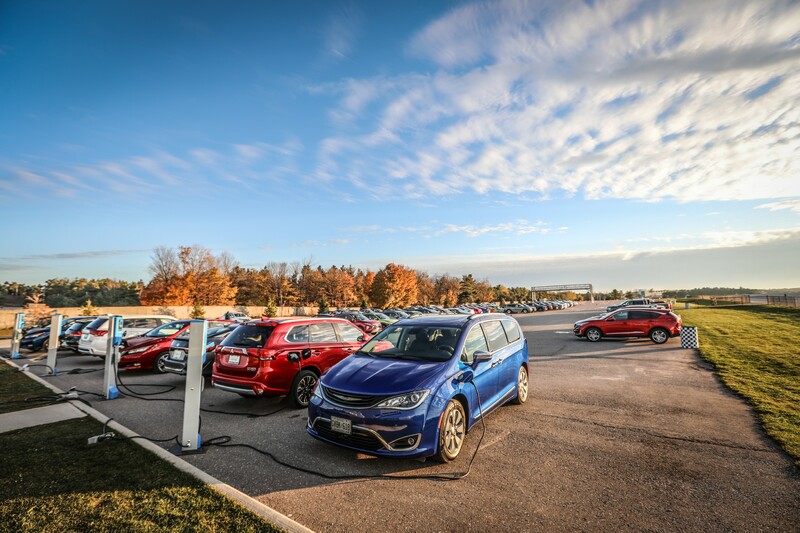 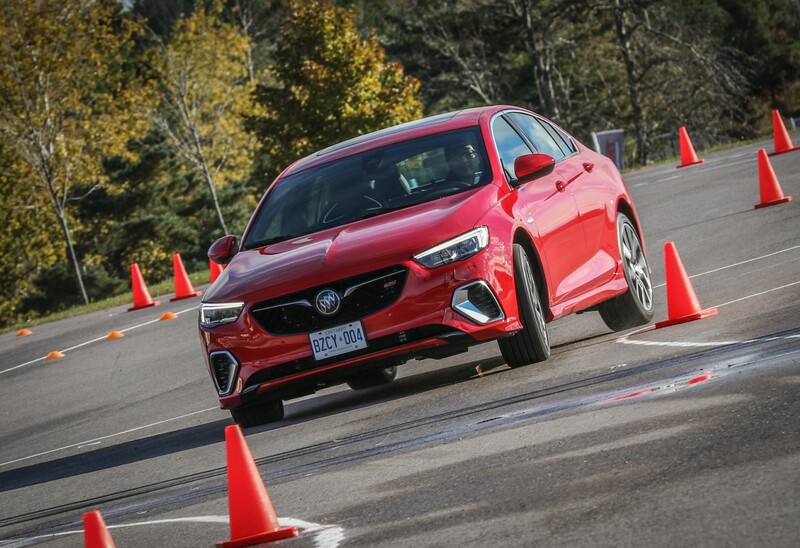 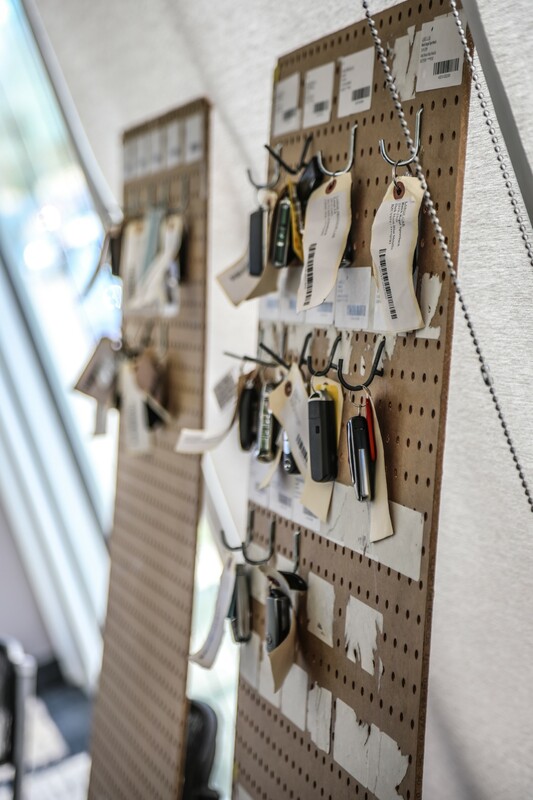 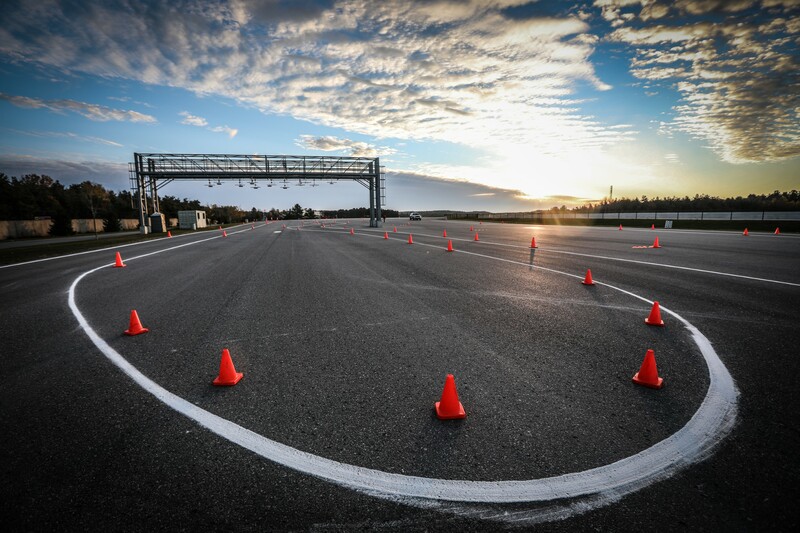 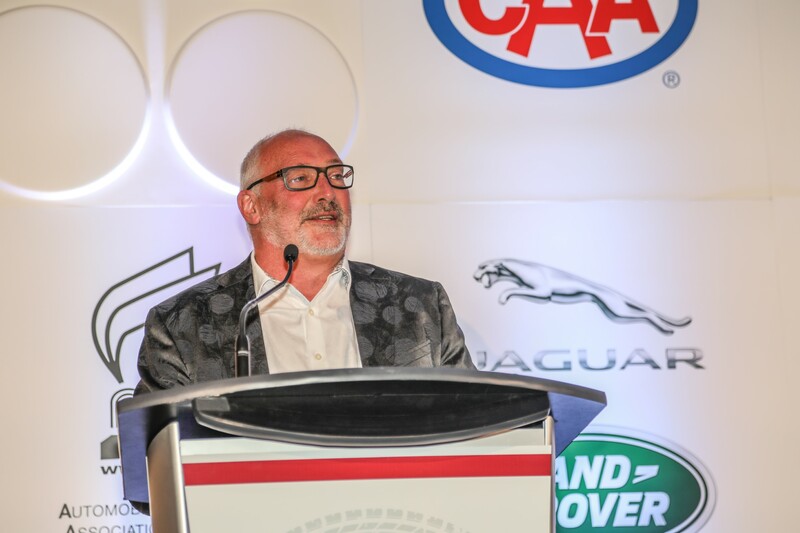 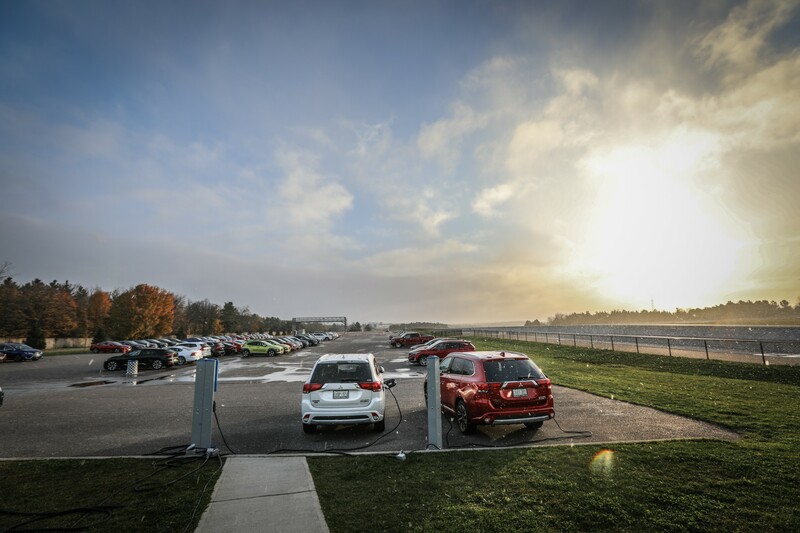 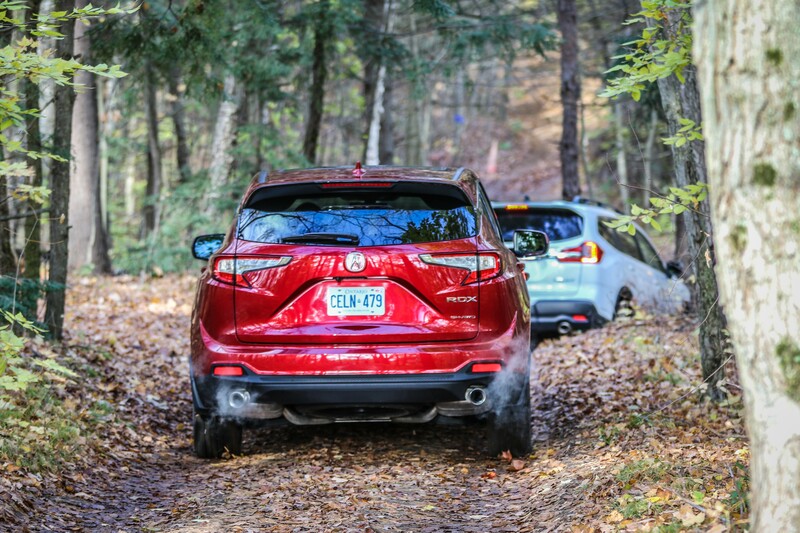 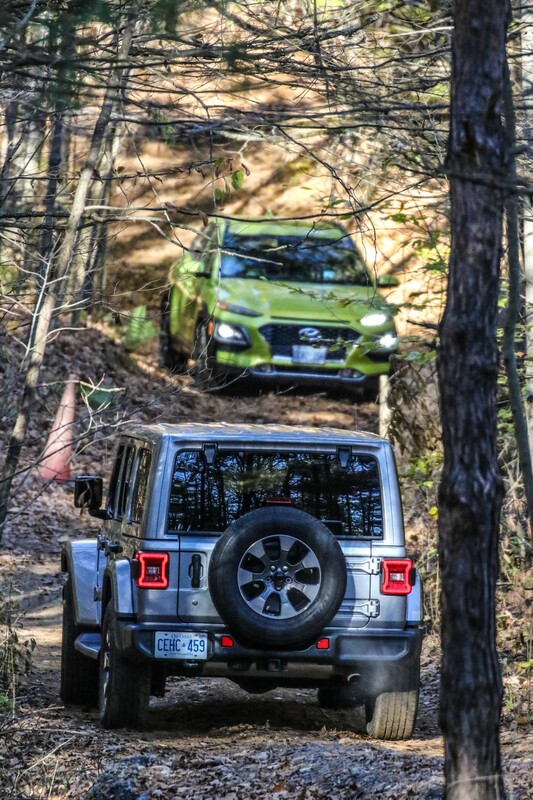 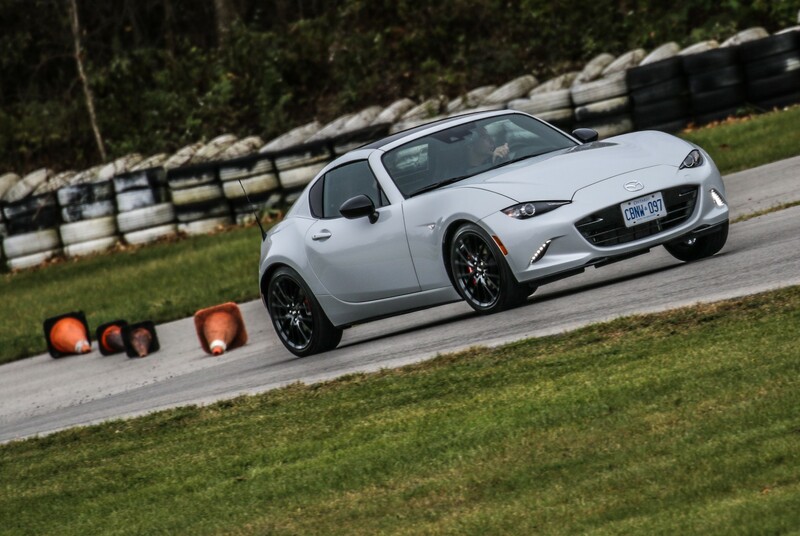 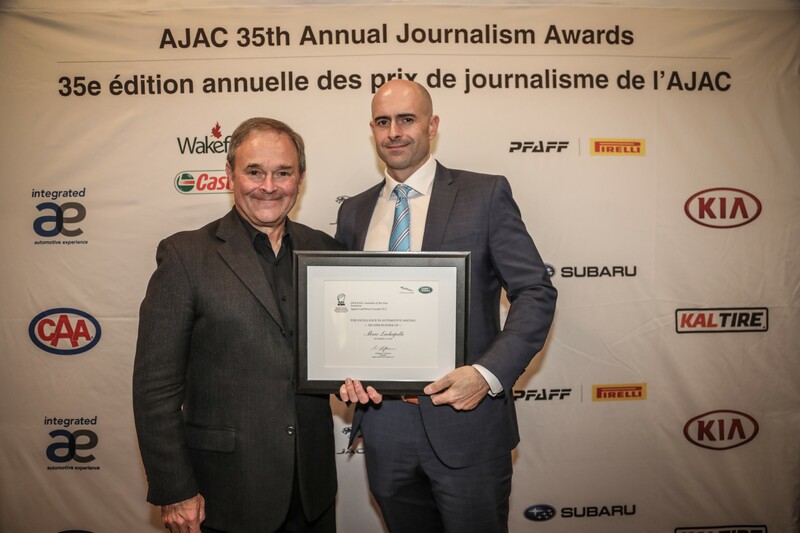 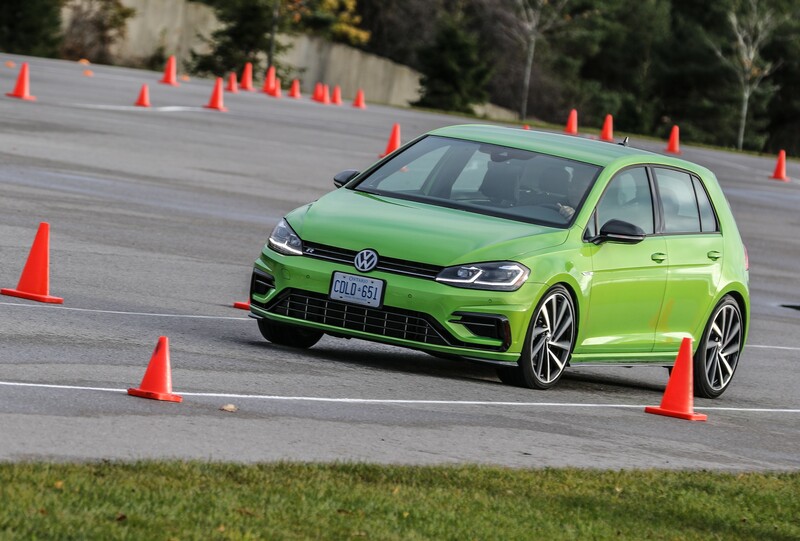 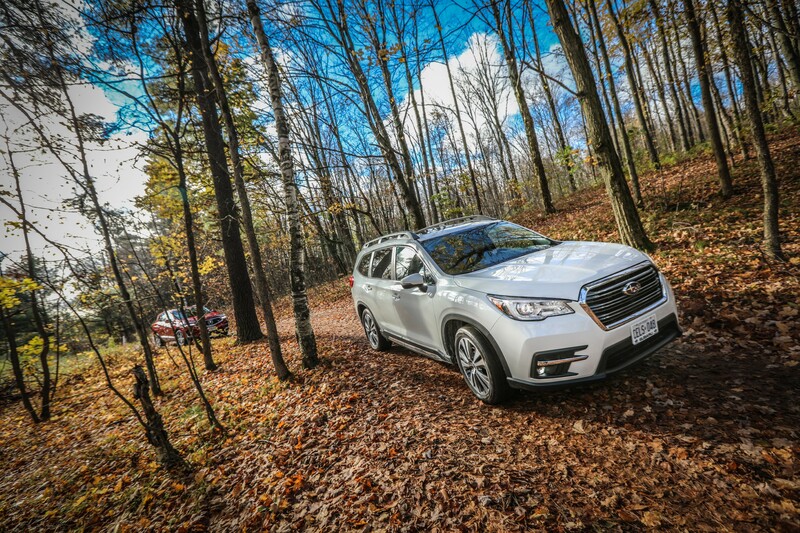 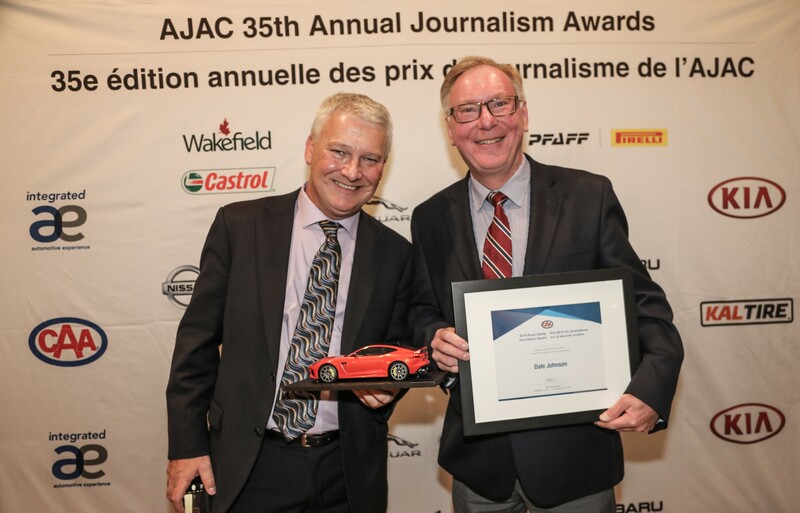 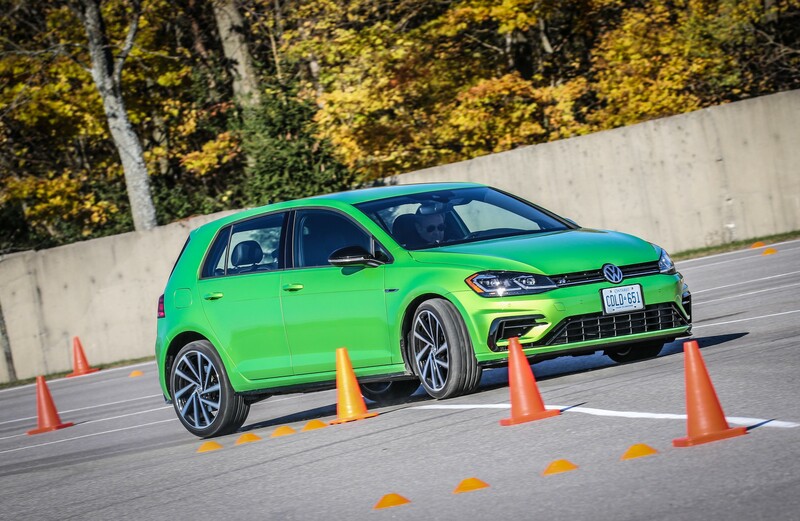 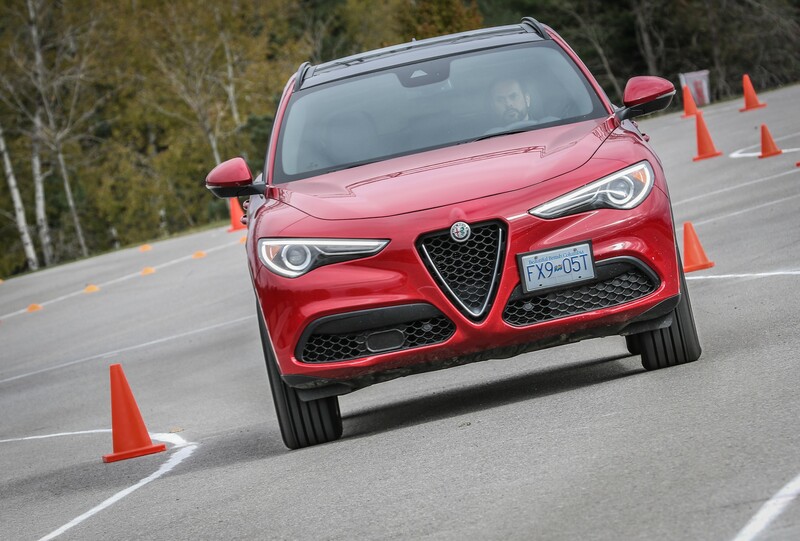 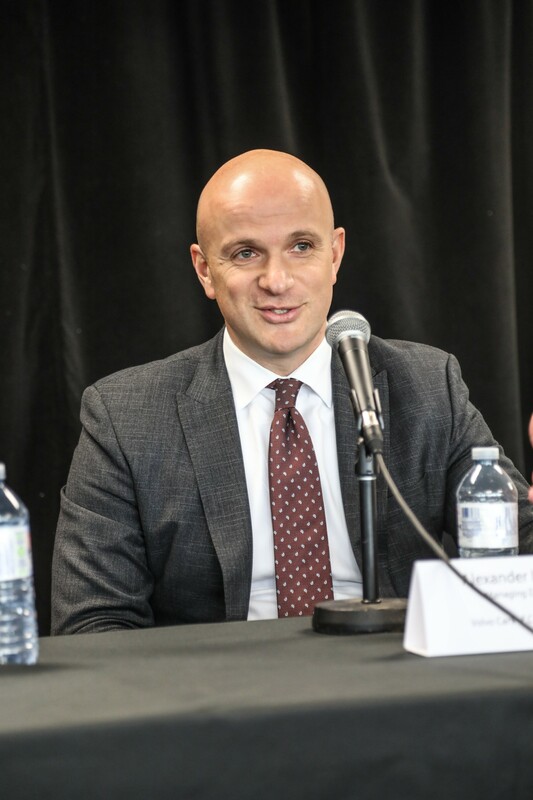 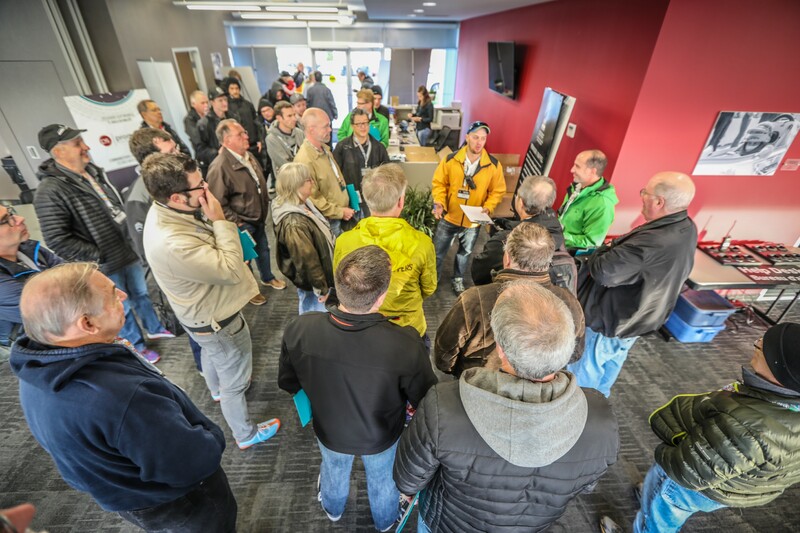 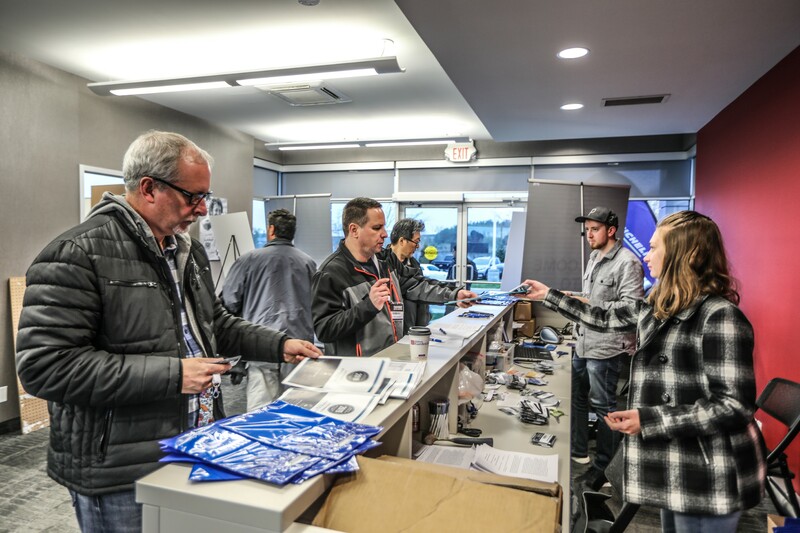 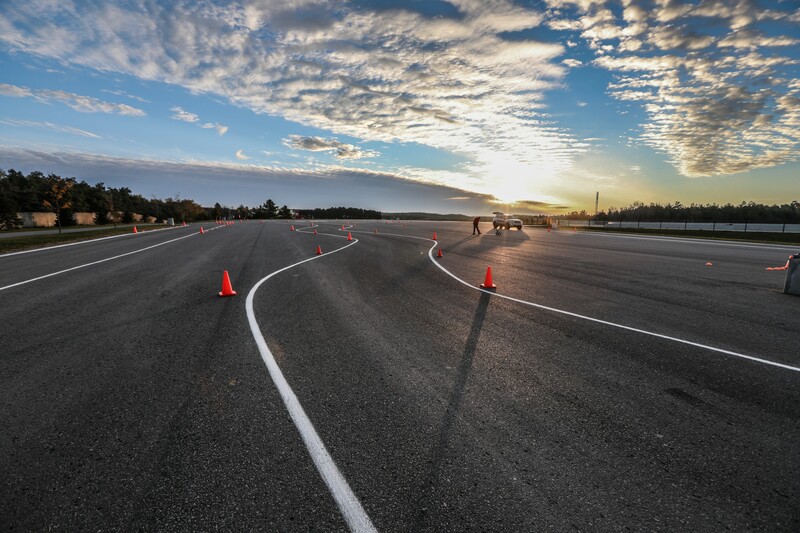 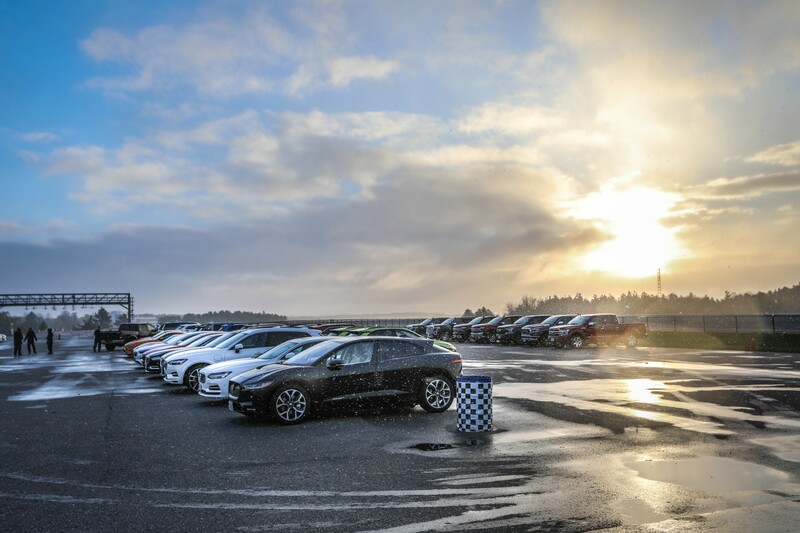 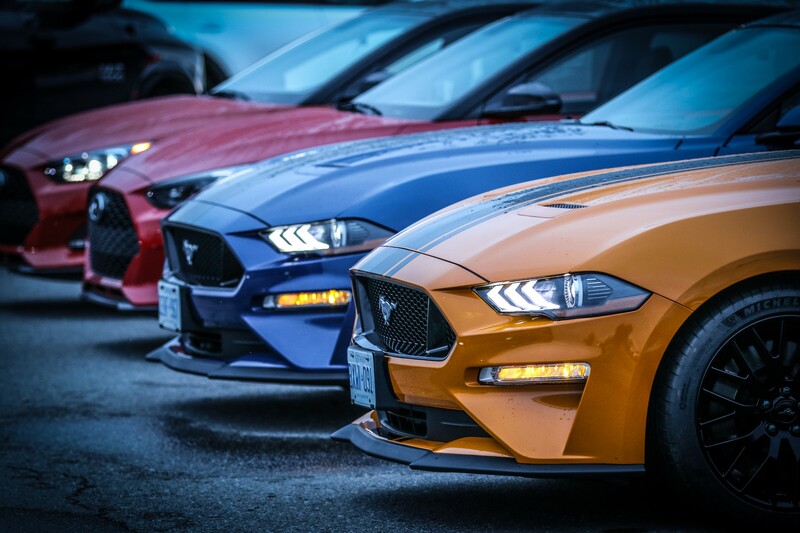 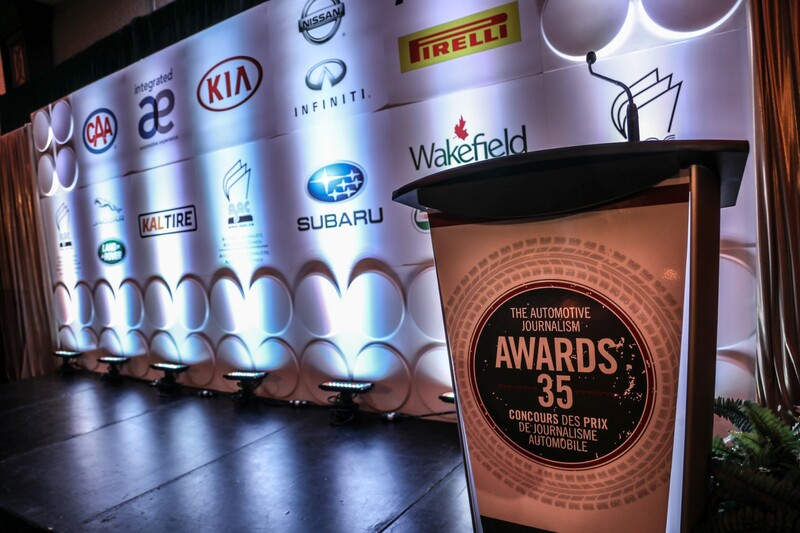 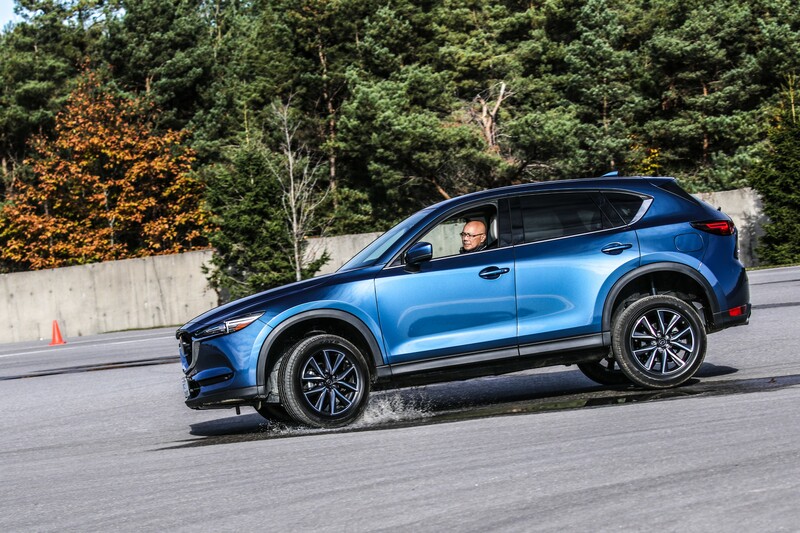 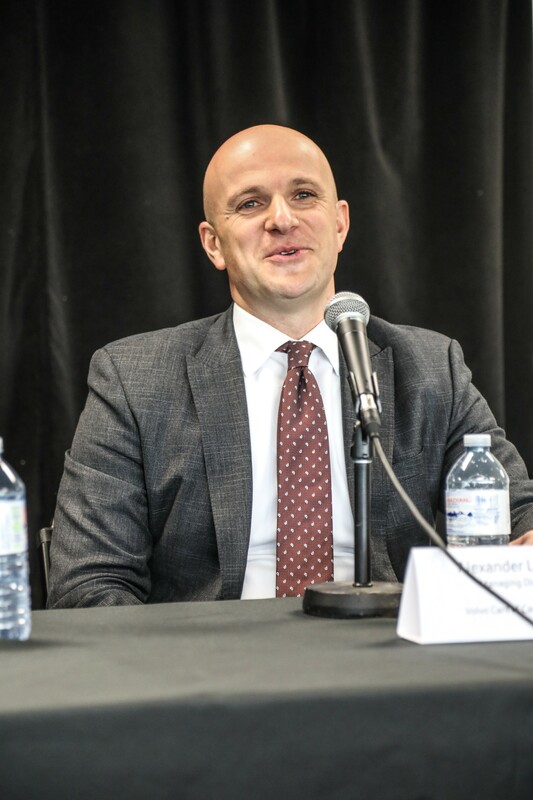 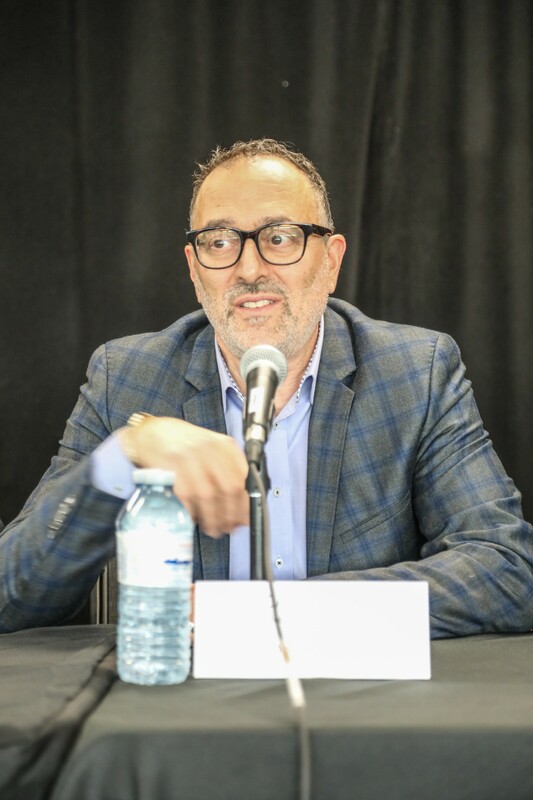 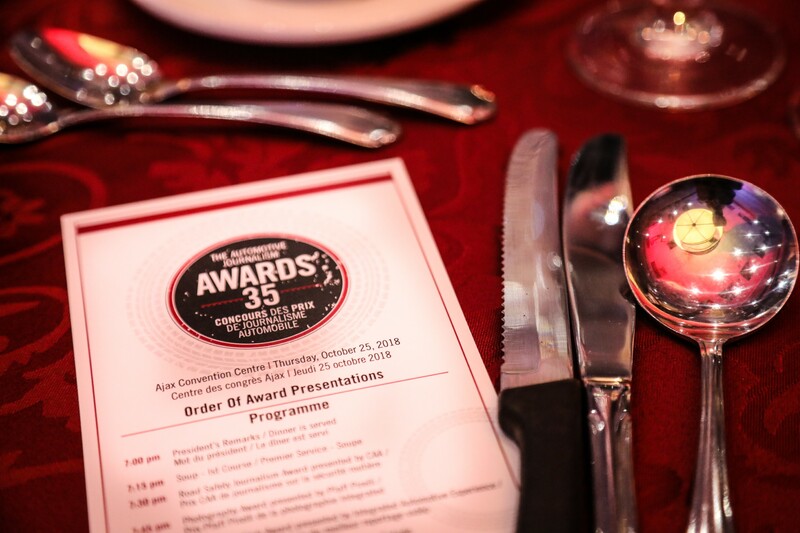 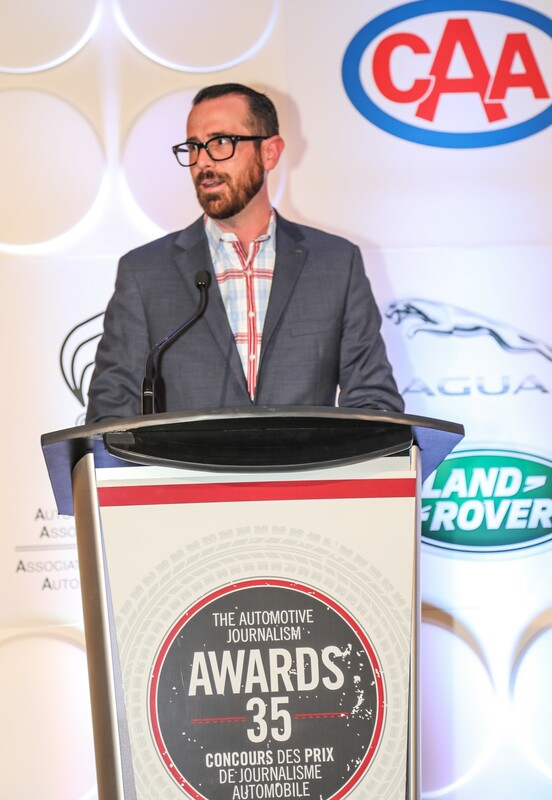 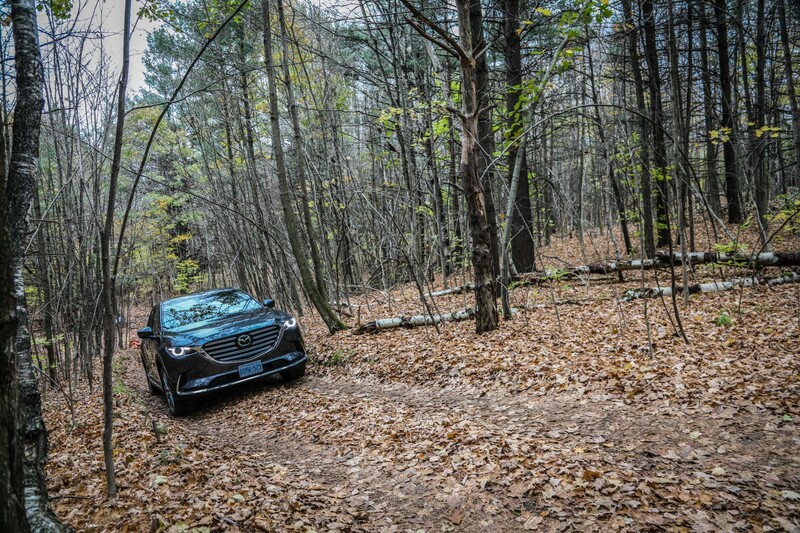 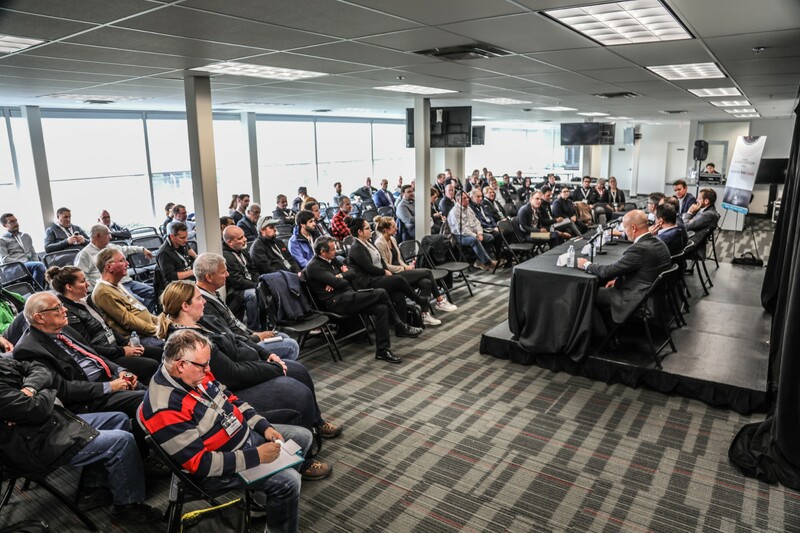 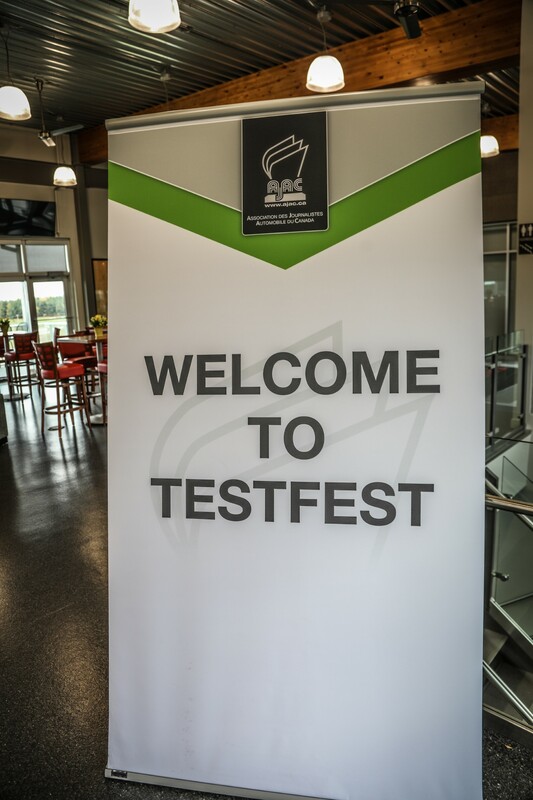 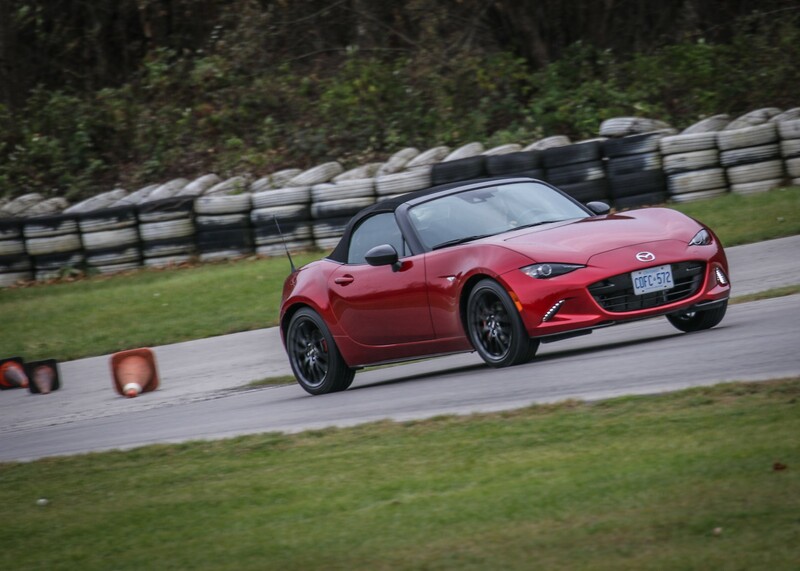 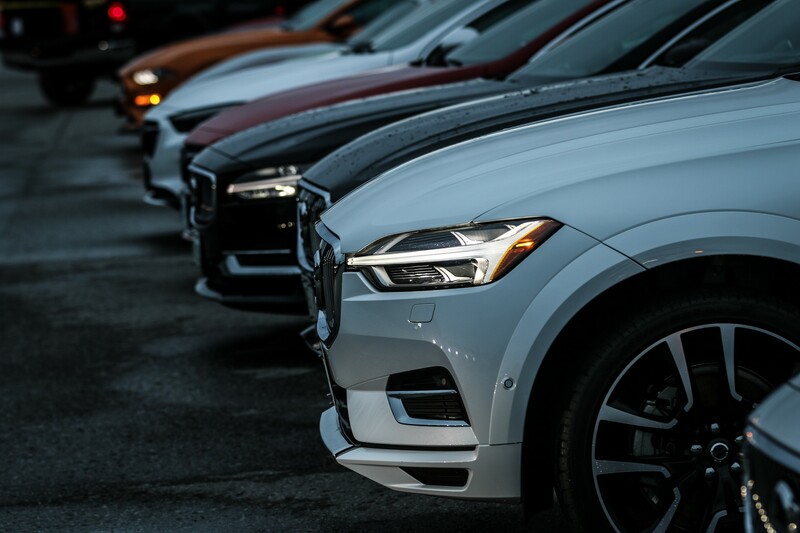 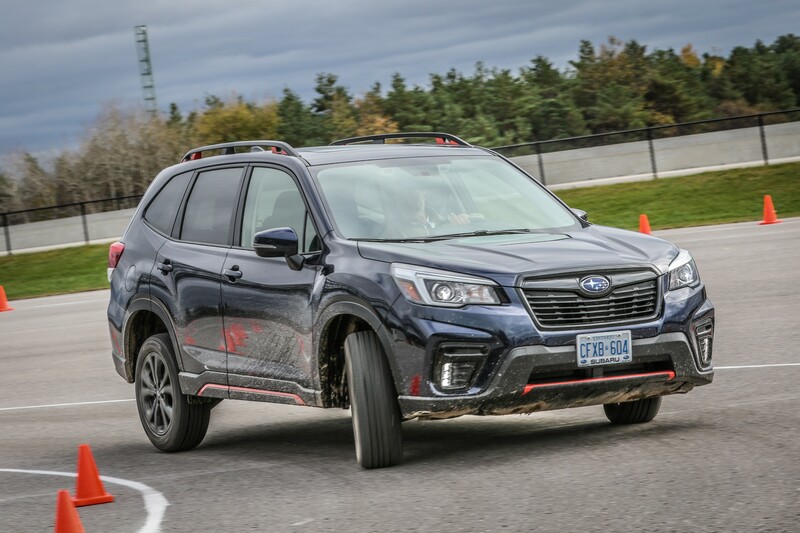 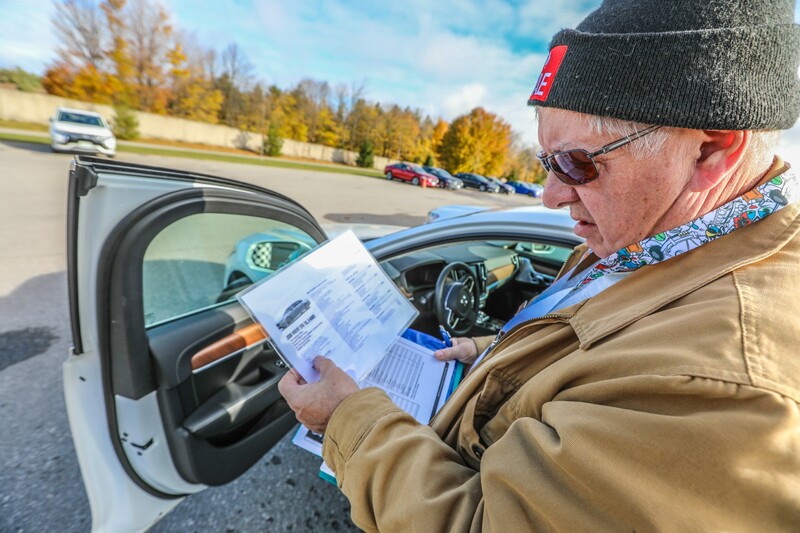 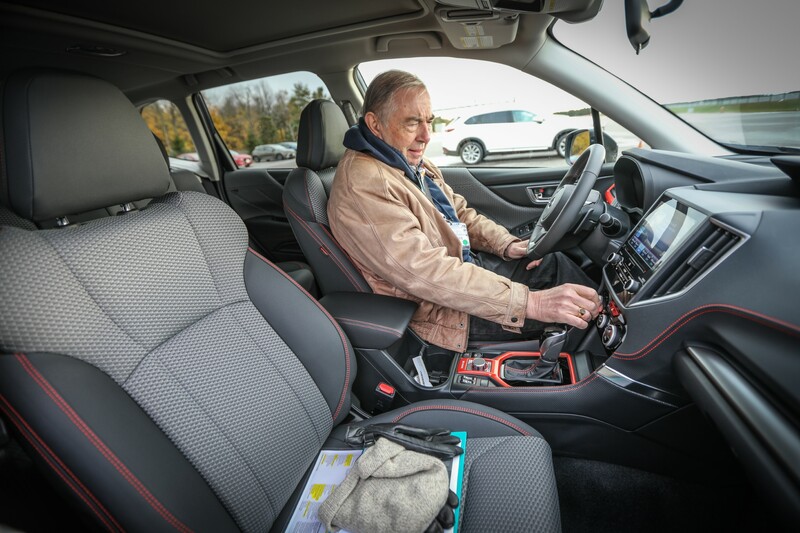 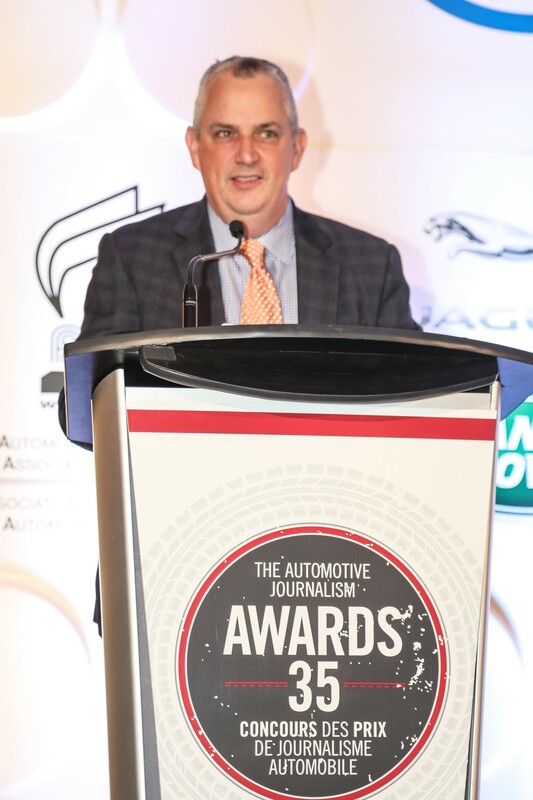 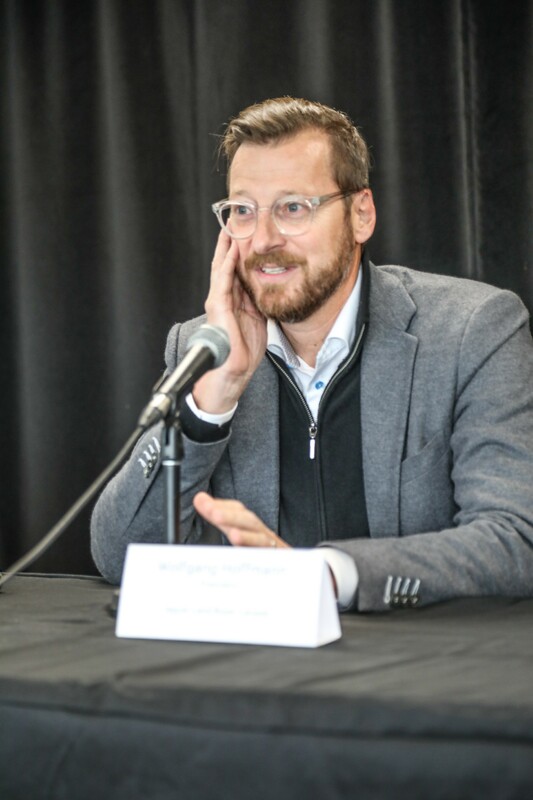 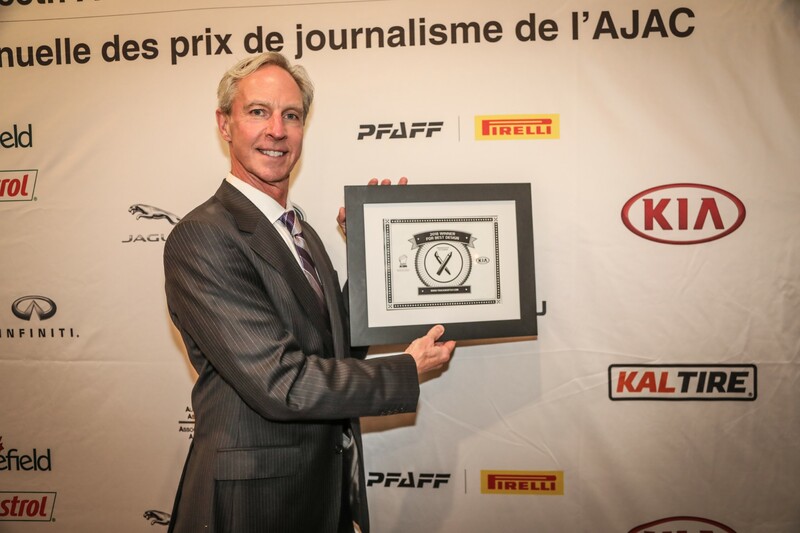 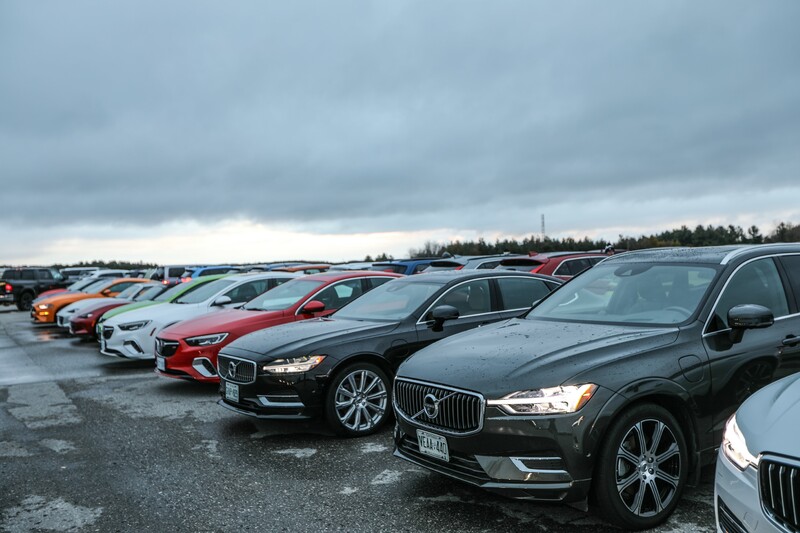 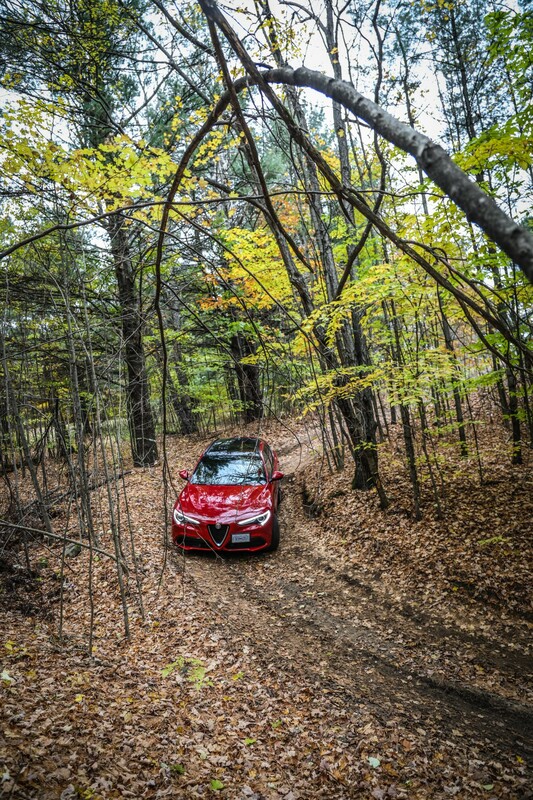 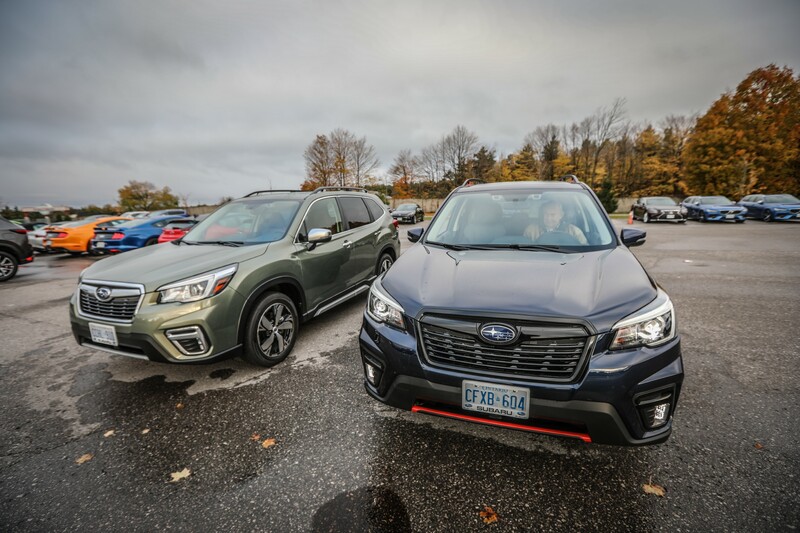 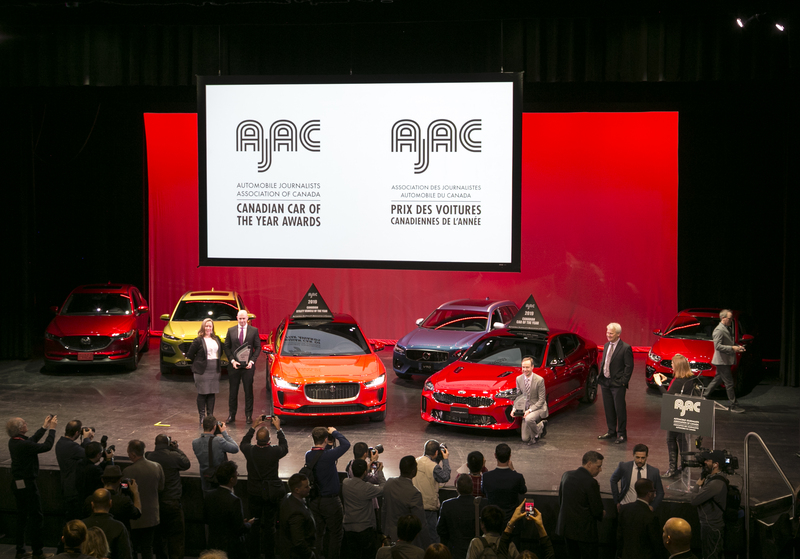 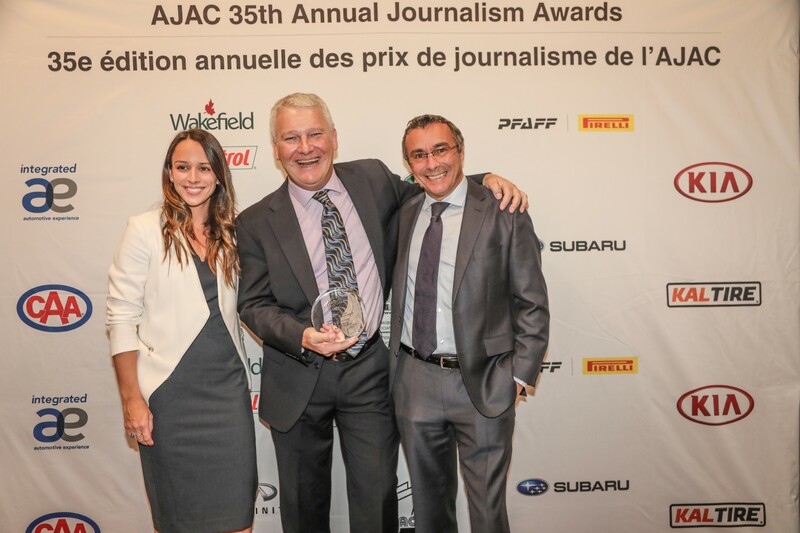 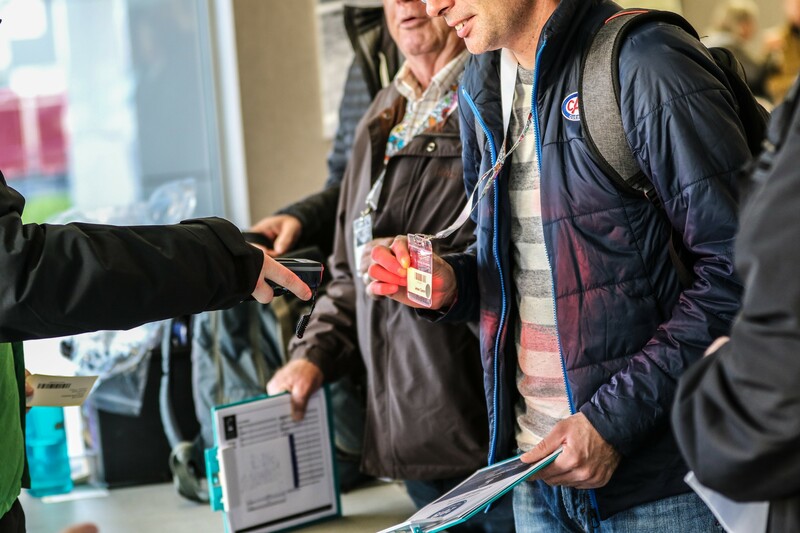 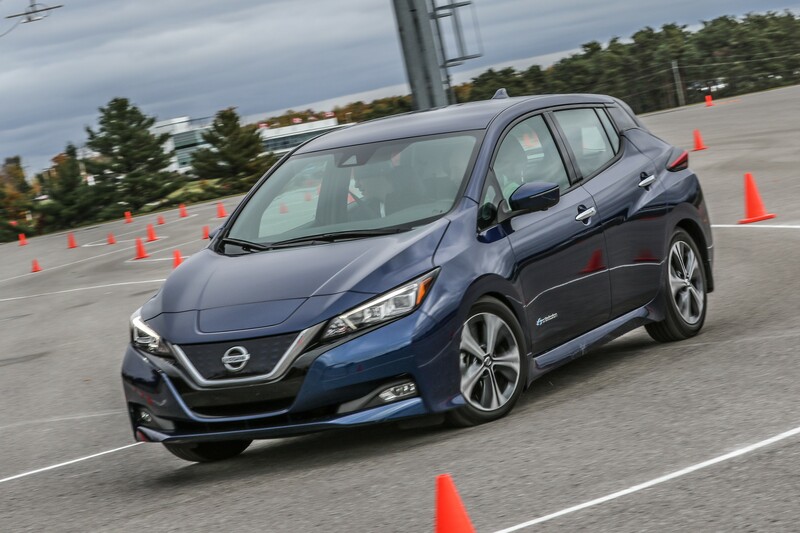 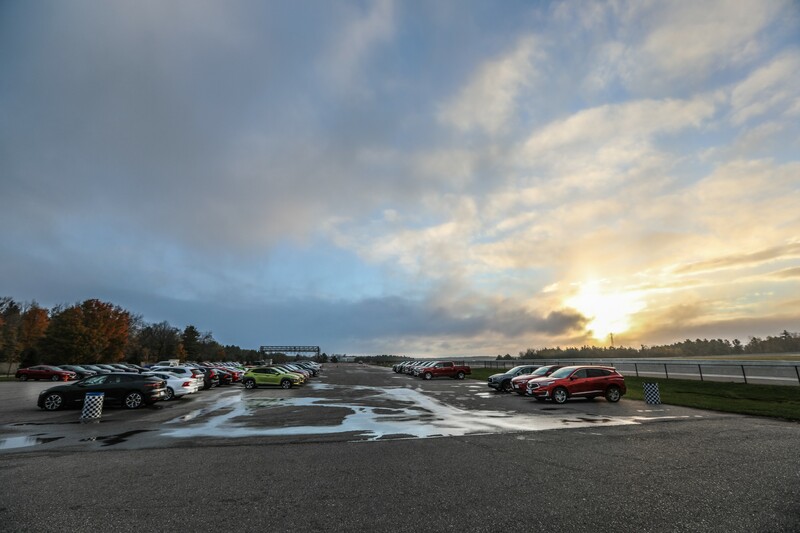 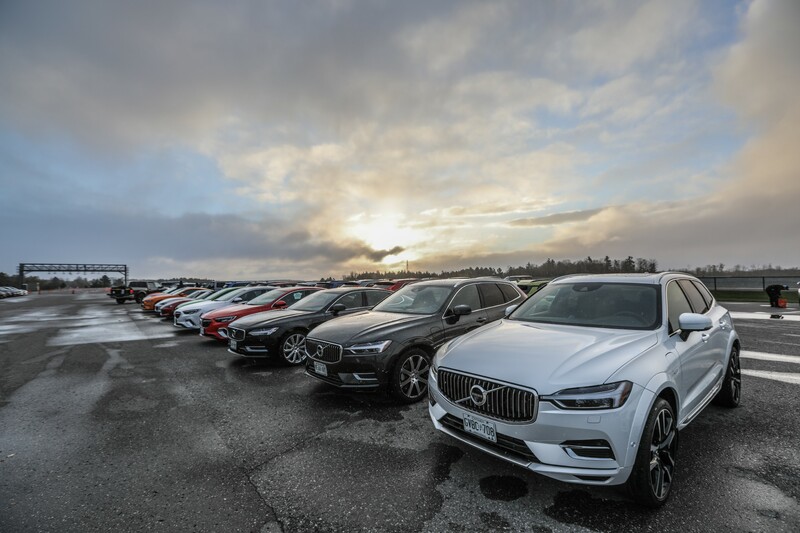 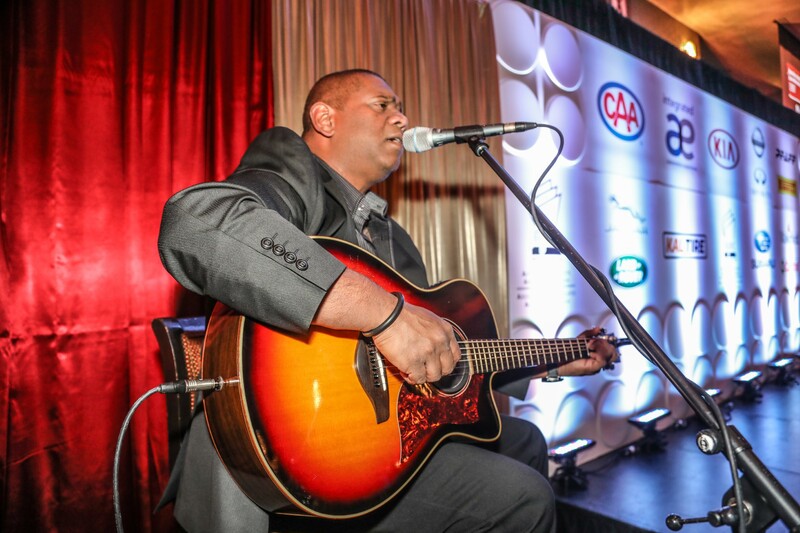 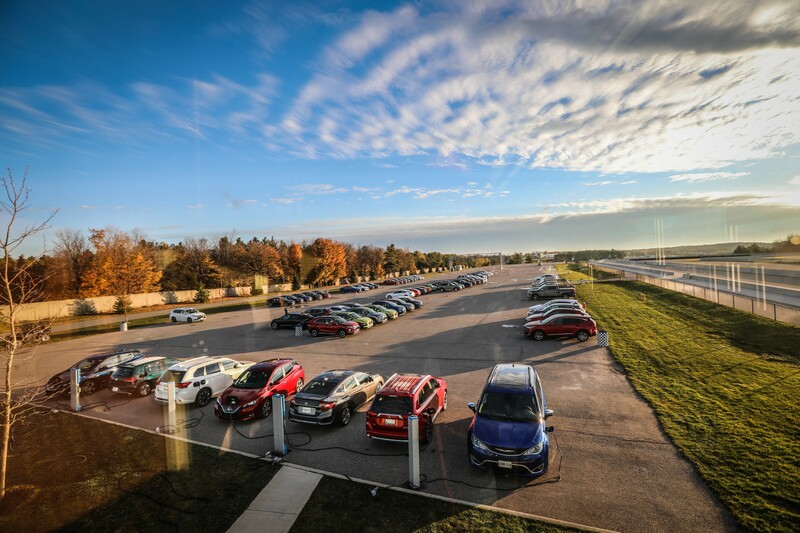 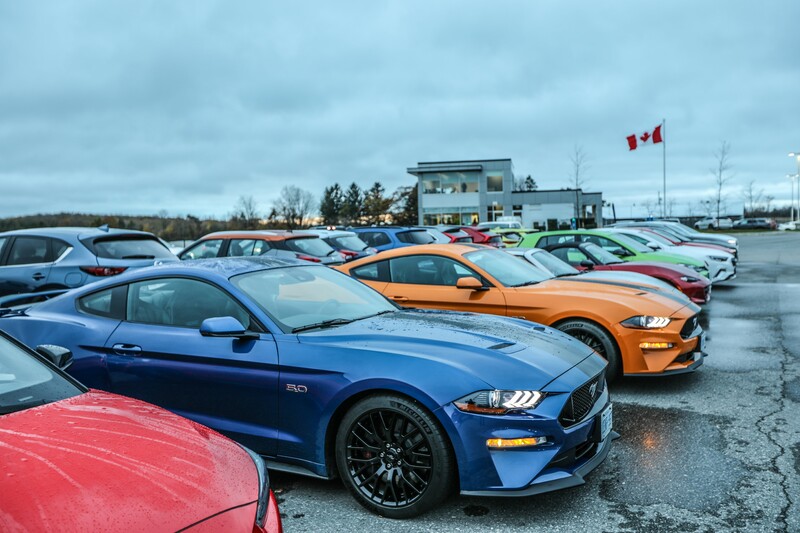 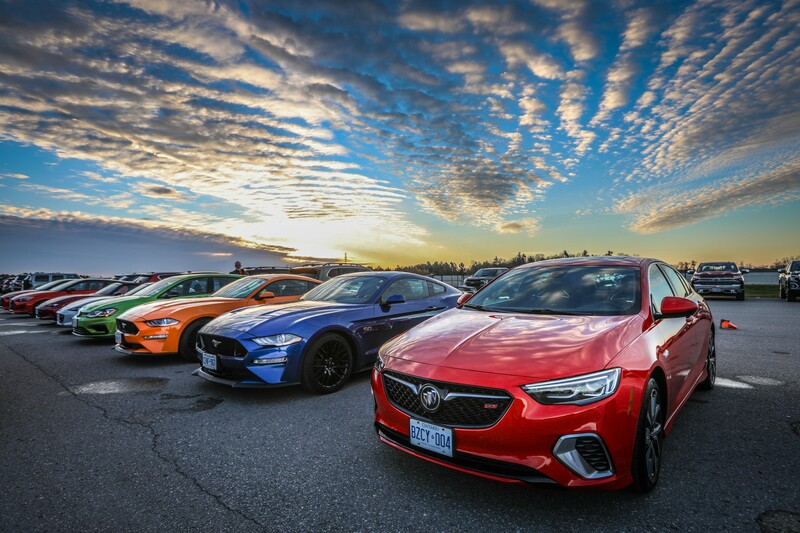 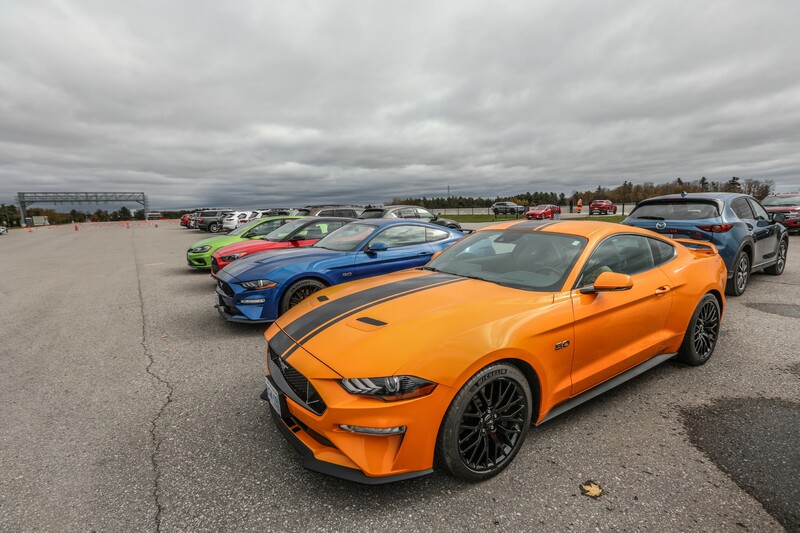 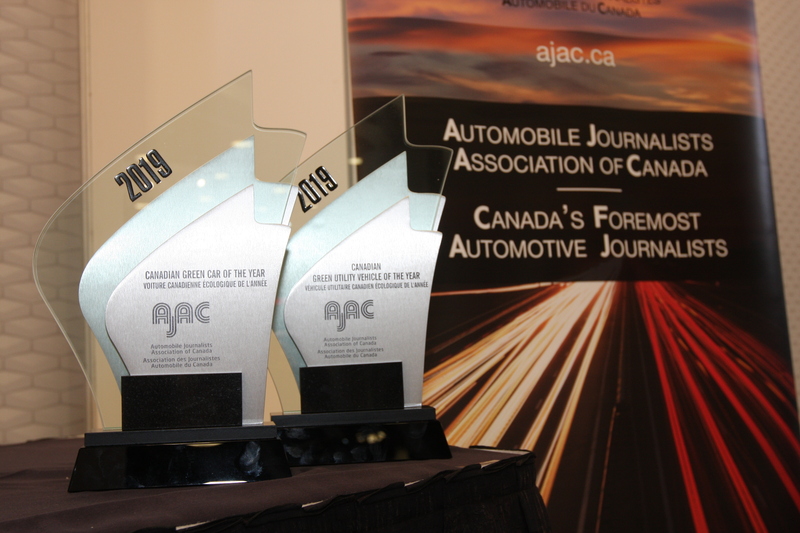 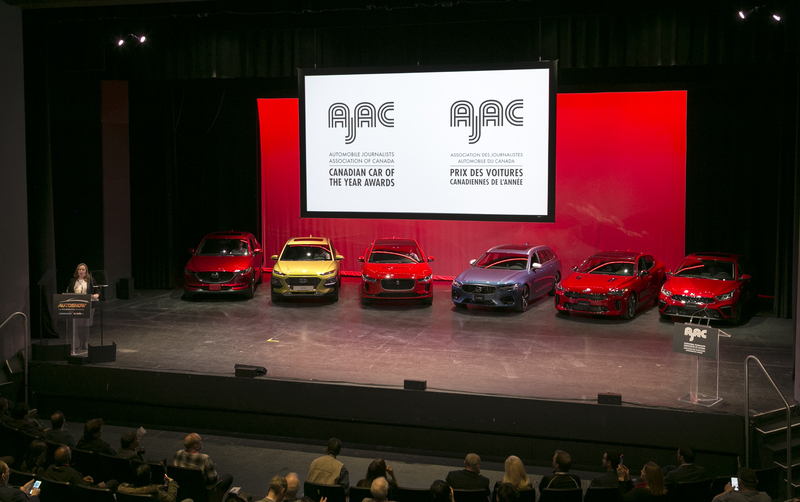 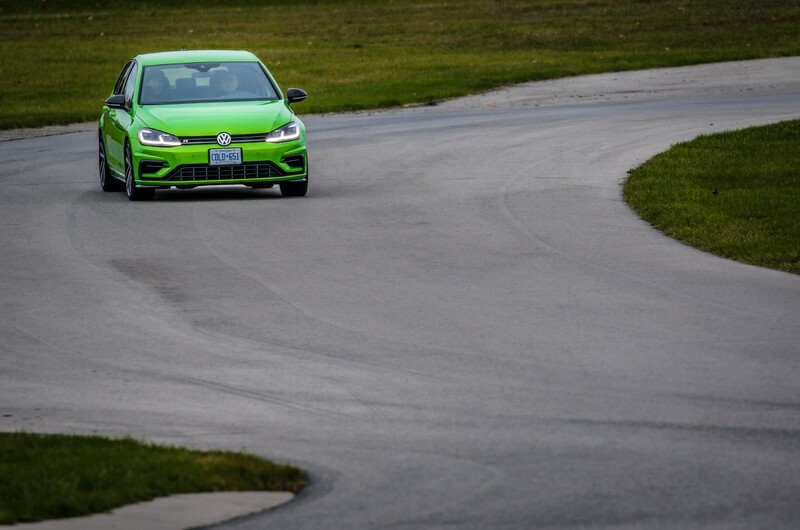 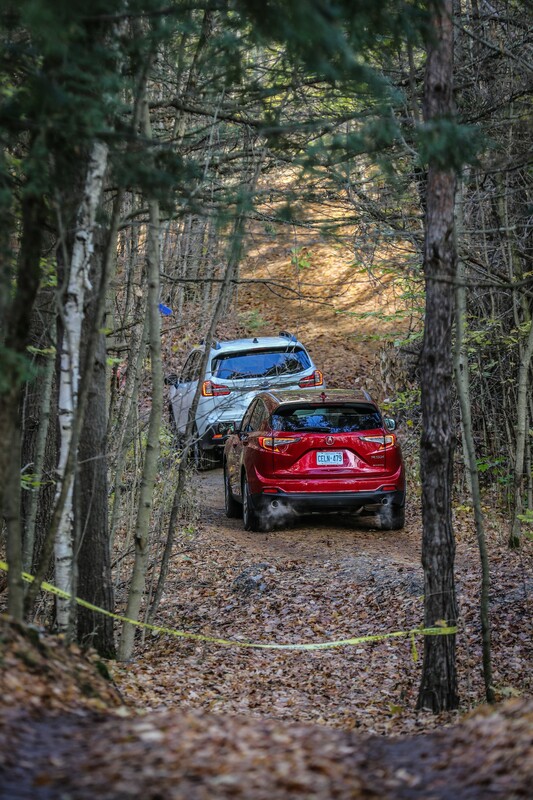 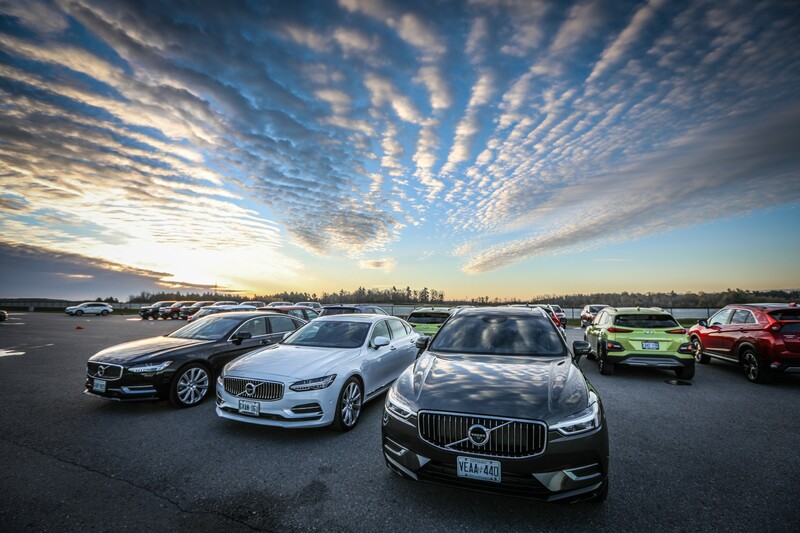 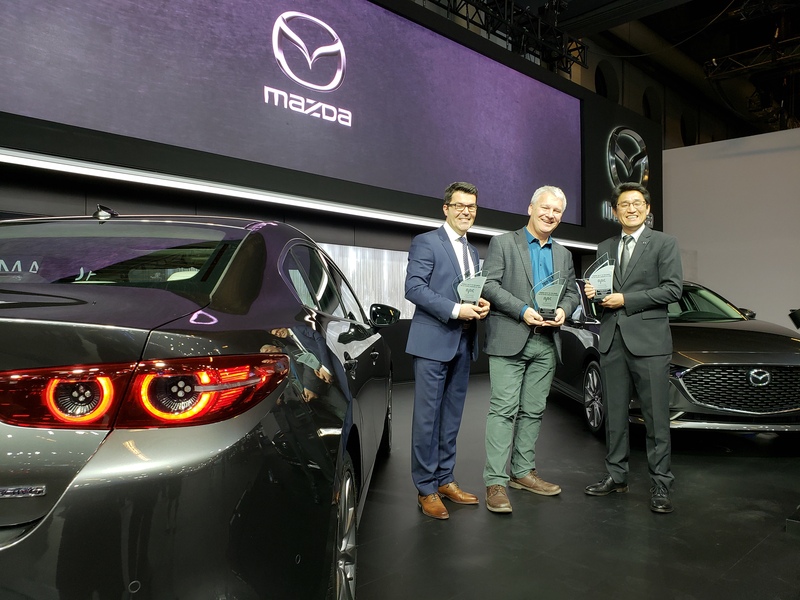 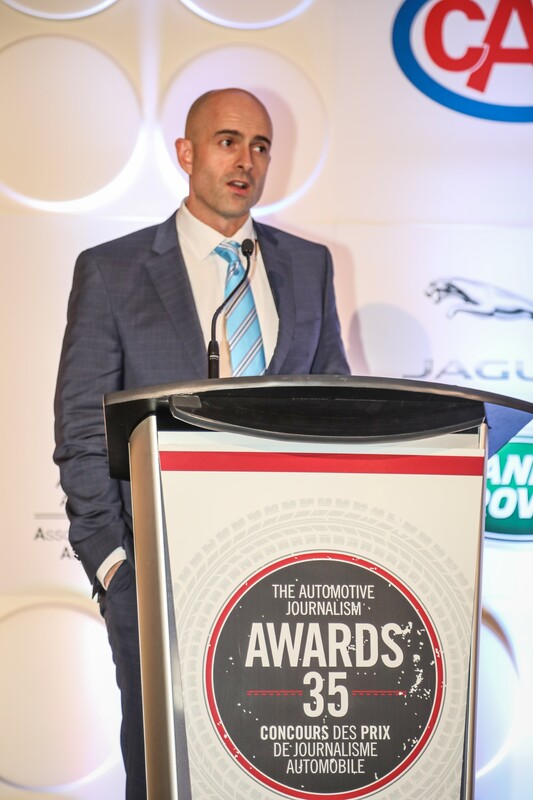 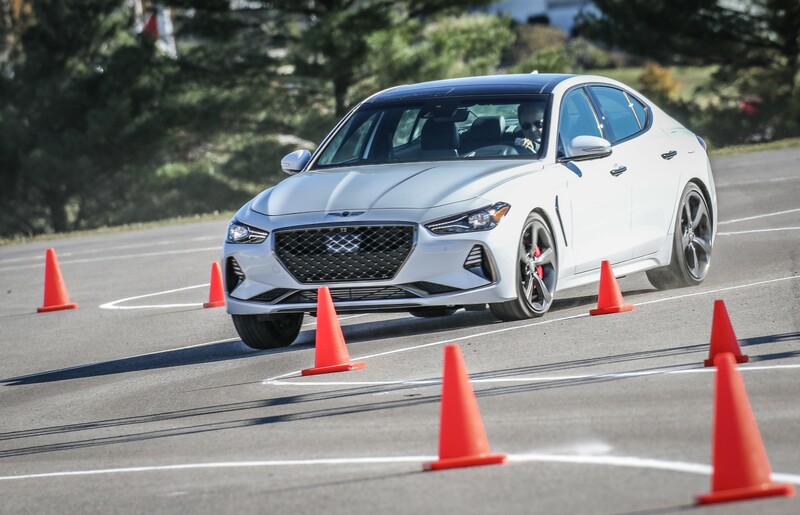 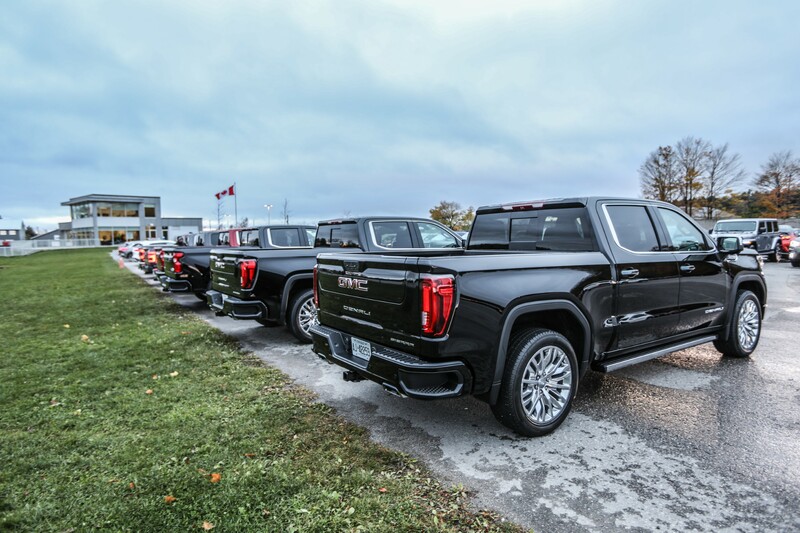 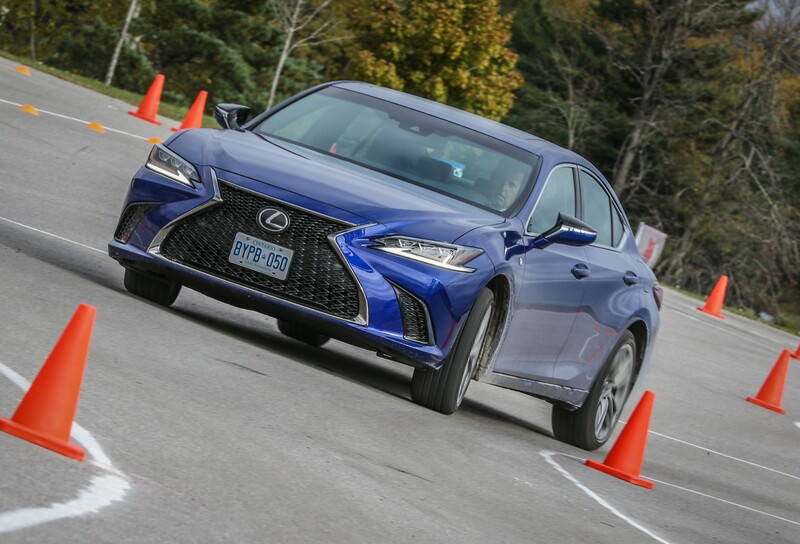 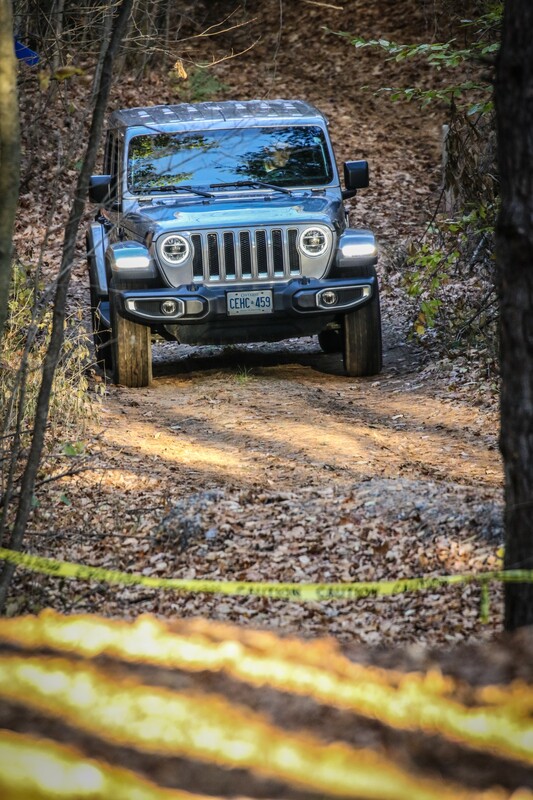 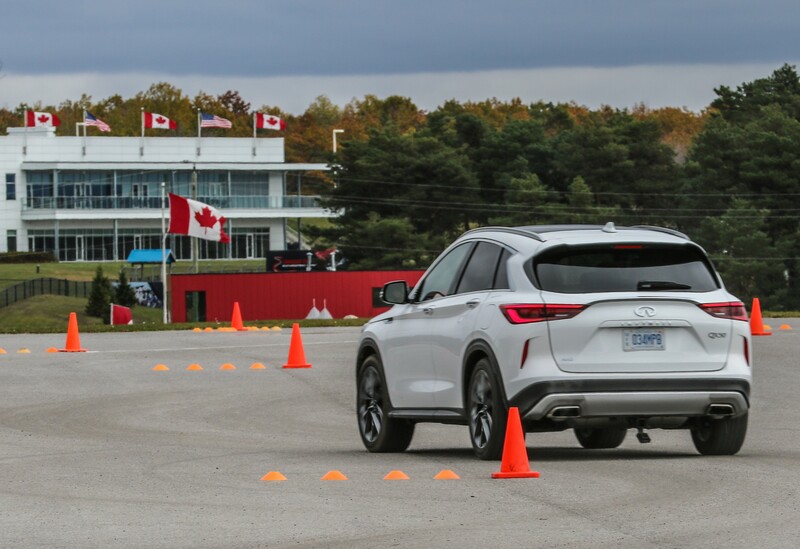 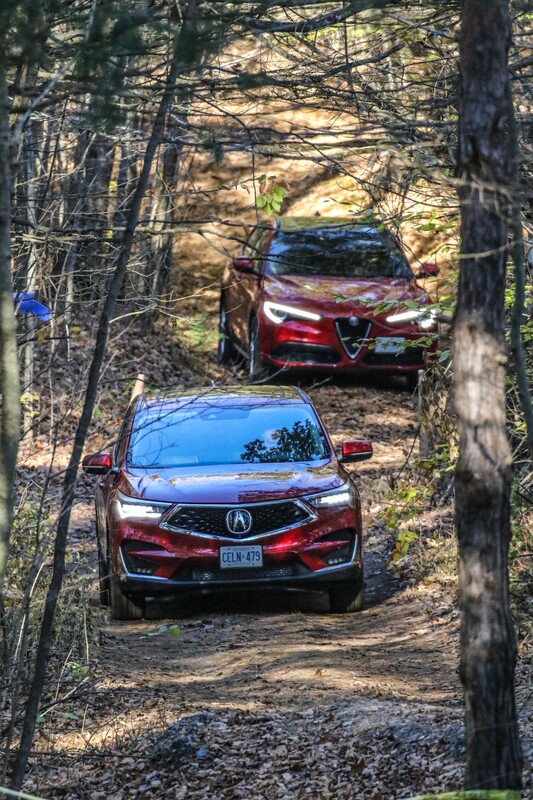 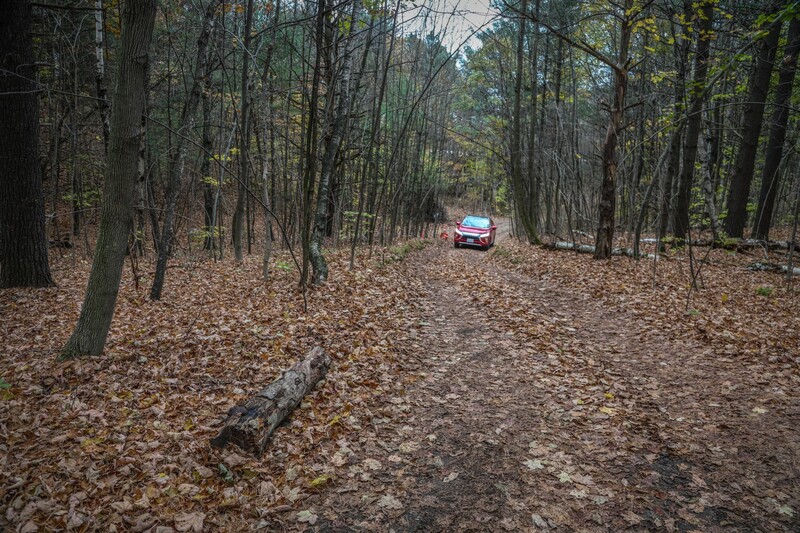 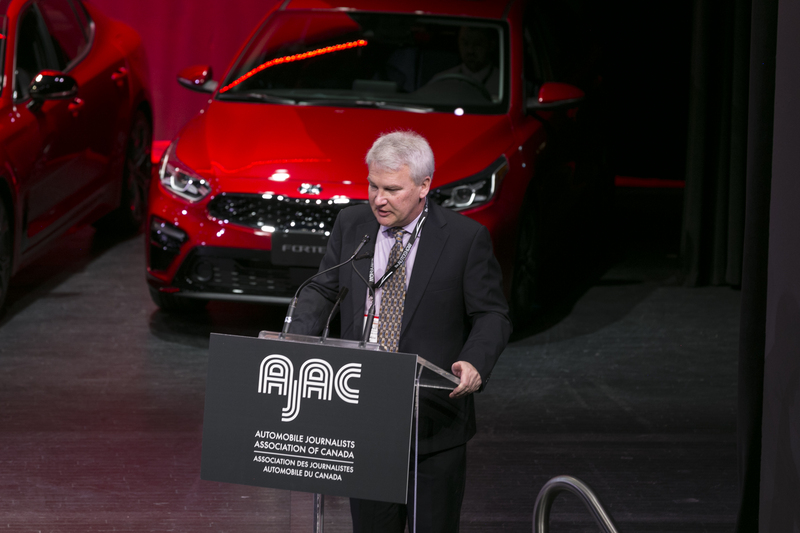 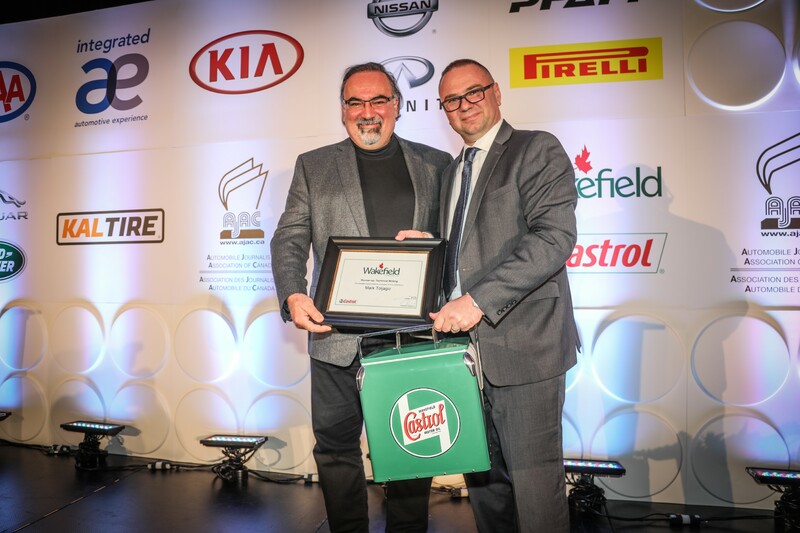 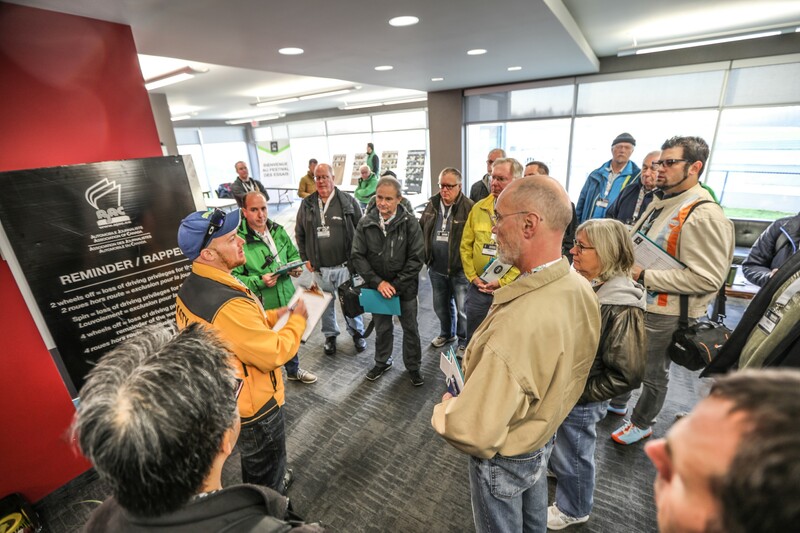 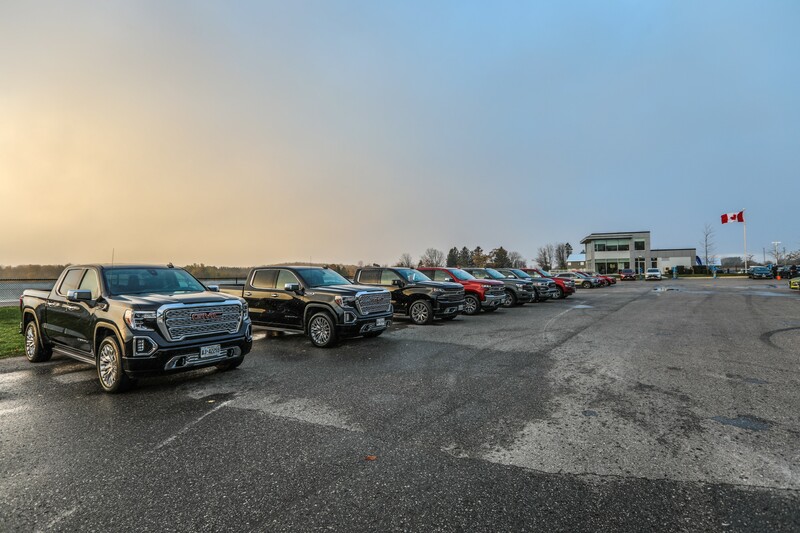 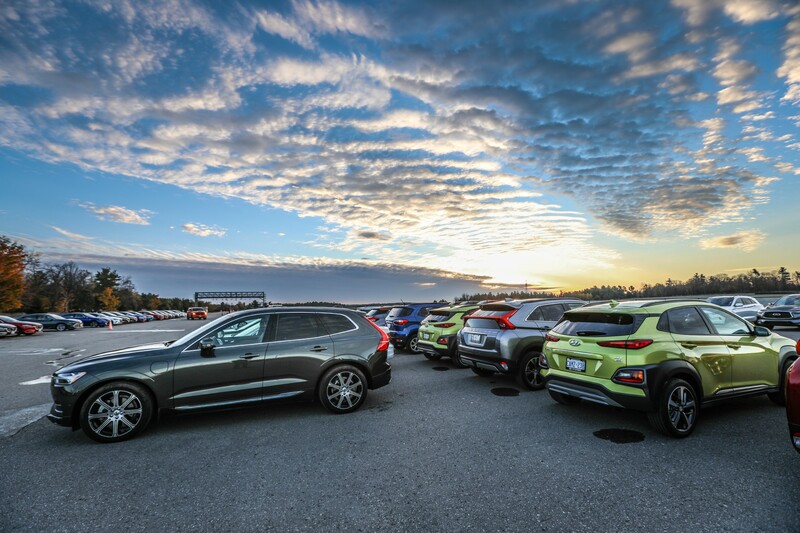 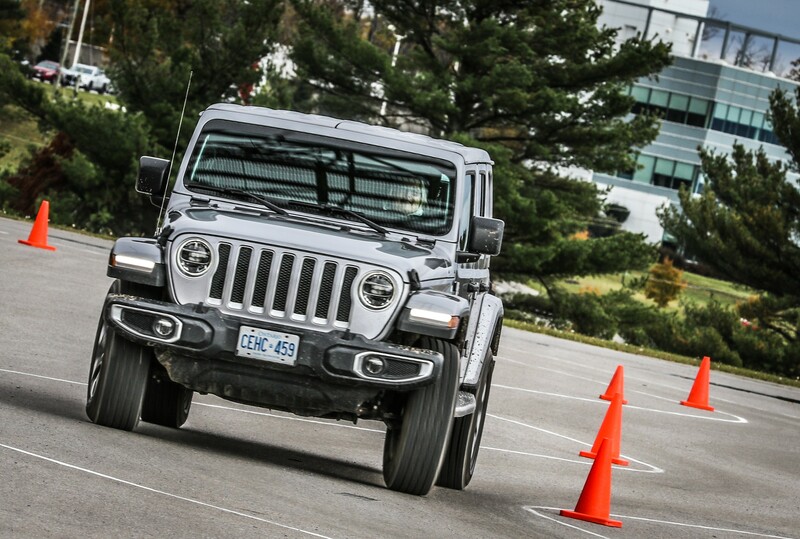 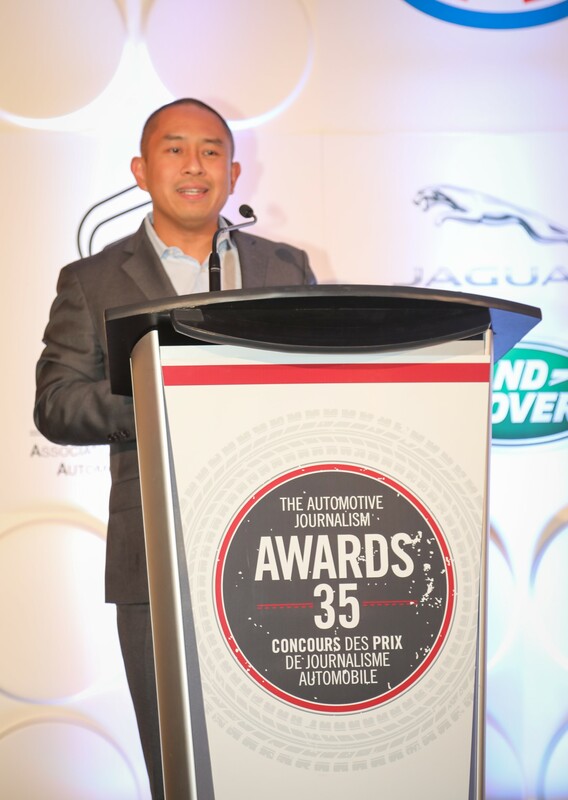 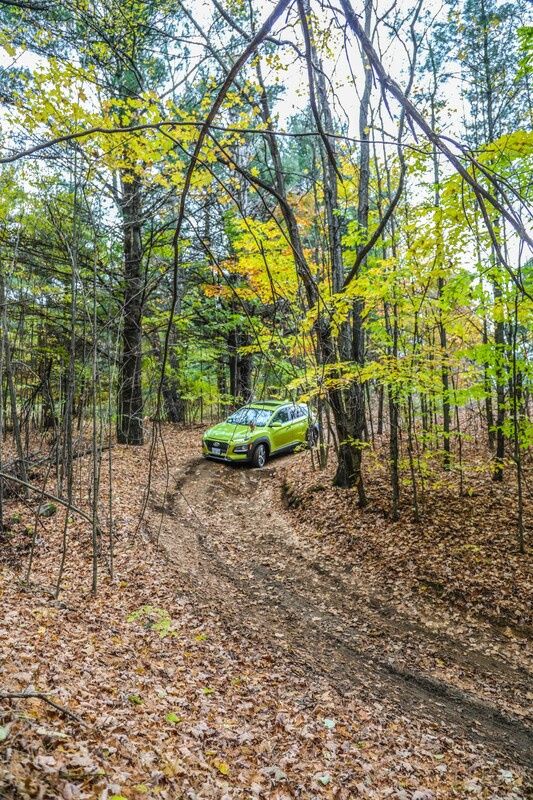 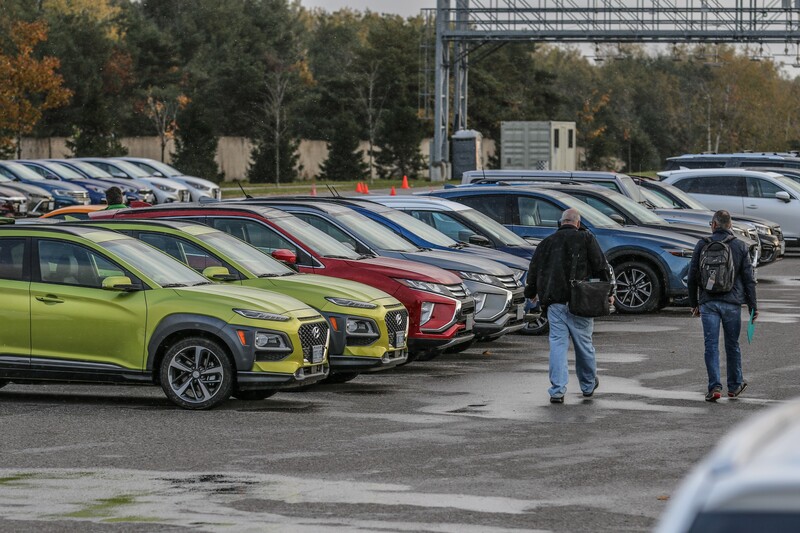 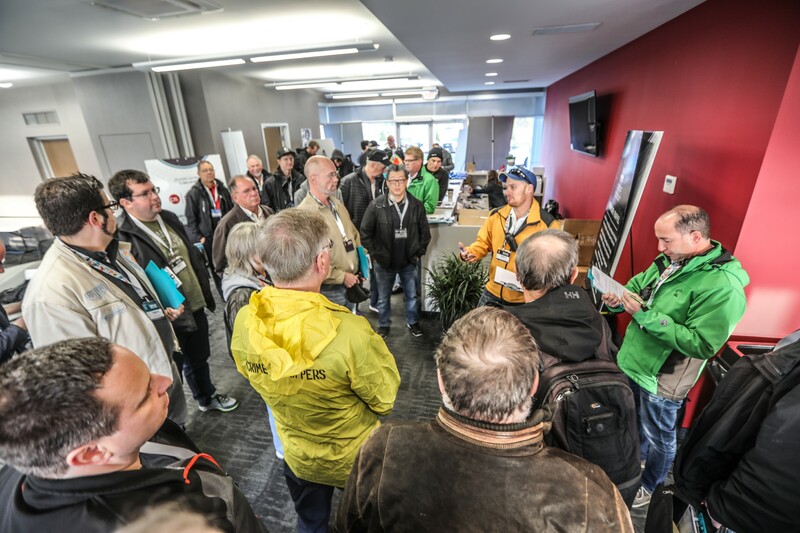 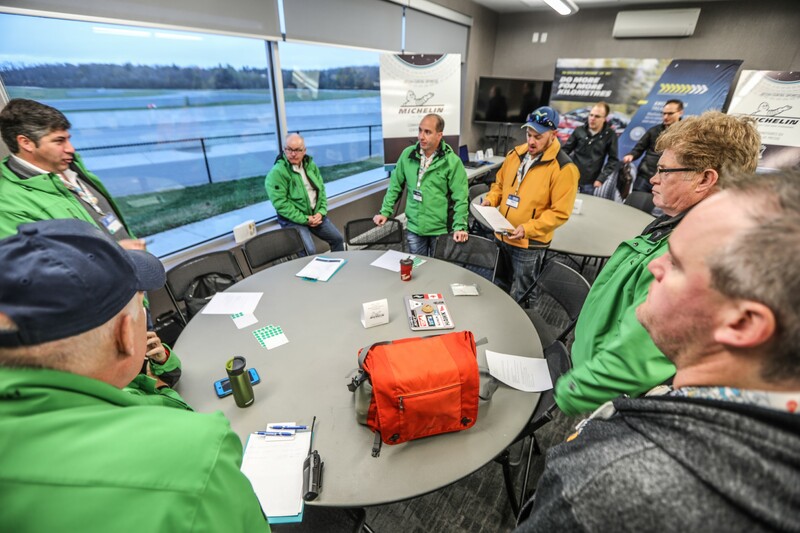 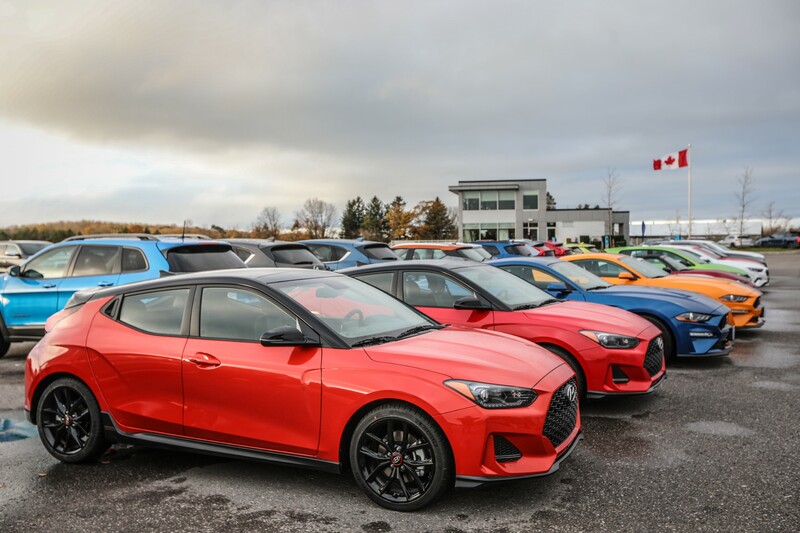 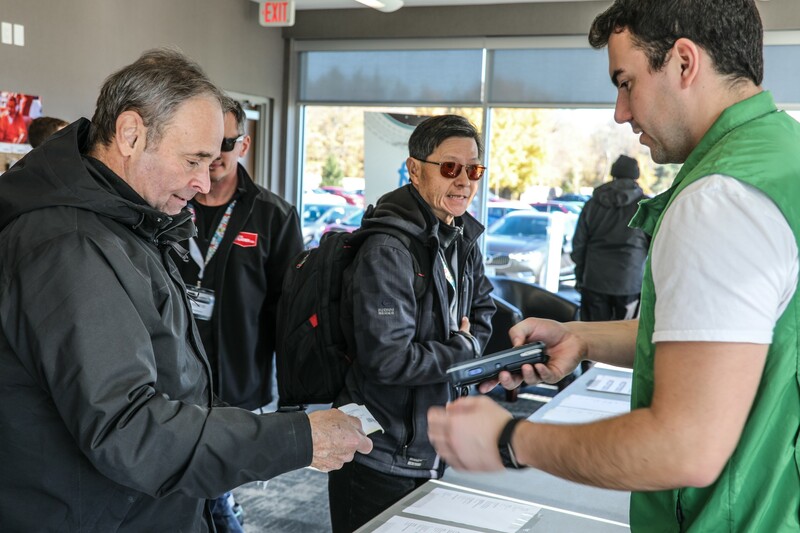 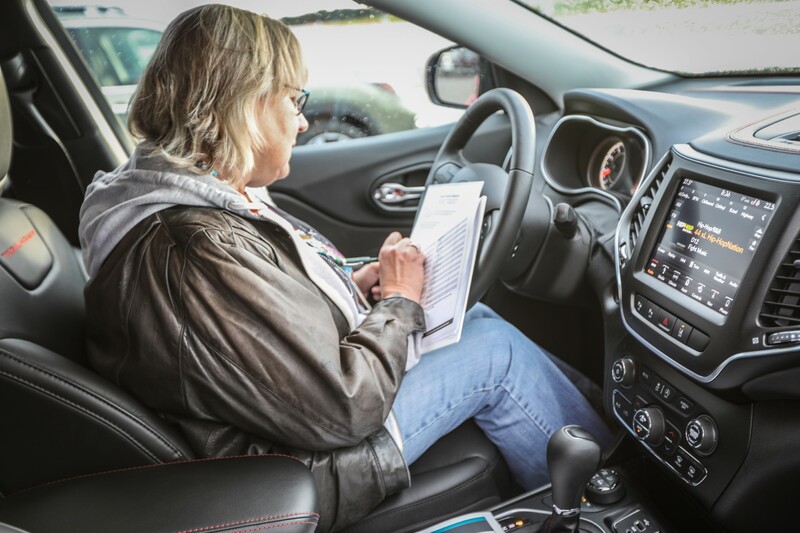 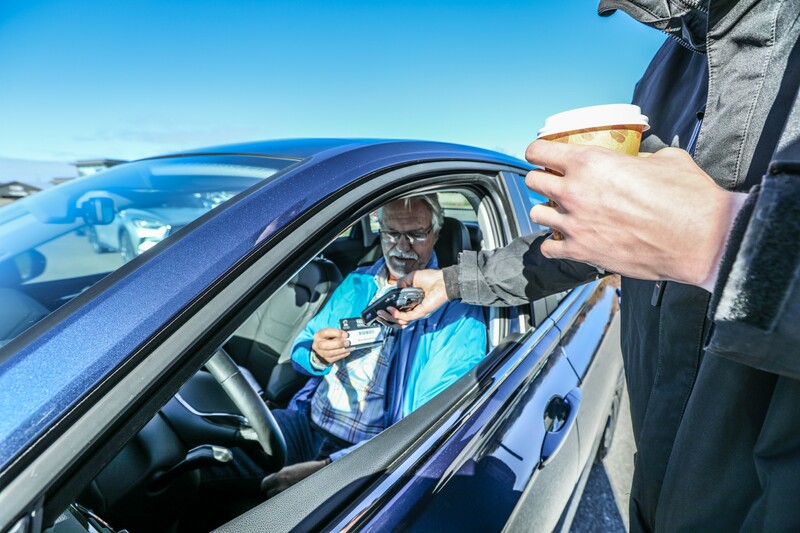 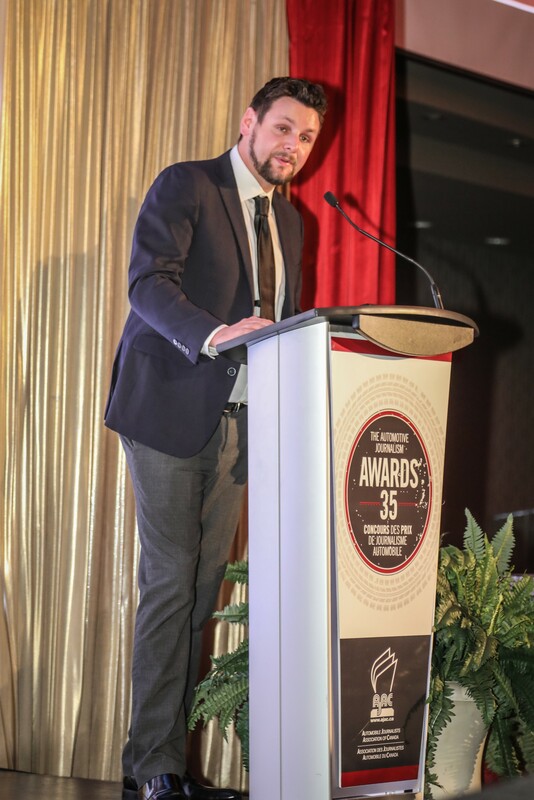 Mark Richardson, President of AJAC, presents the awards for Best Mid-Size Utility in Canada for 2019, awarded for the Mazda CX-5, Best Large Utility in Canada for 2019, awarded for the Mazda CX-9, and Best Sports-Performance Car in Canada for 2019, awarded to the Mazda MX-5, to Massey Kondo, President of Mazda Canada. 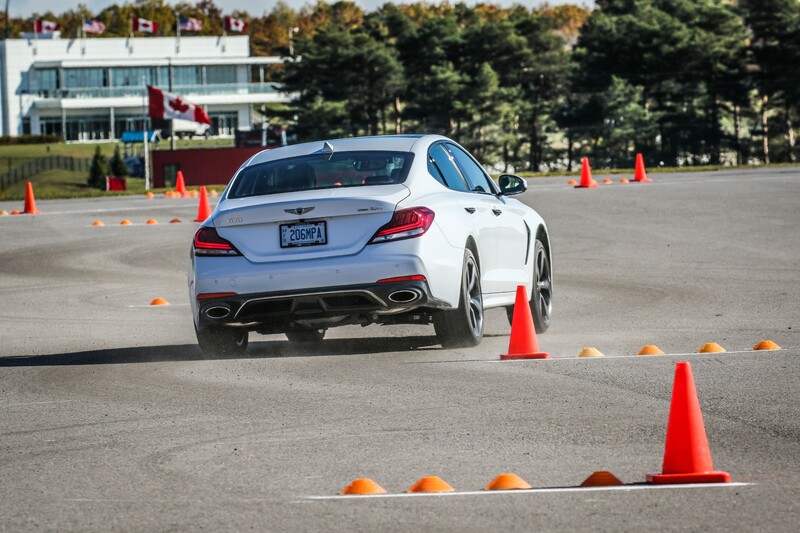 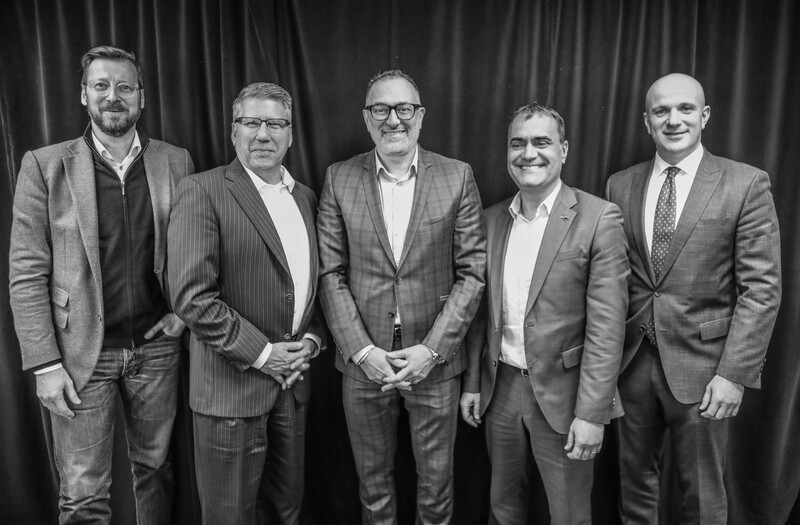 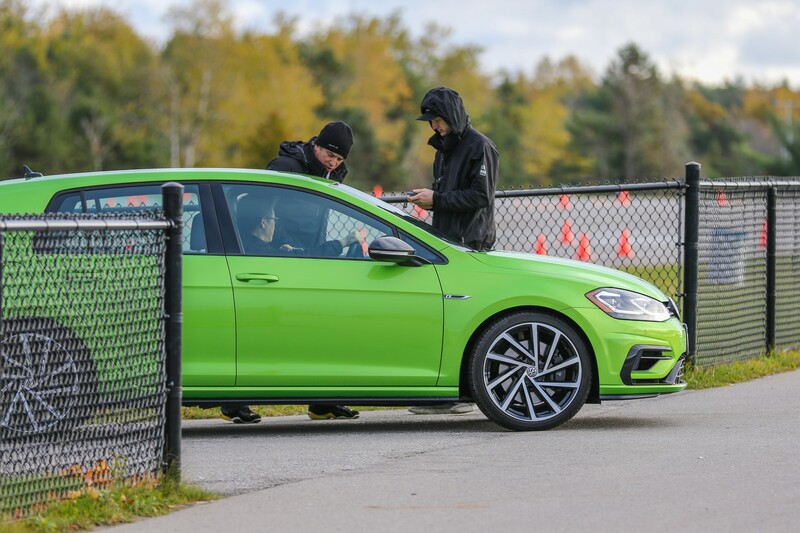 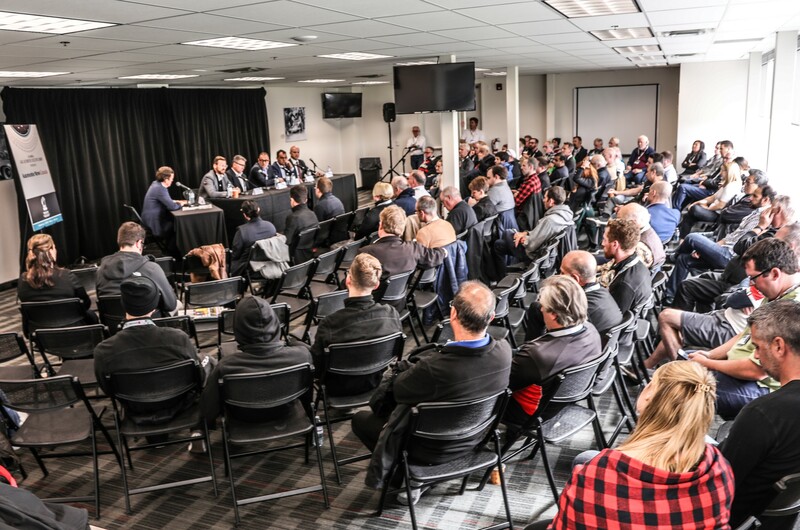 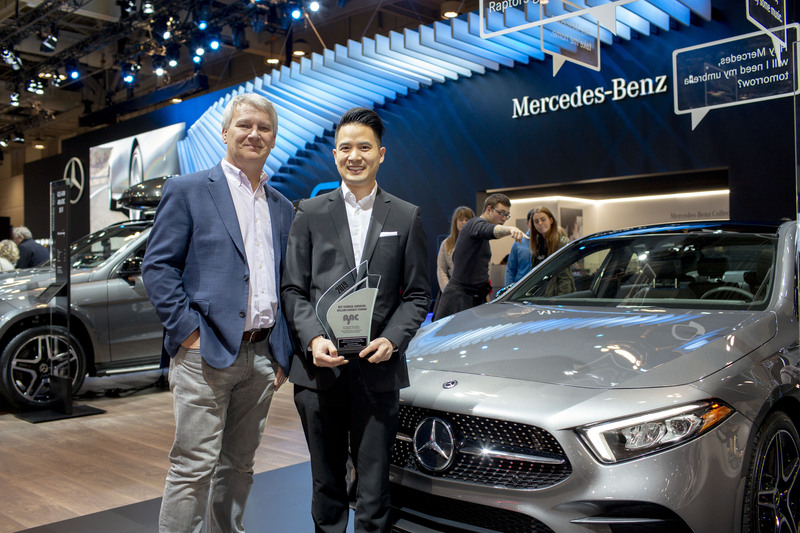 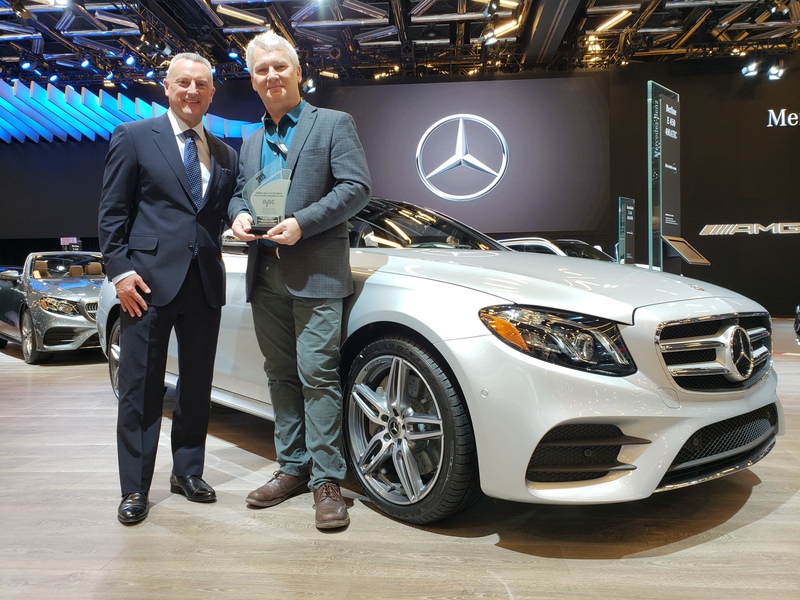 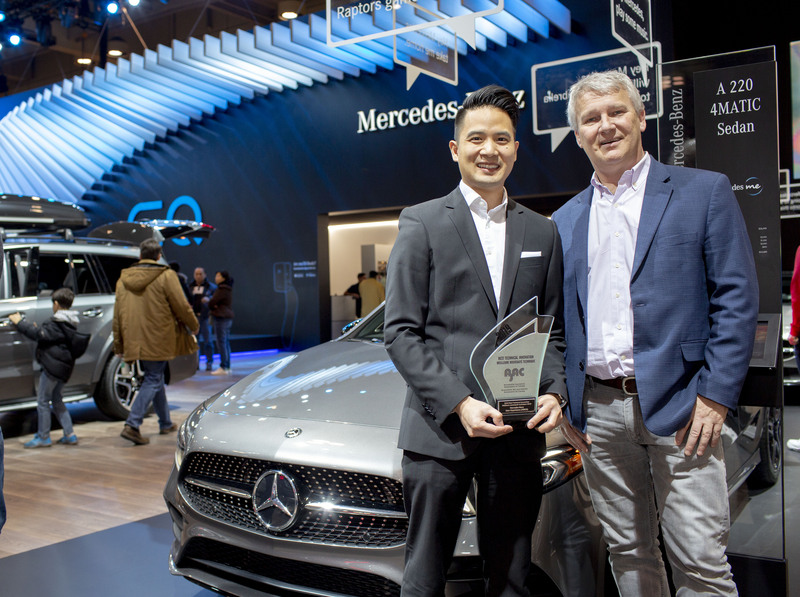 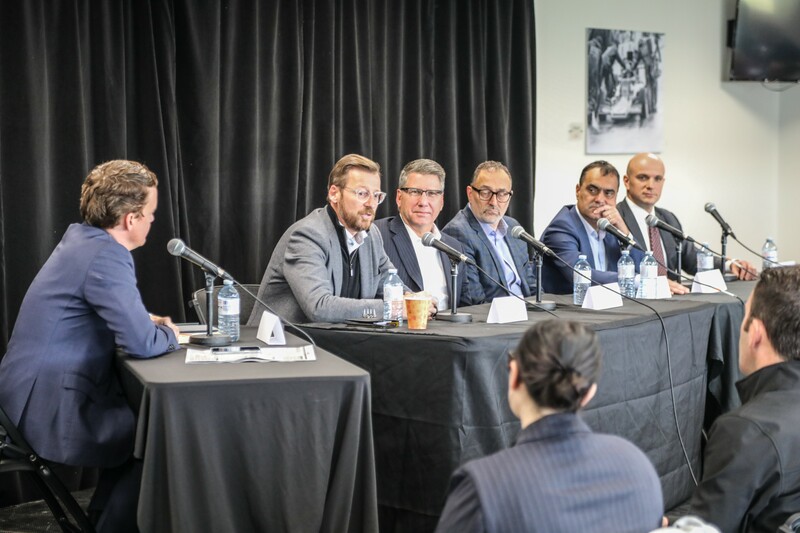 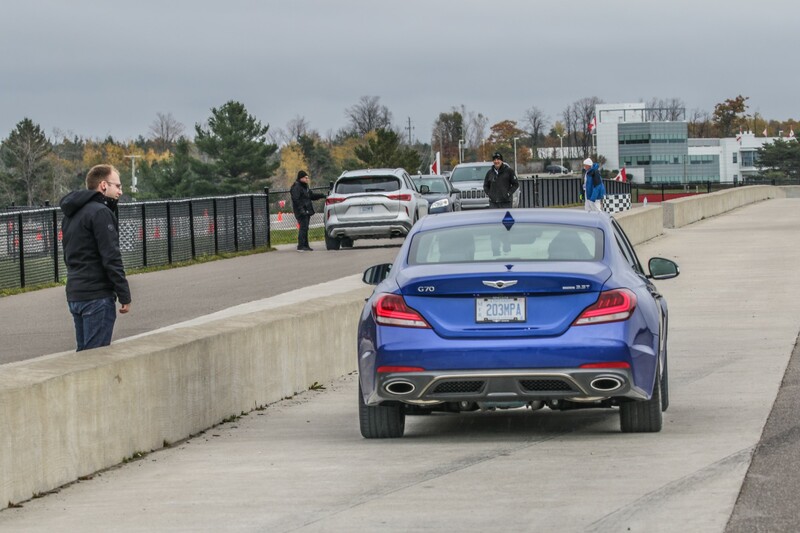 Mark Richardson, President of AJAC, presents the award for Best Mid-Size Premium Car in Canada for 2019, awarded for the Mercedes-Benz E 400 4MATIC, to Brian Fulton, President and CEO of Mercedes-Benz Canada. 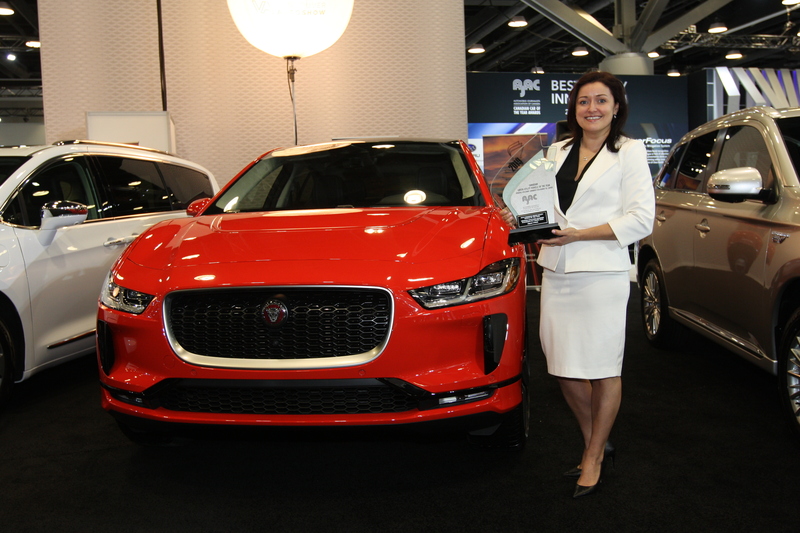 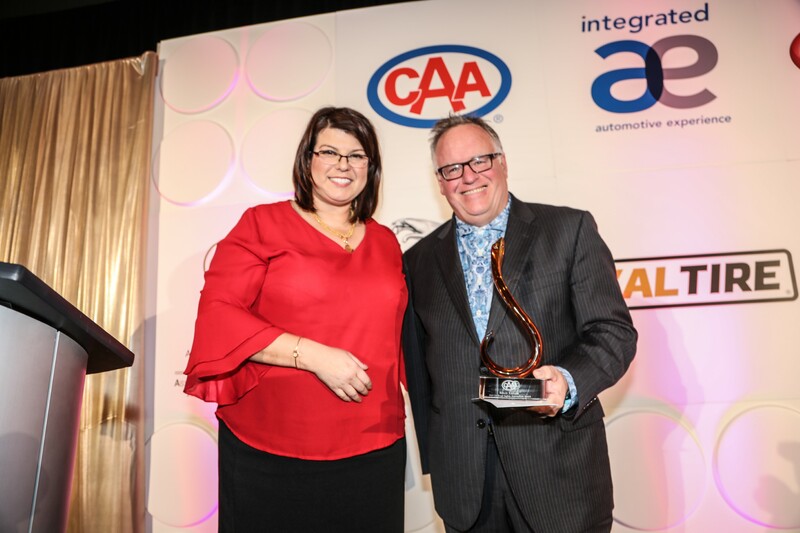 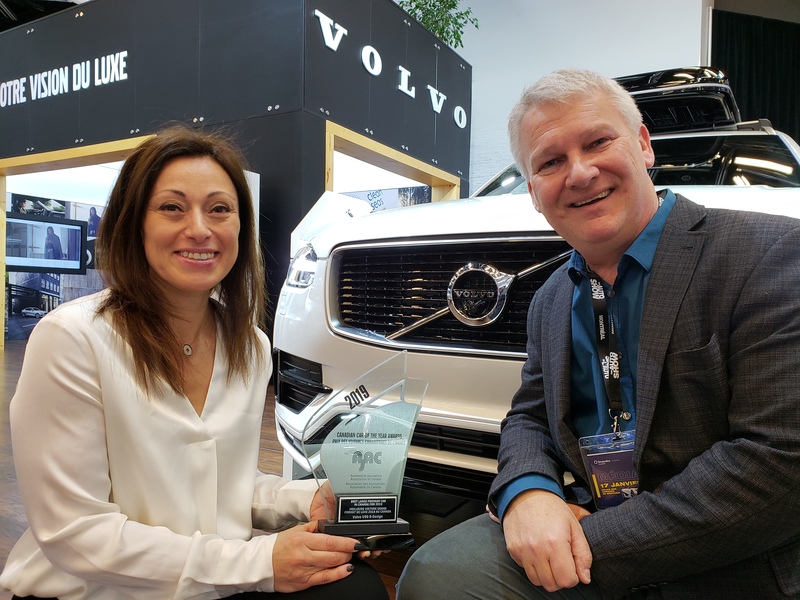 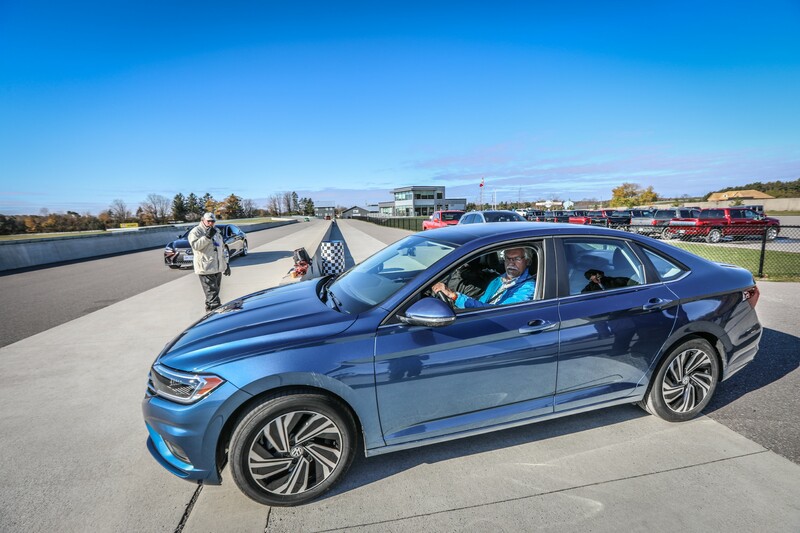 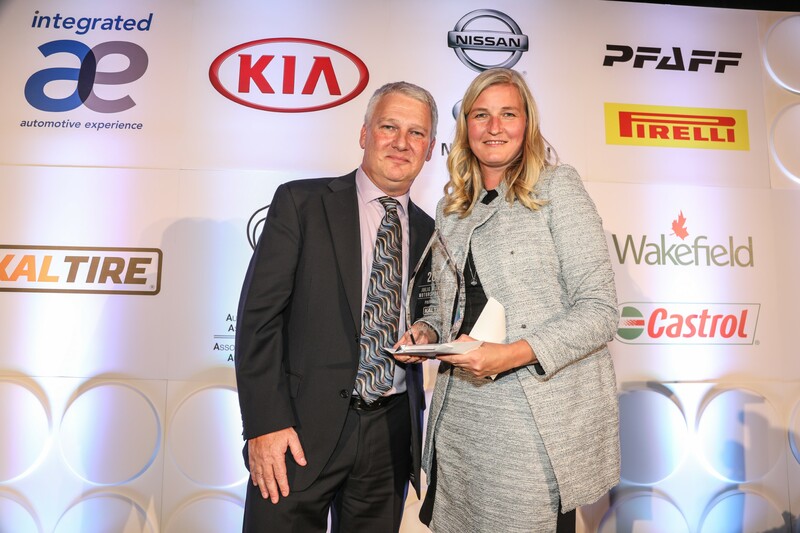 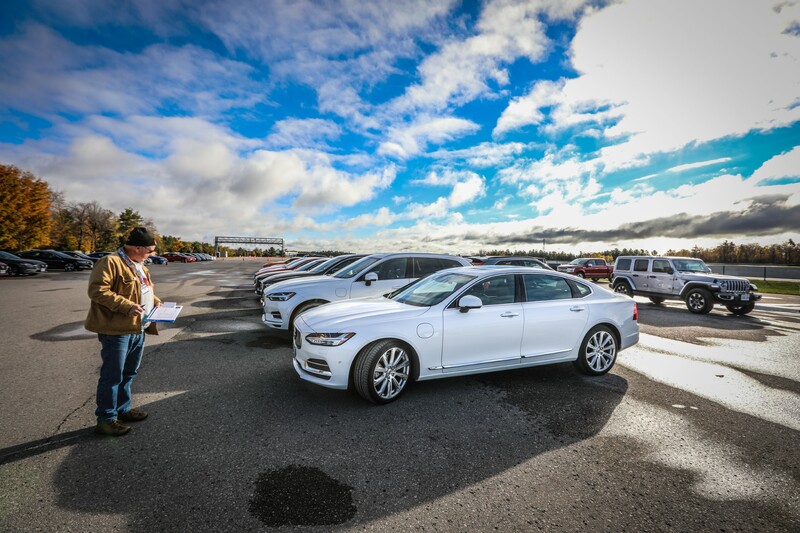 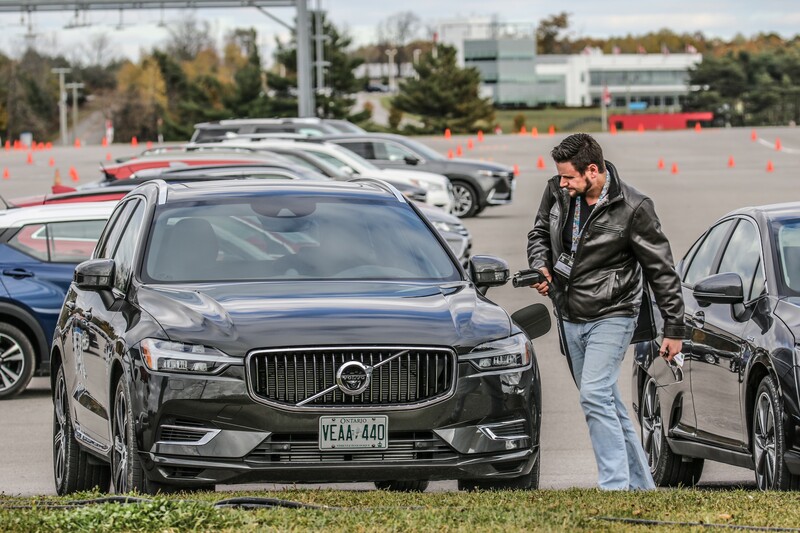 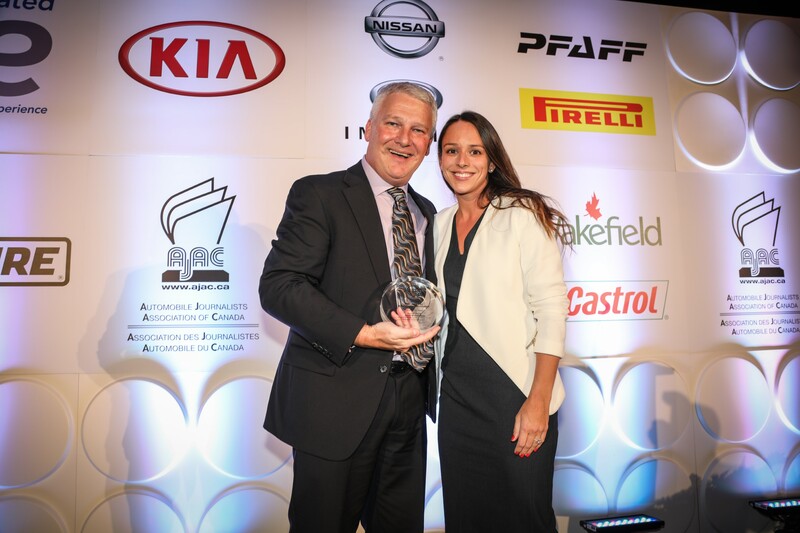 Mark Richardson, President of AJAC, presents the award for Best Large Premium Car in Canada for 2019, awarded for the Volvo V90 R-Design, to Mary McNeill, Marketing Director for Volvo Car Canada.